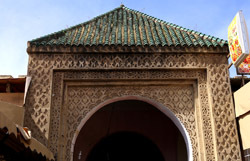 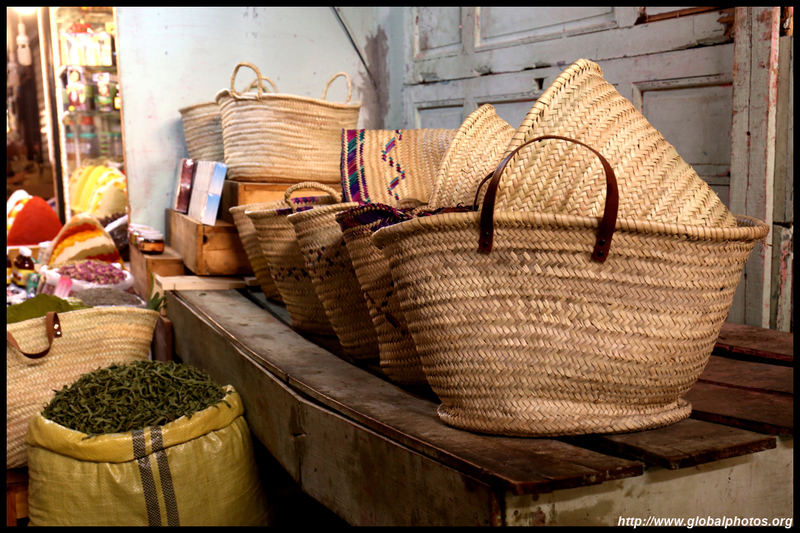 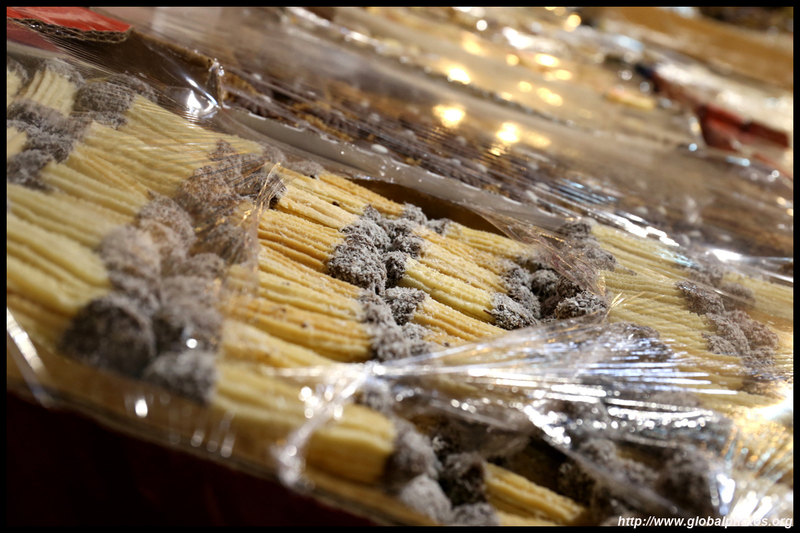 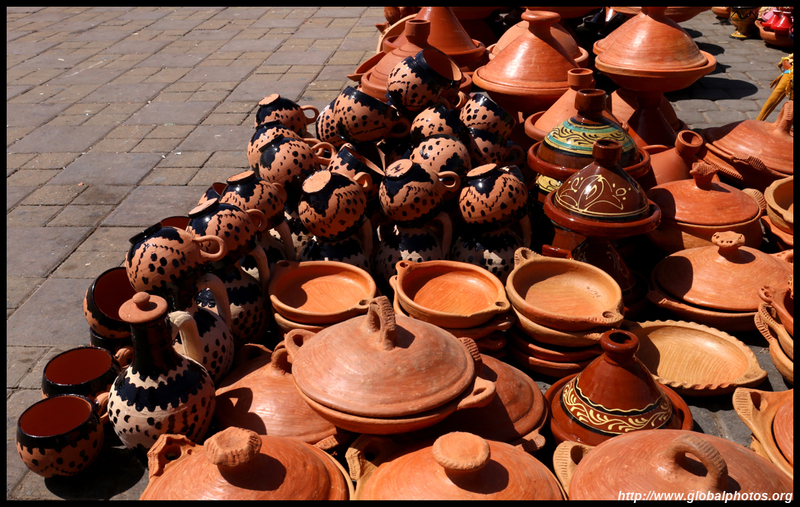 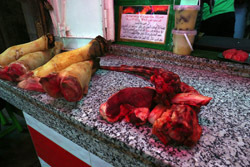 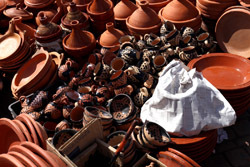 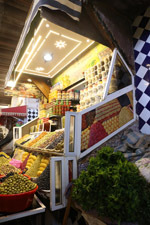 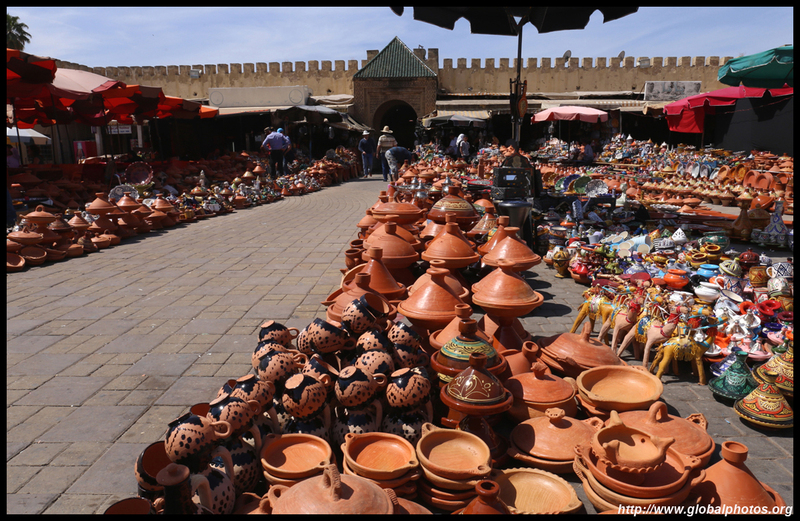 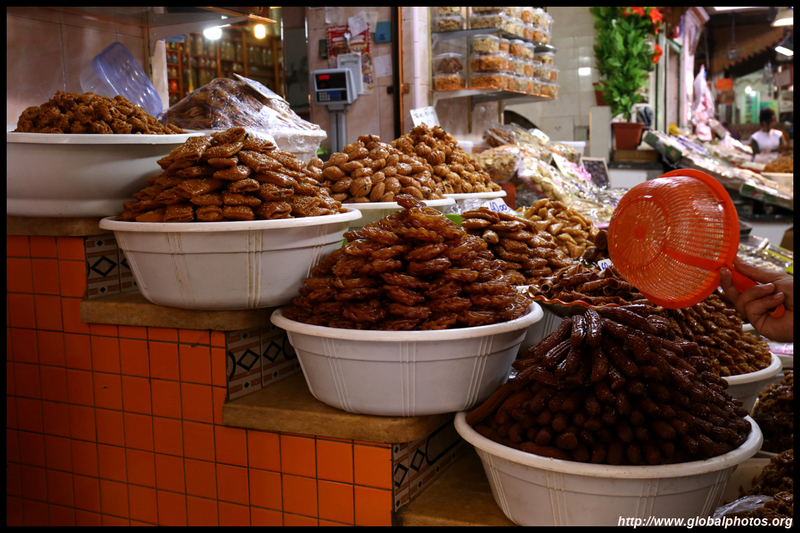 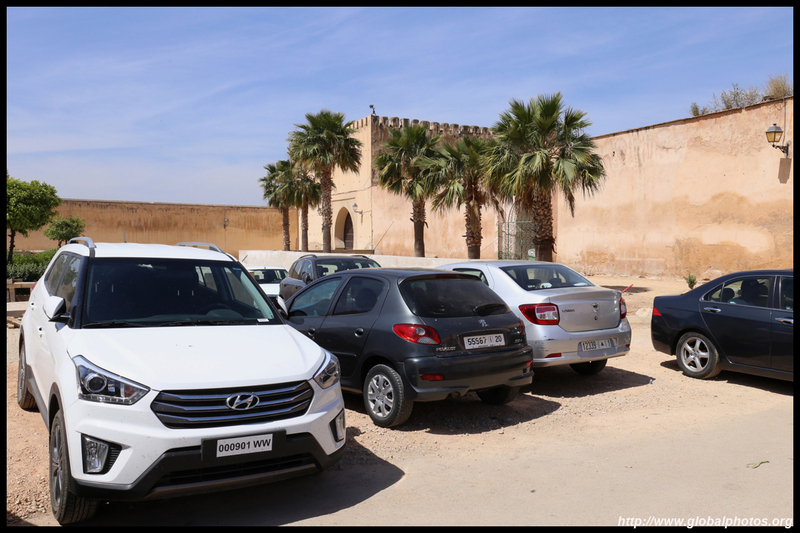 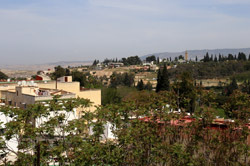 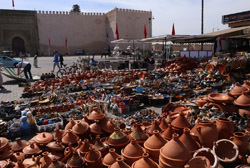 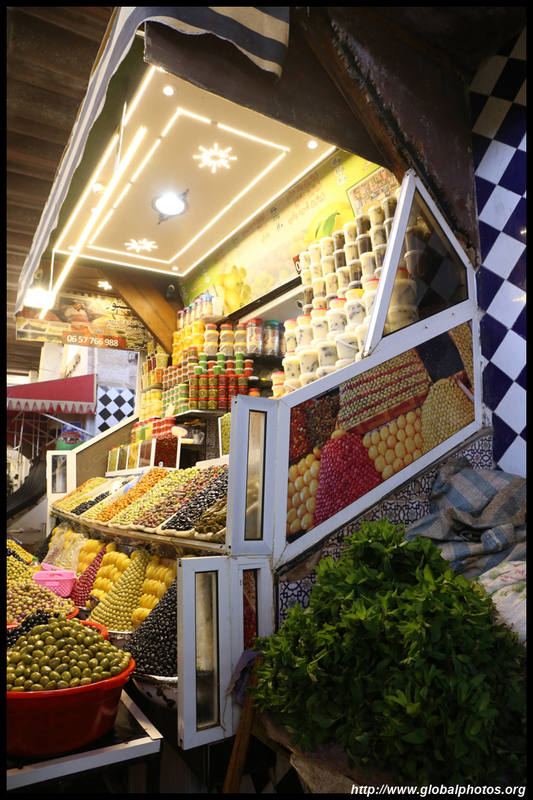 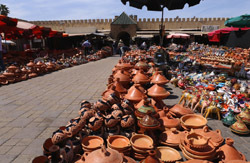 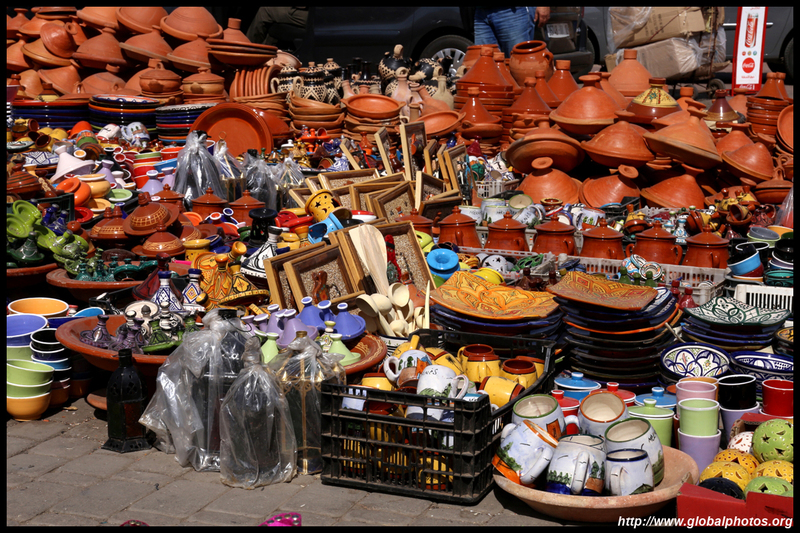 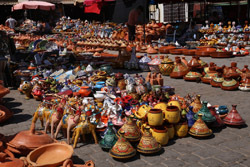 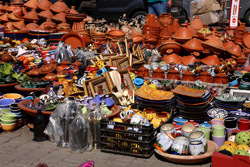 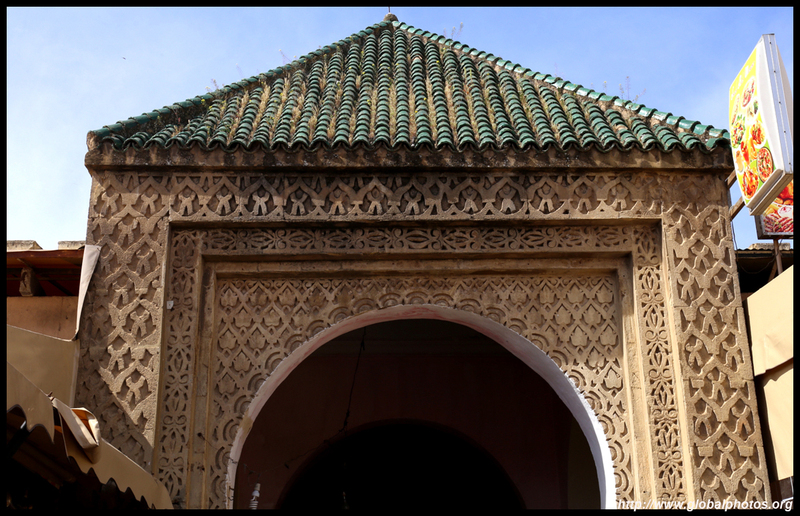 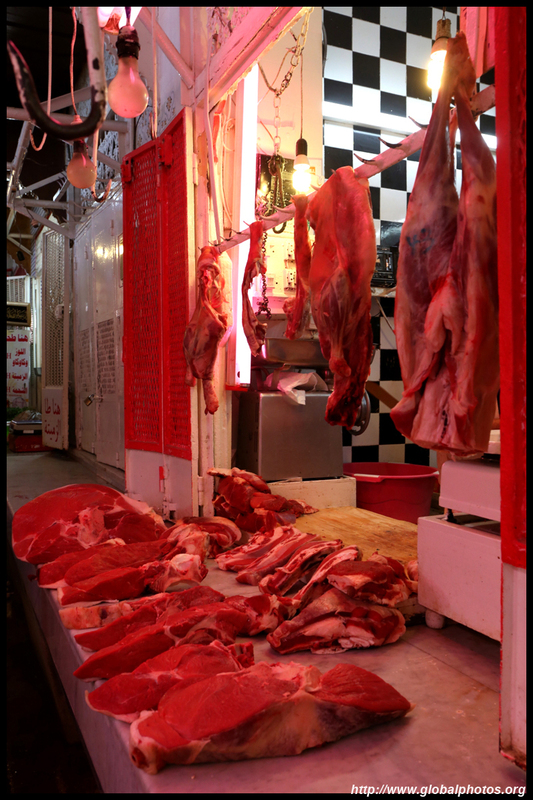 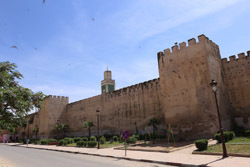 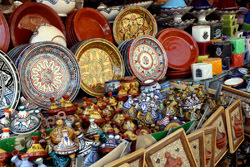 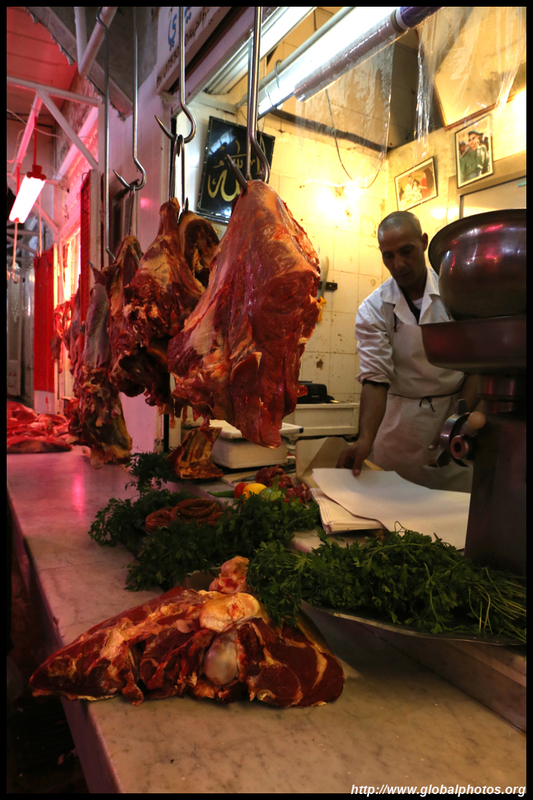 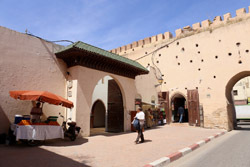 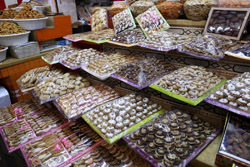 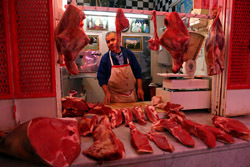 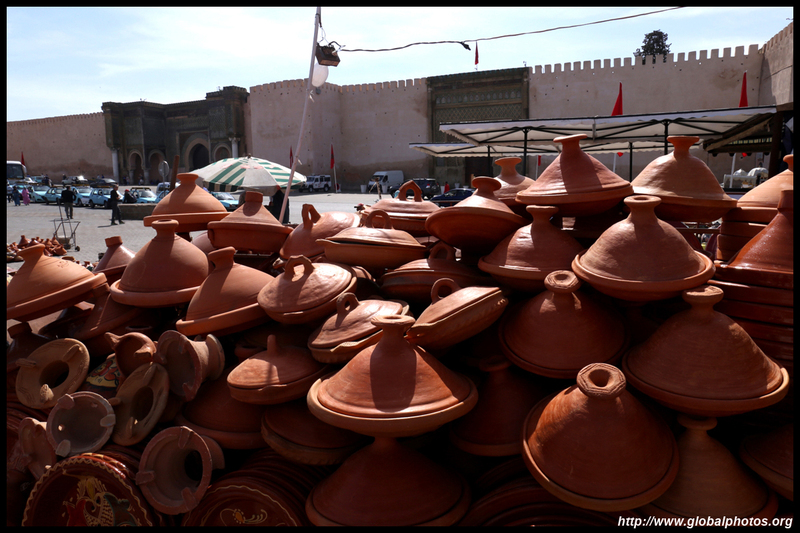 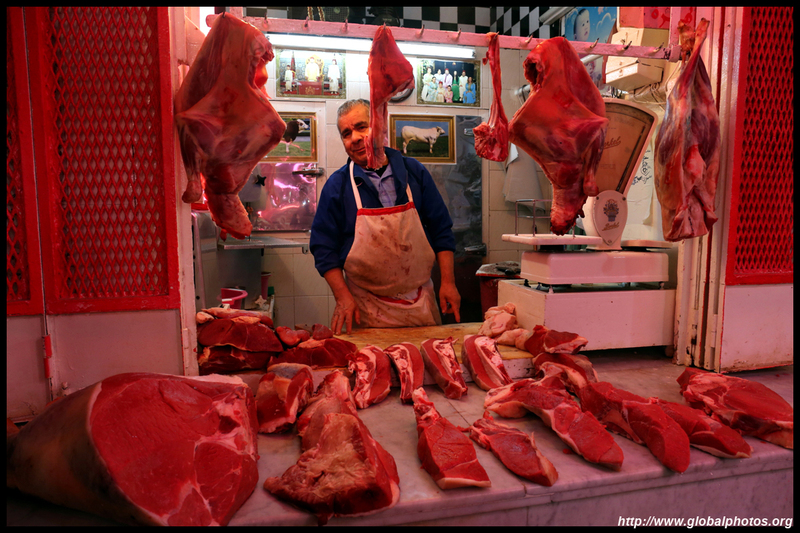 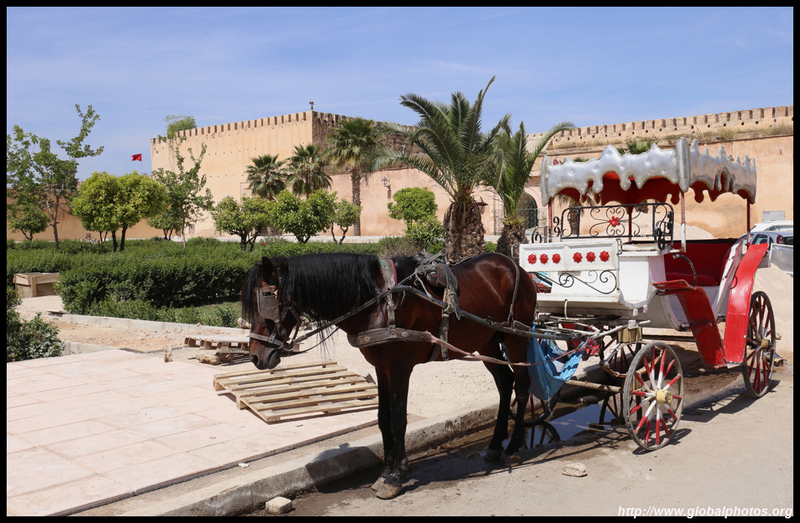 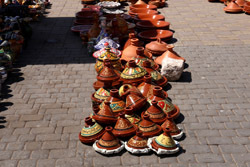 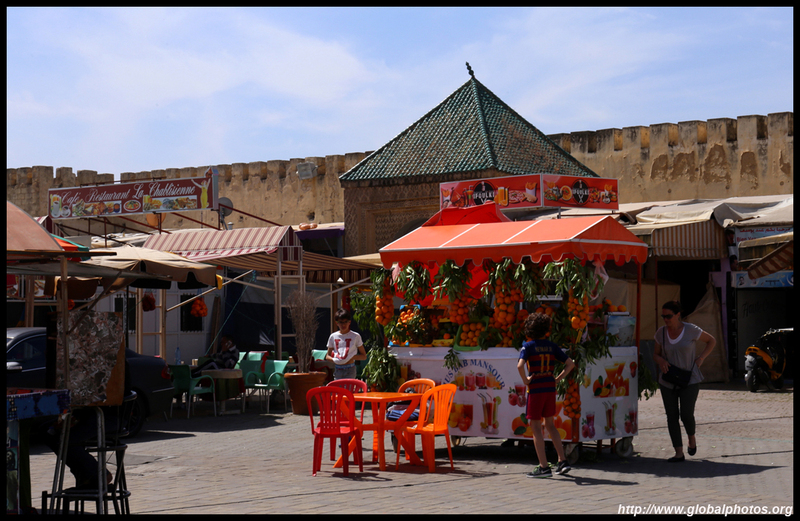 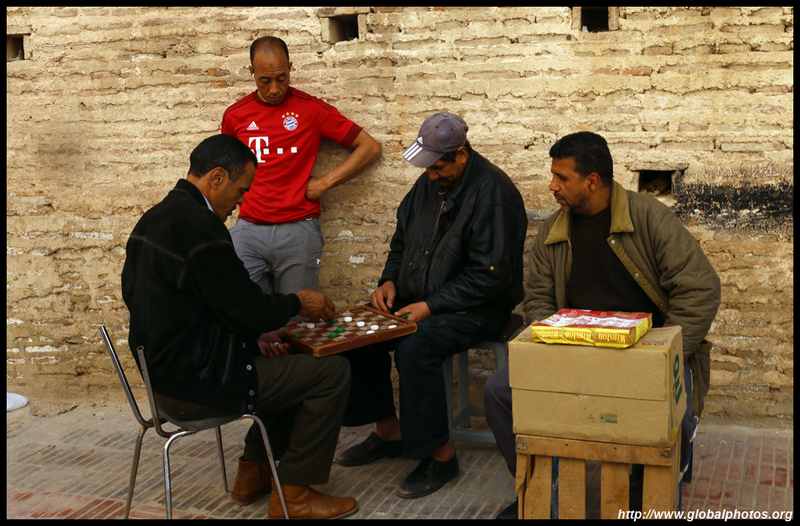 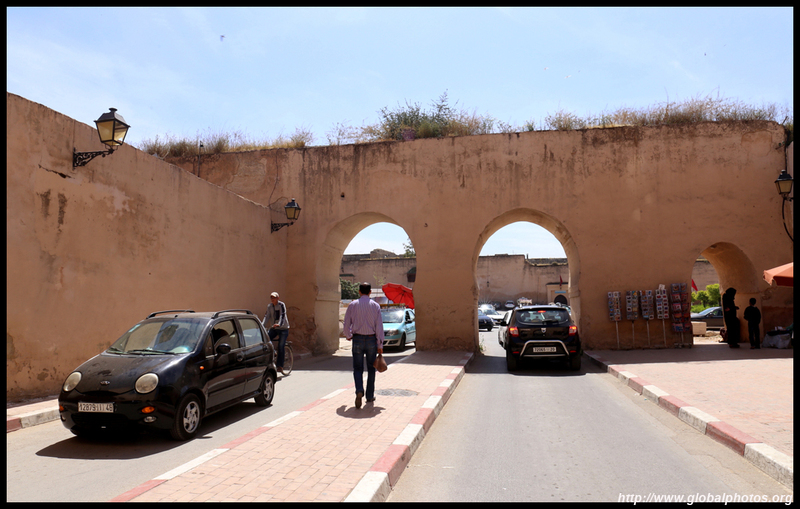 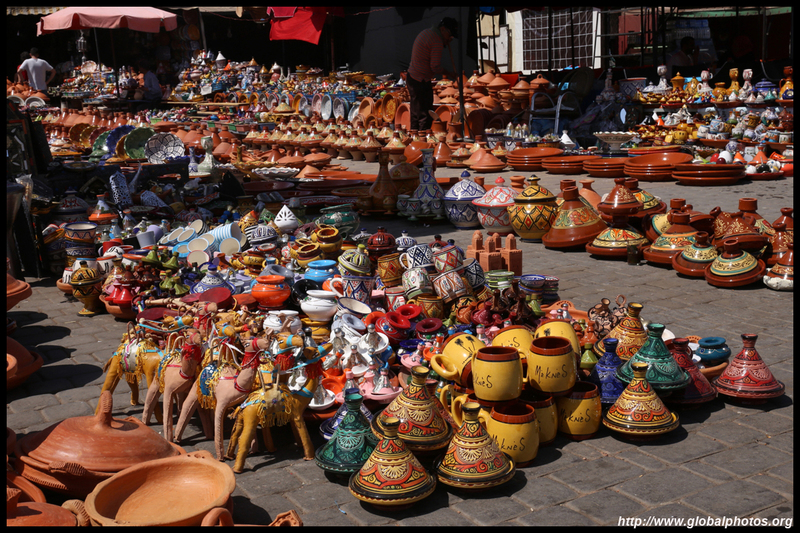 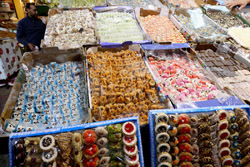 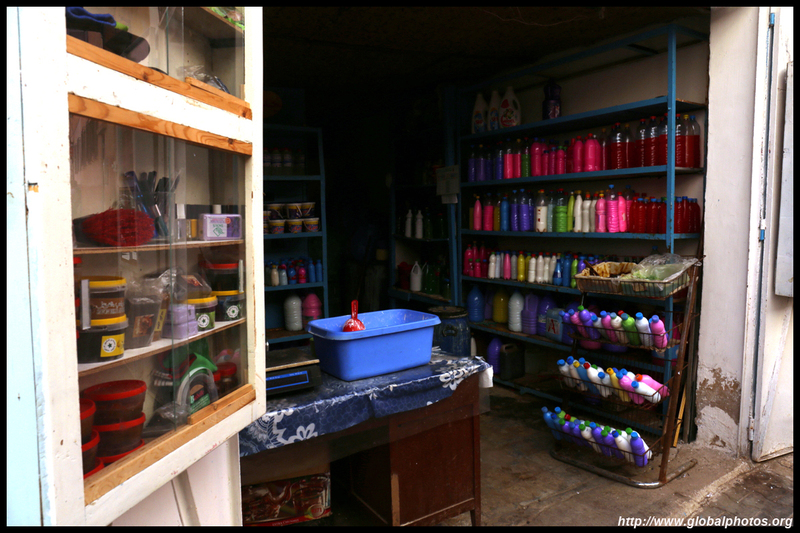 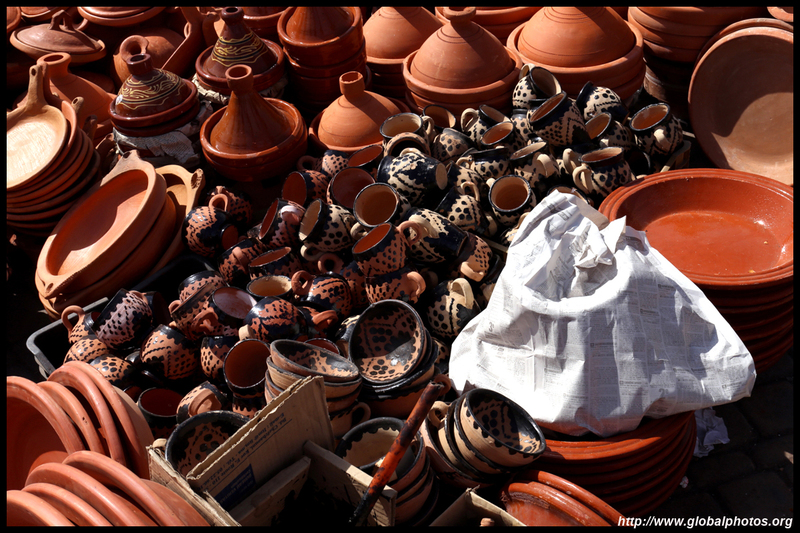 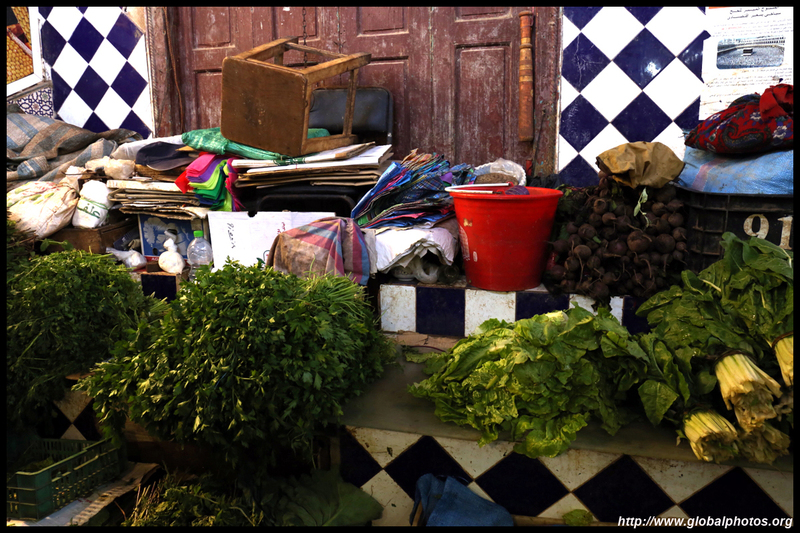 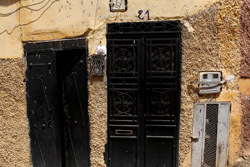 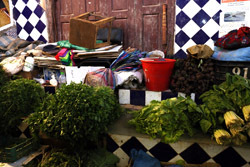 Meknes is located in a fertile valley where agriculture played an important role since ancient times. 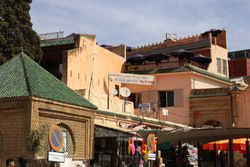 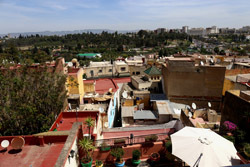 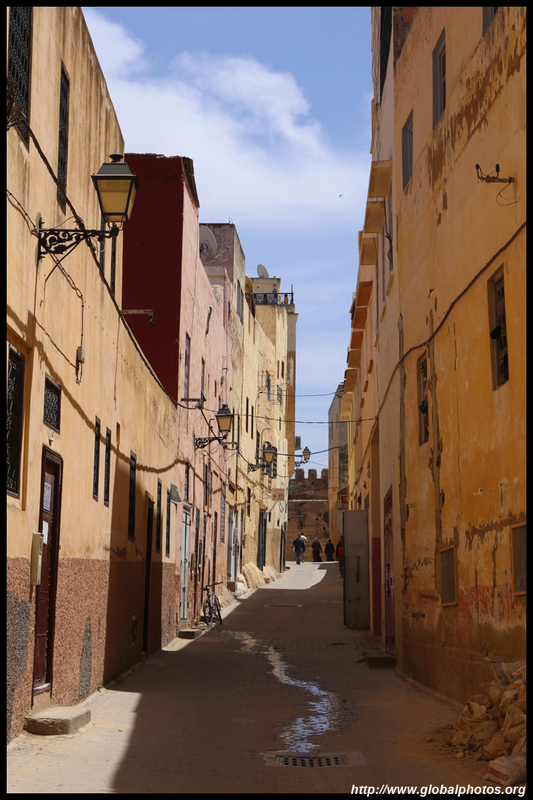 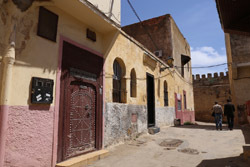 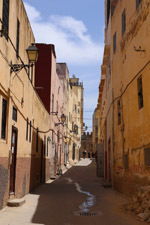 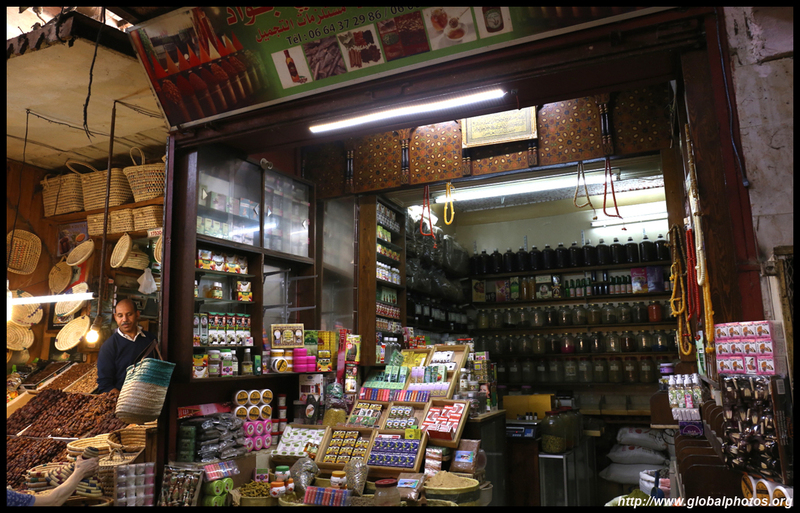 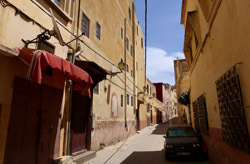 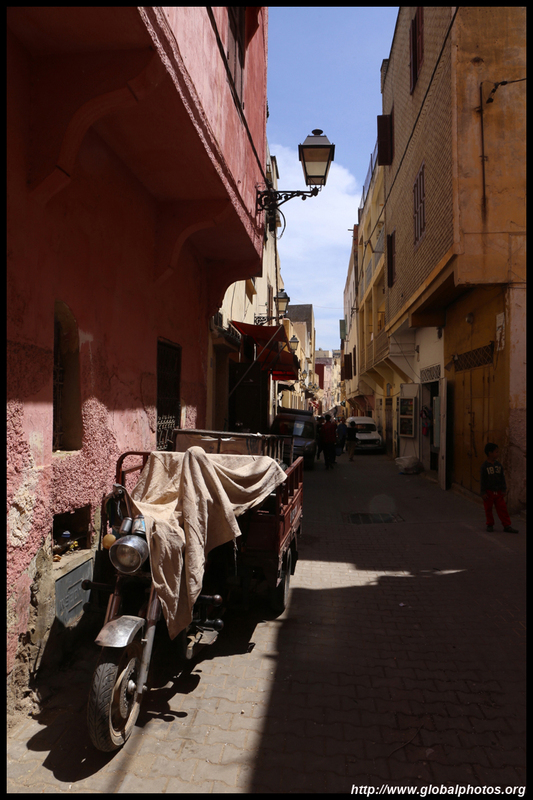 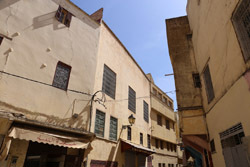 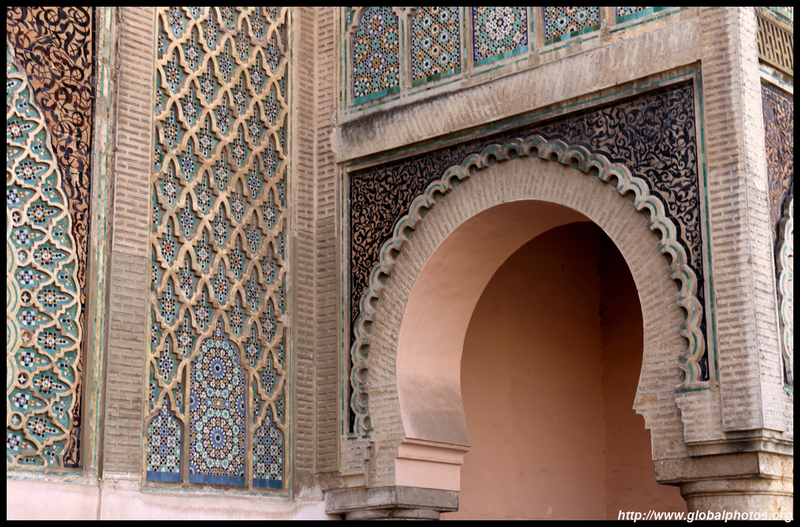 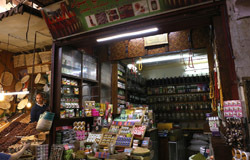 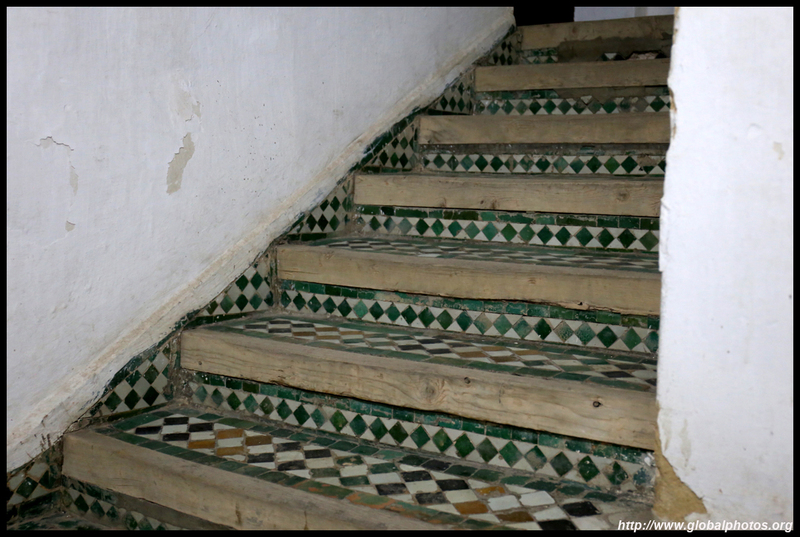 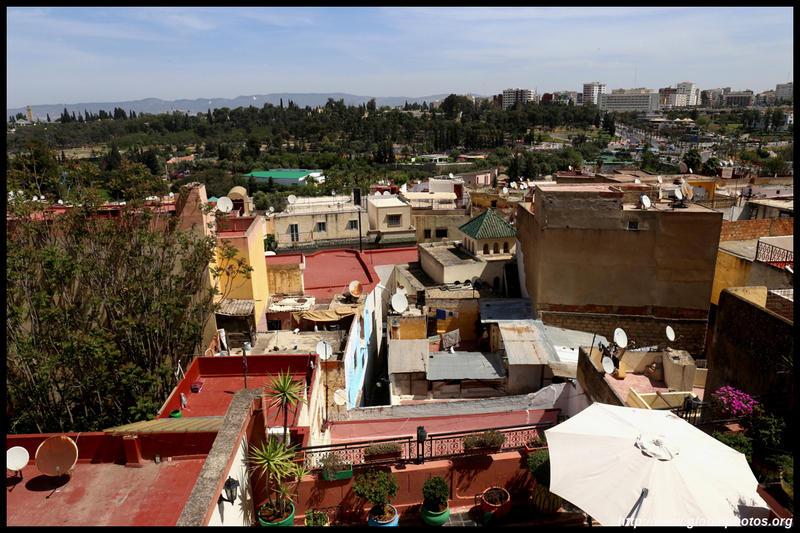 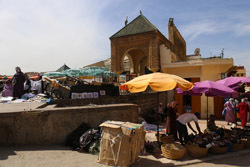 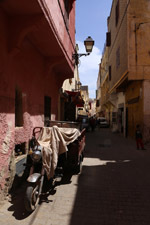 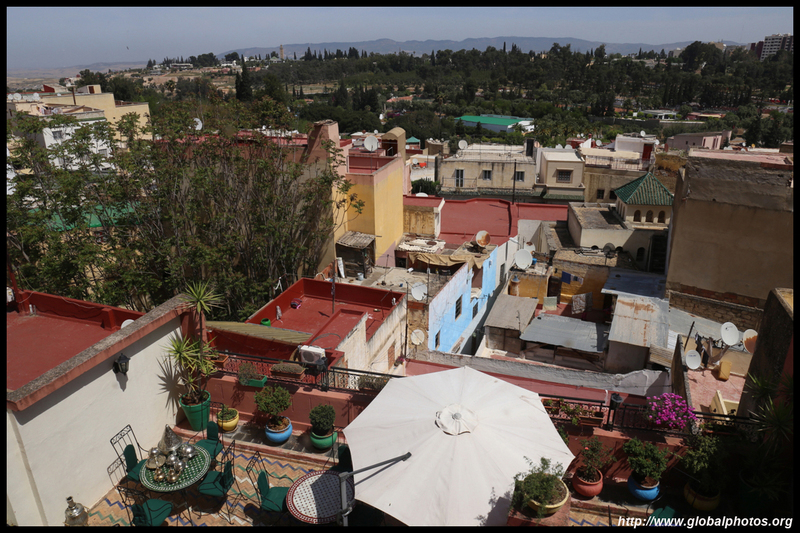 Once overshadowed by nearby Fez, its fortunes changed in the 17th century when it became an imperial city. 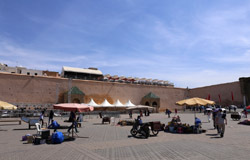 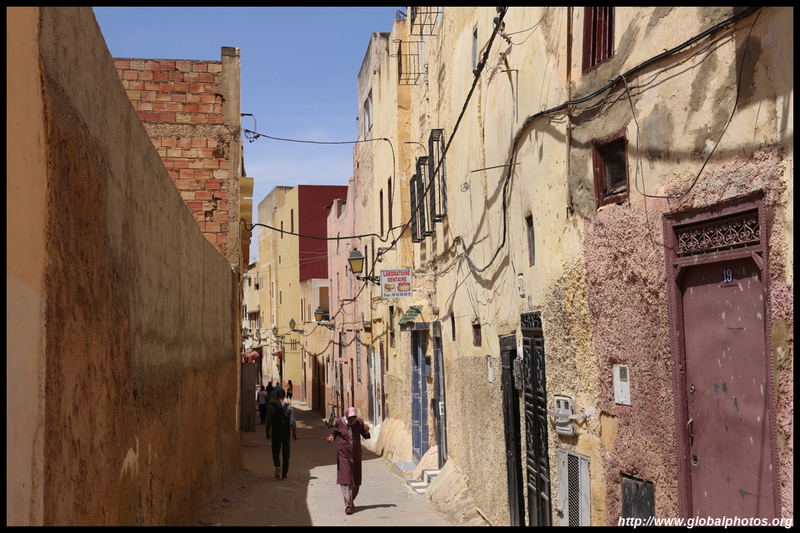 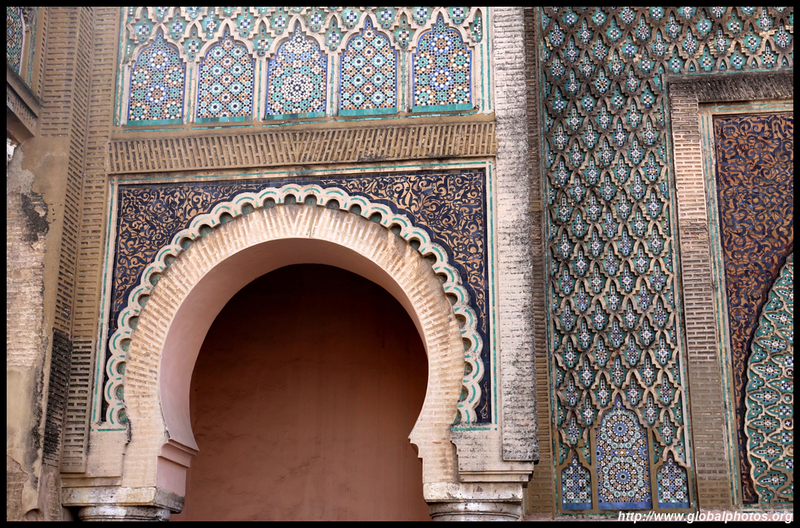 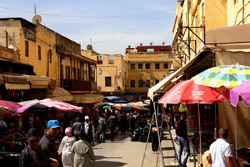 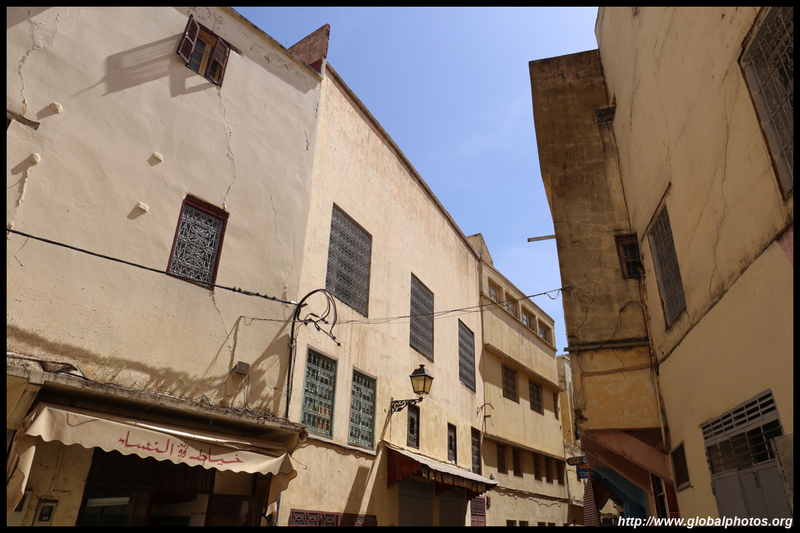 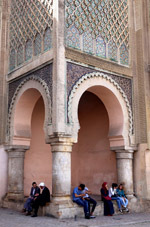 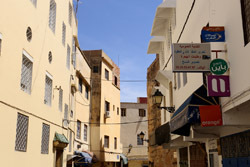 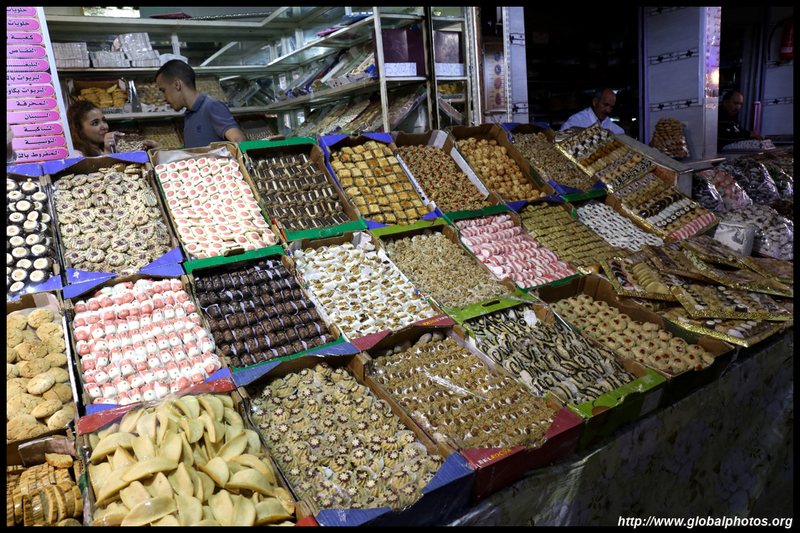 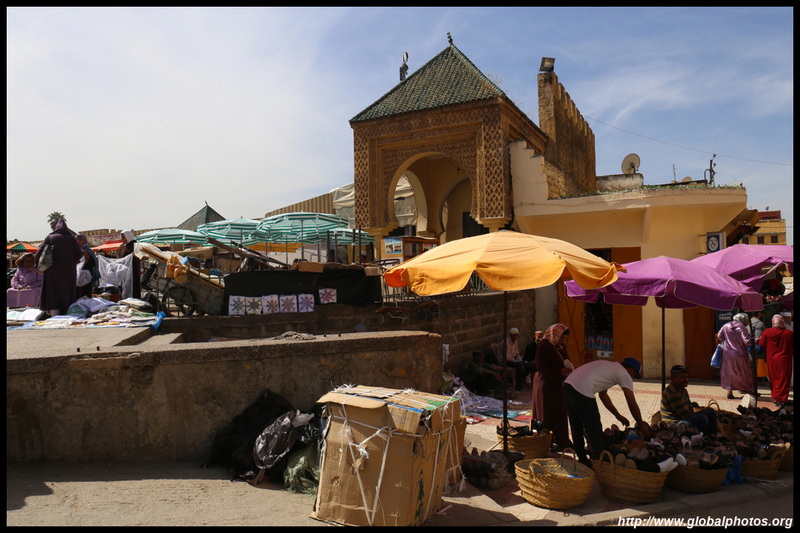 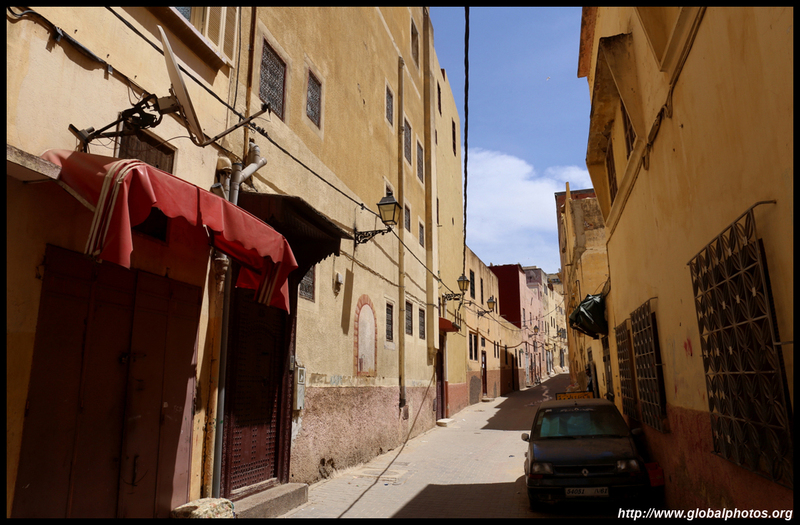 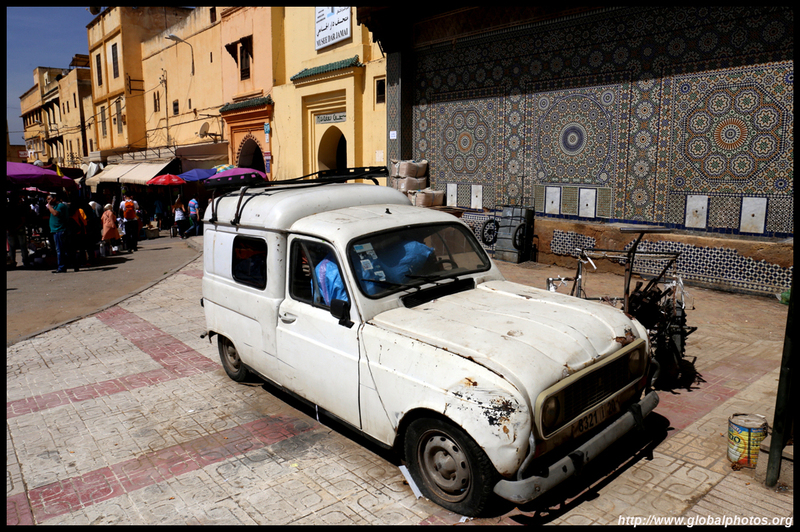 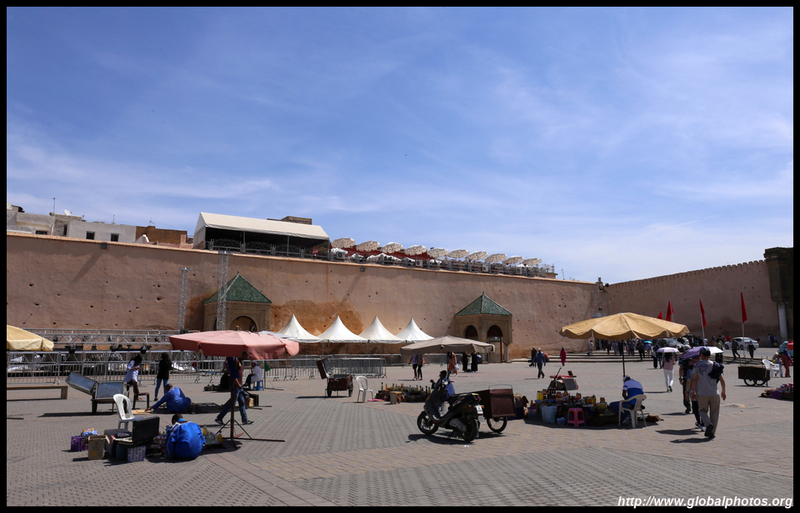 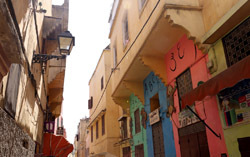 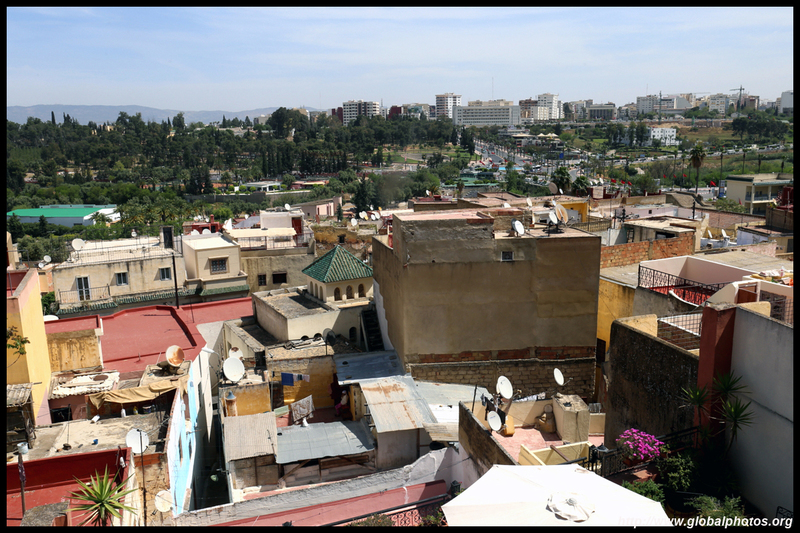 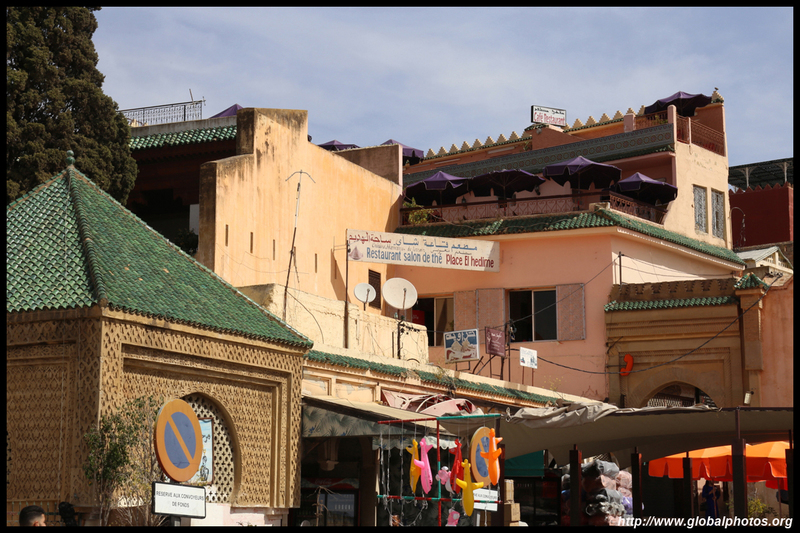 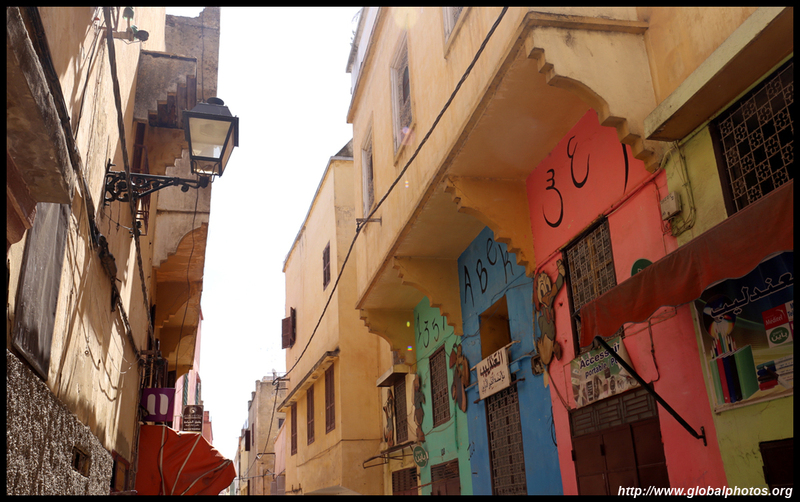 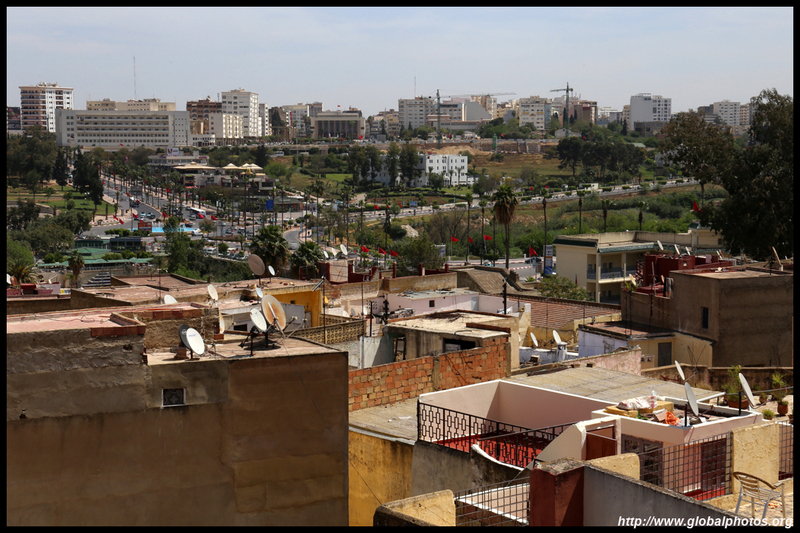 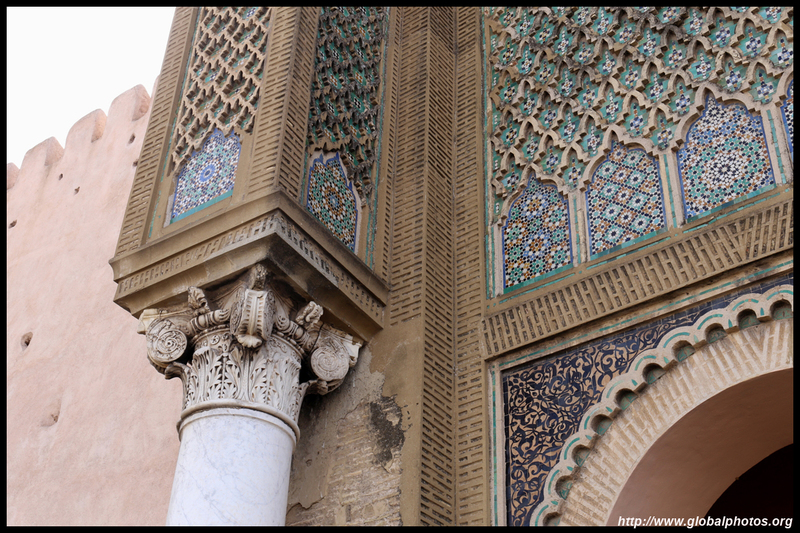 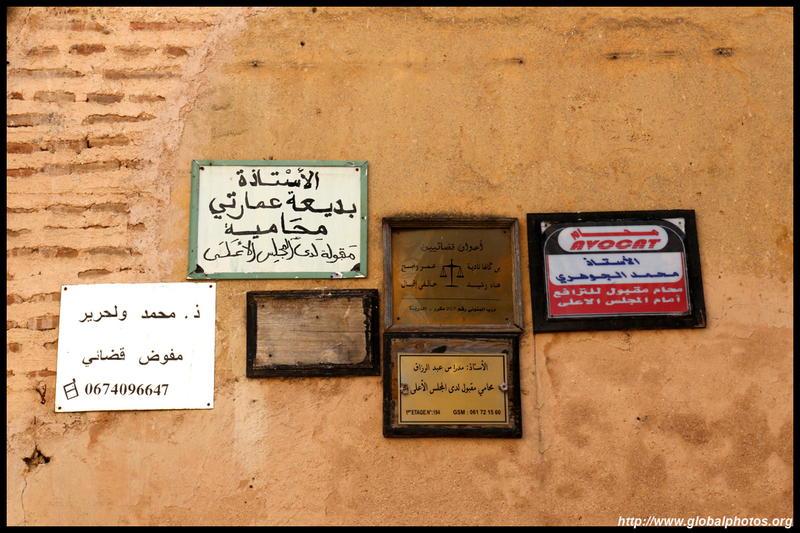 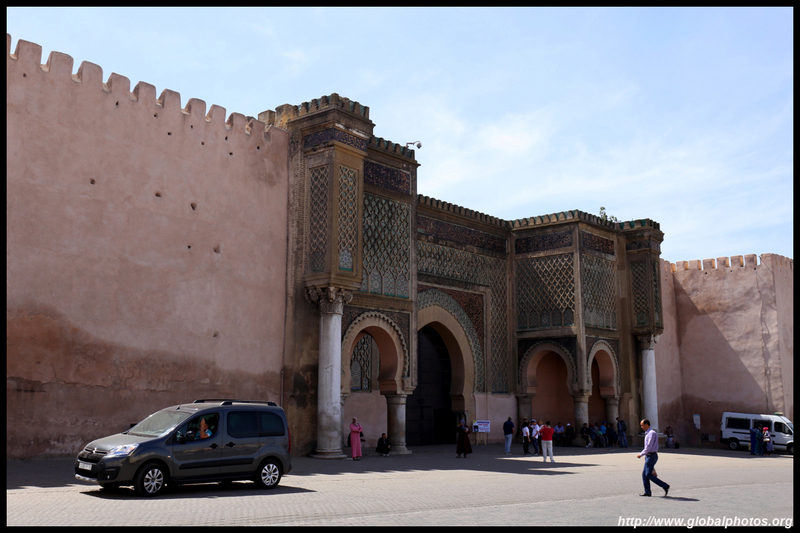 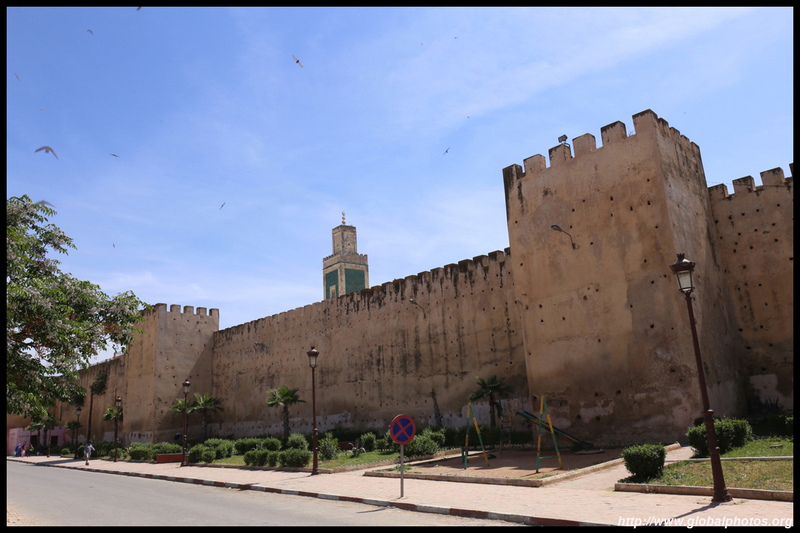 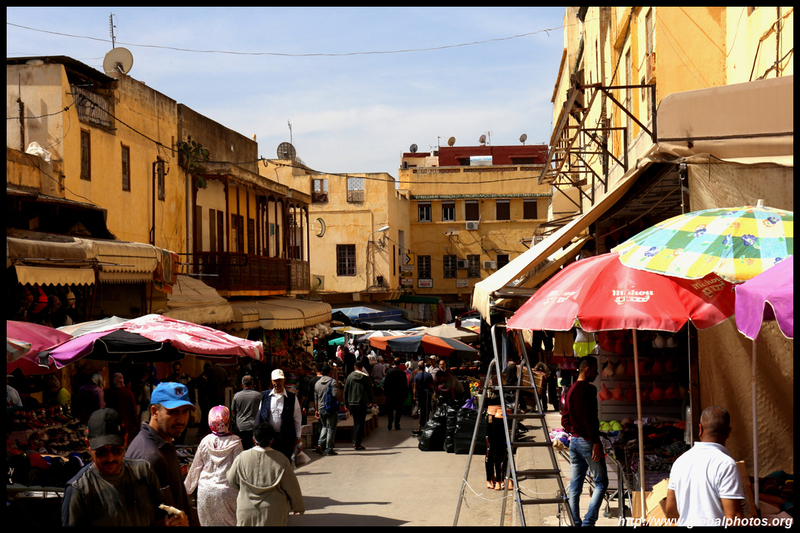 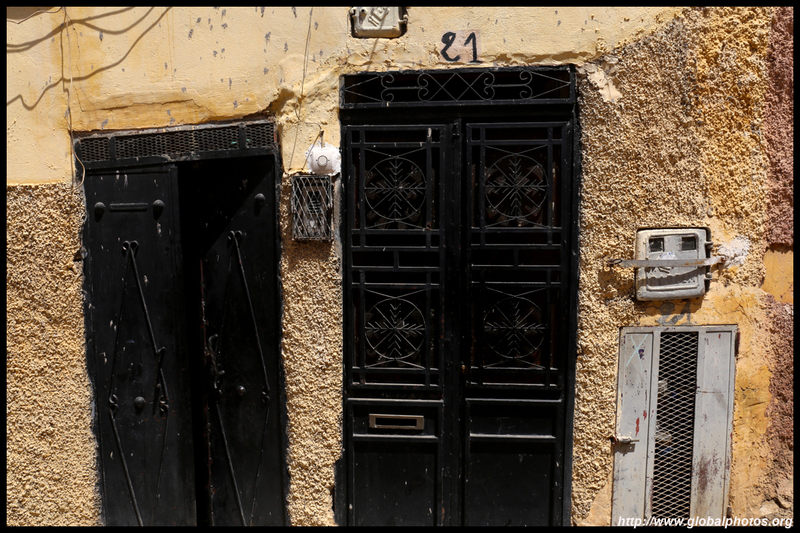 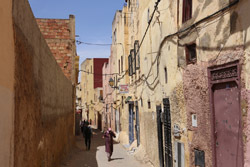 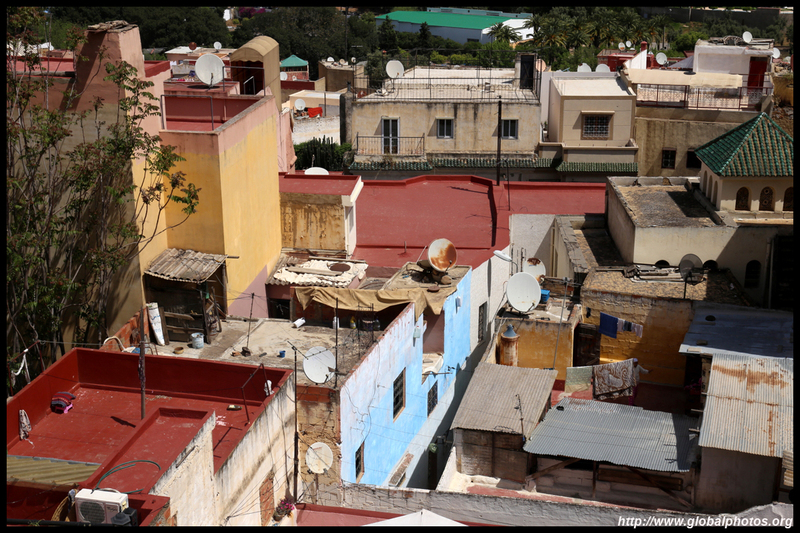 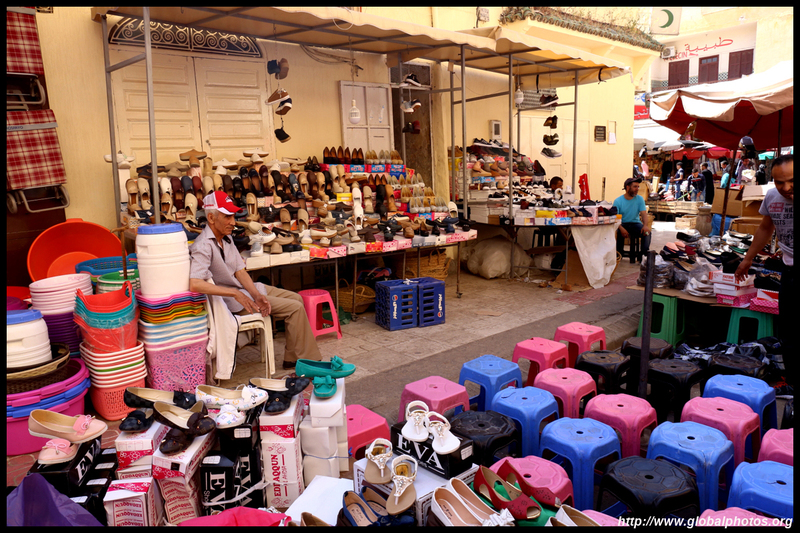 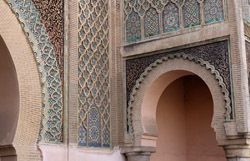 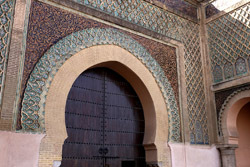 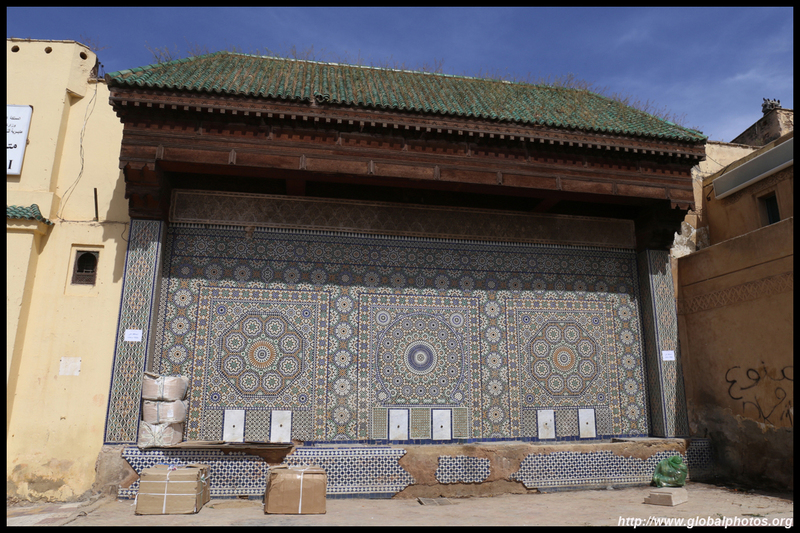 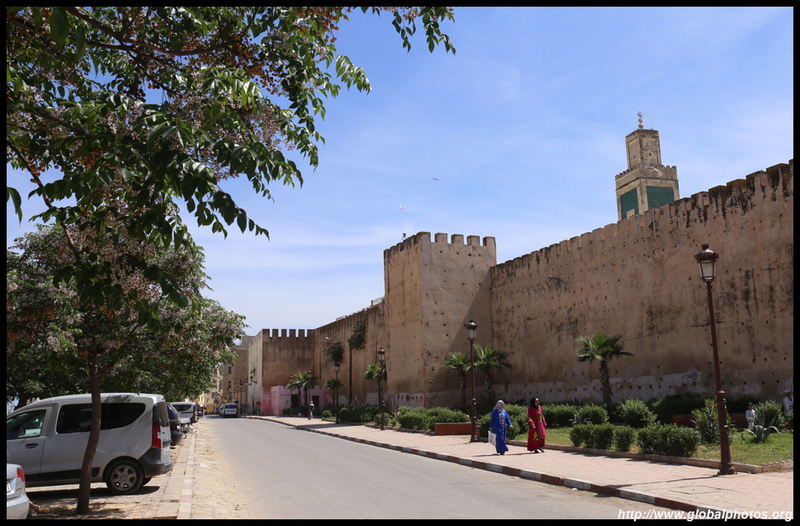 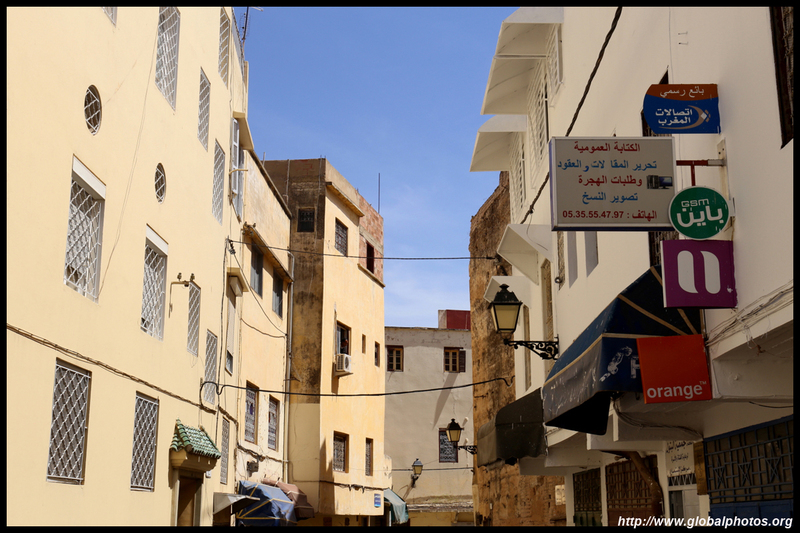 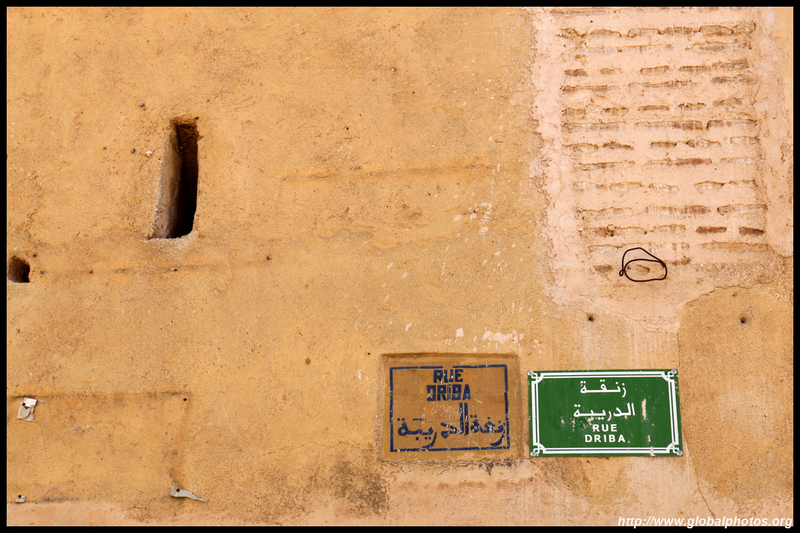 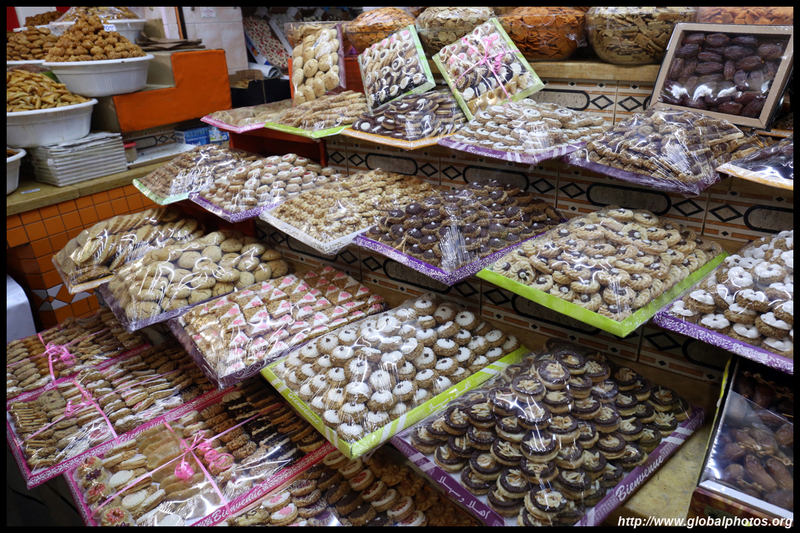 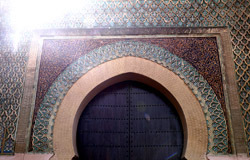 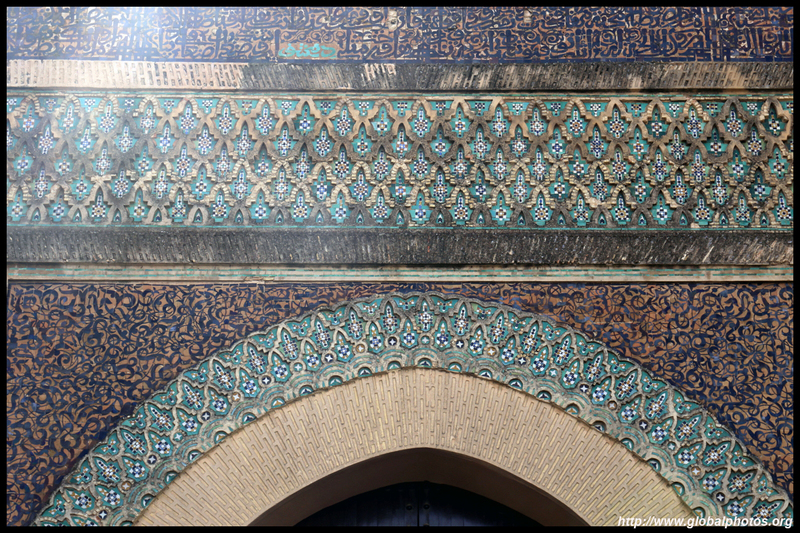 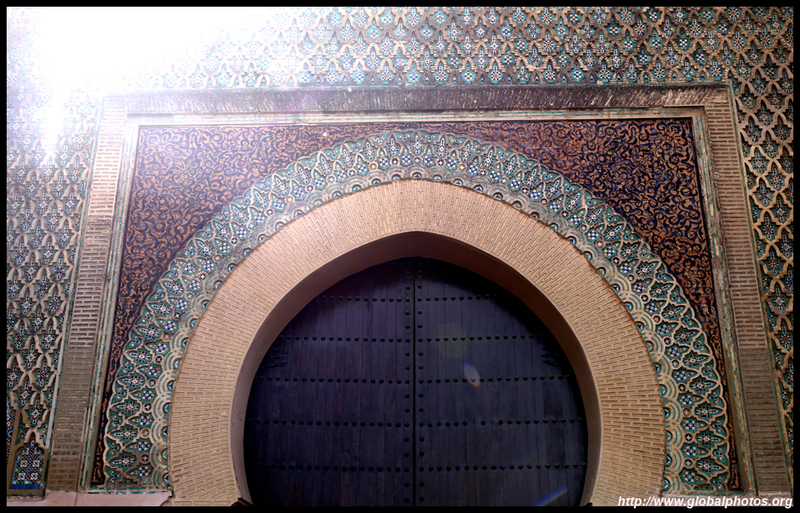 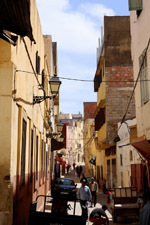 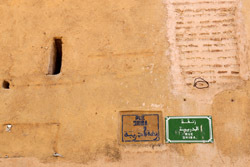 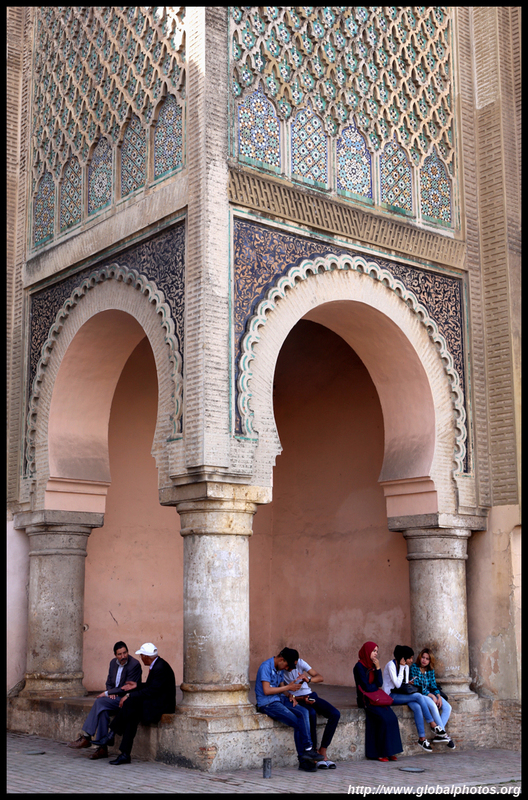 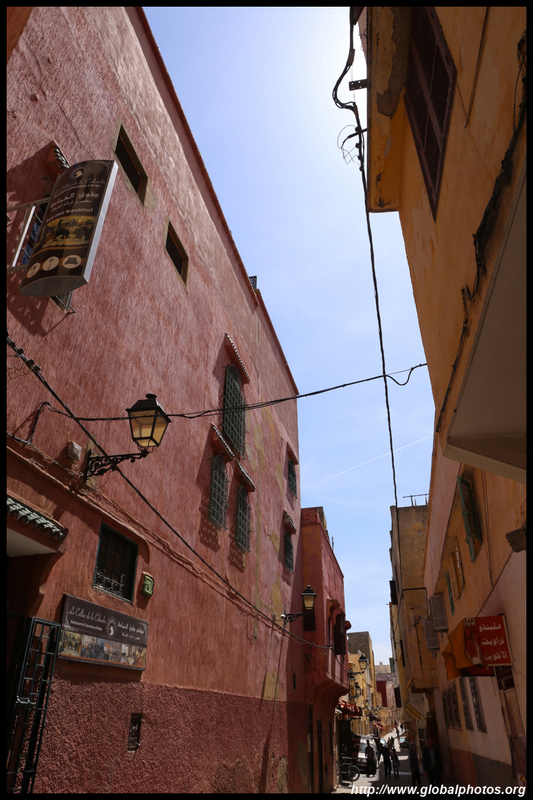 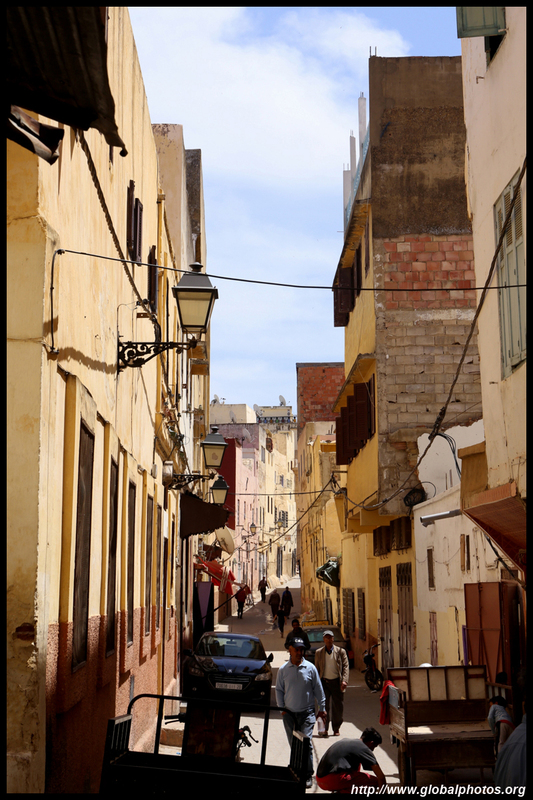 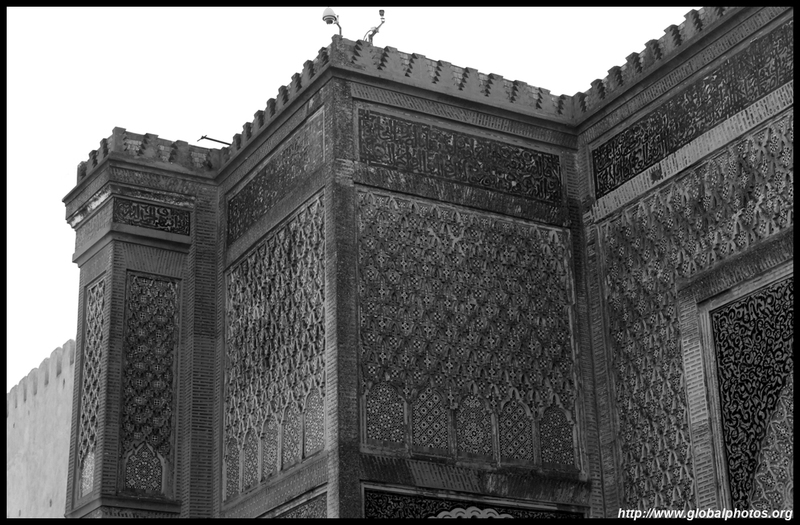 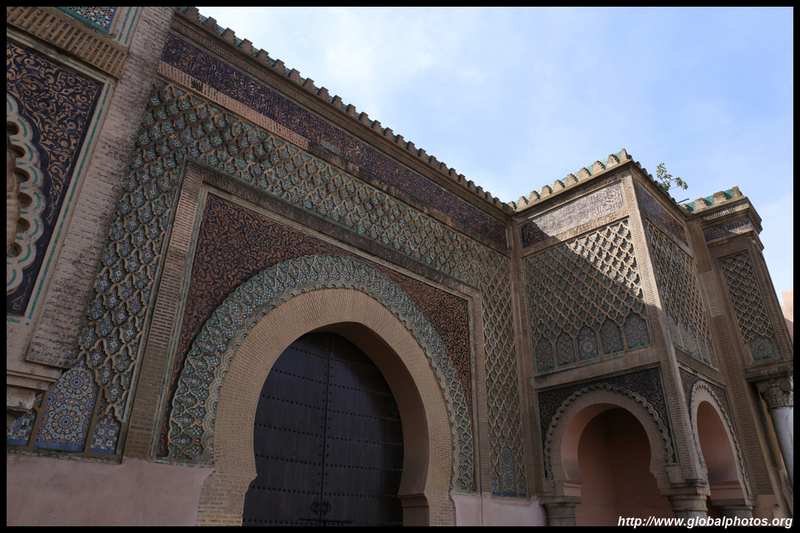 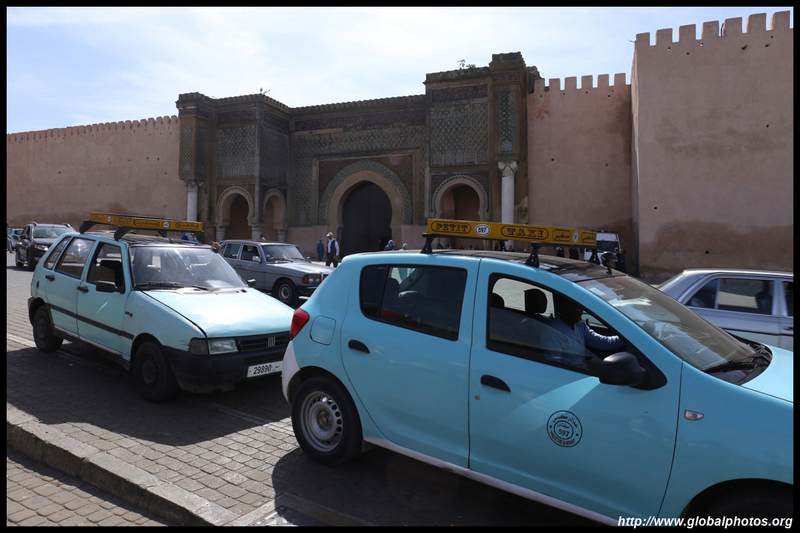 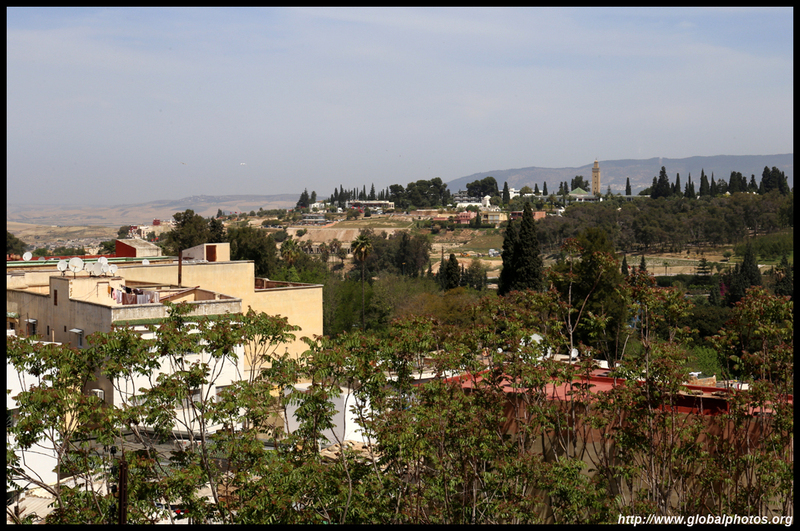 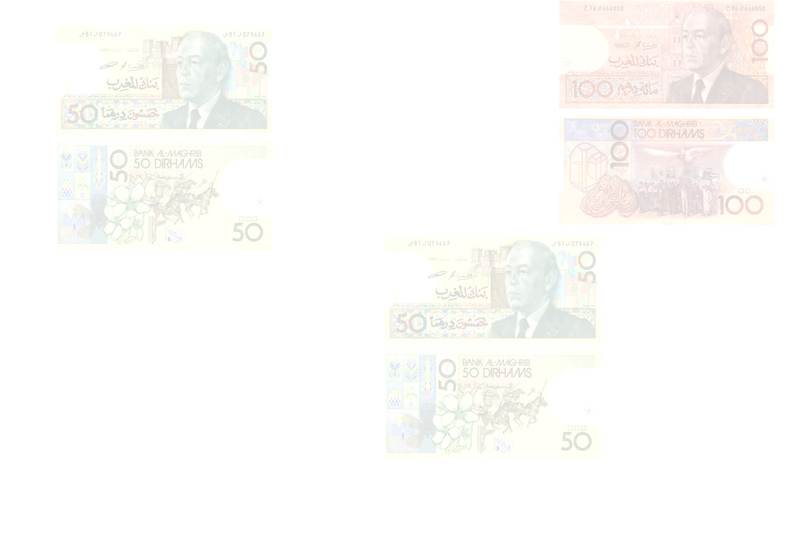 The sultan went on a building spree and today, Meknes is home to over 500,000 people. 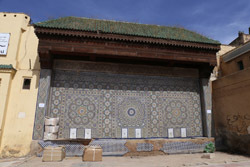 Place el-Hedime was the grand entrance to the imperial city. 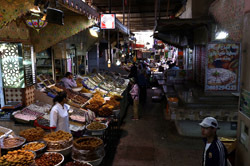 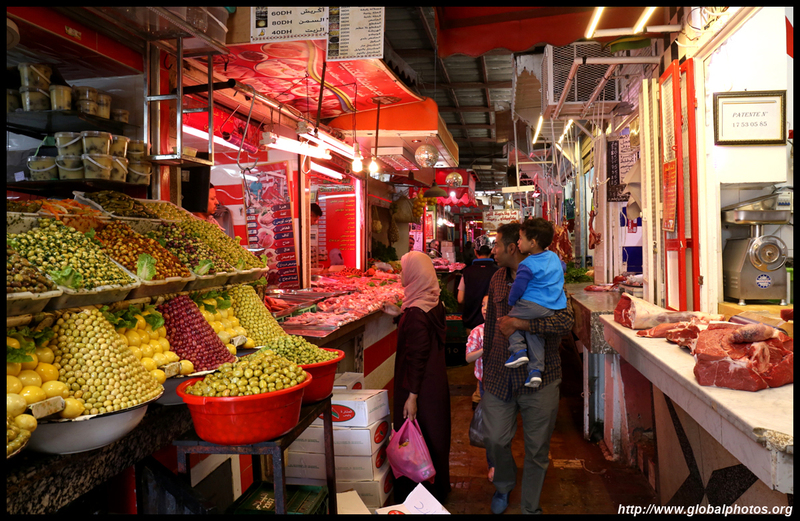 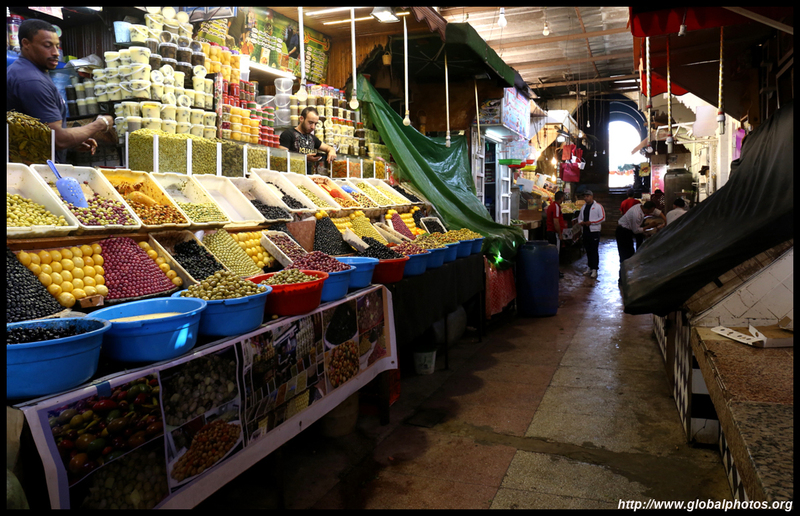 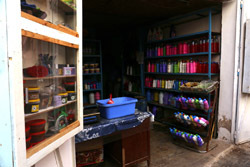 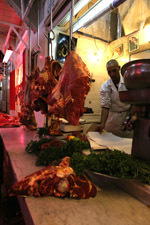 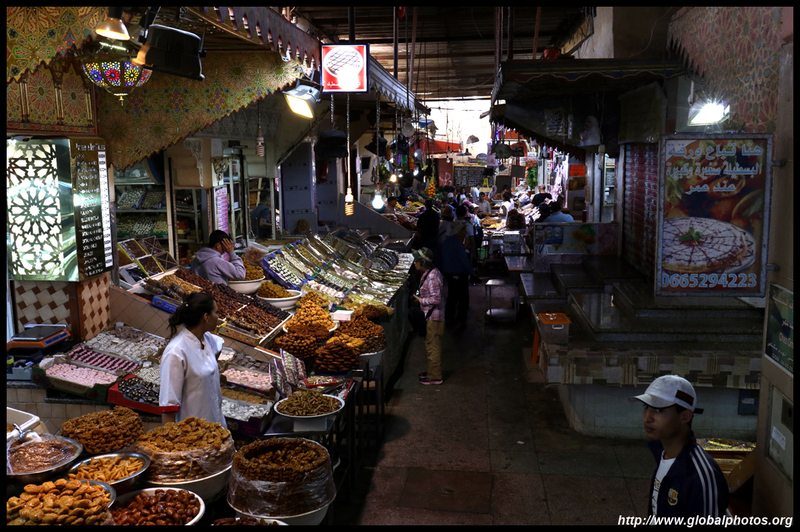 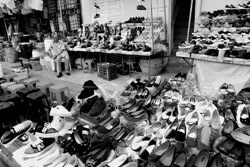 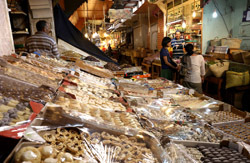 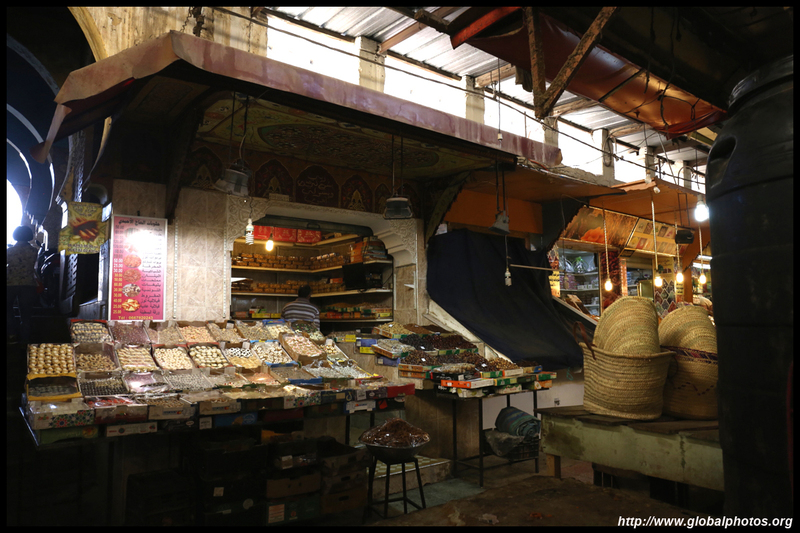 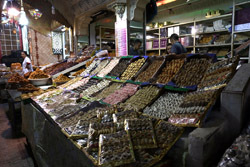 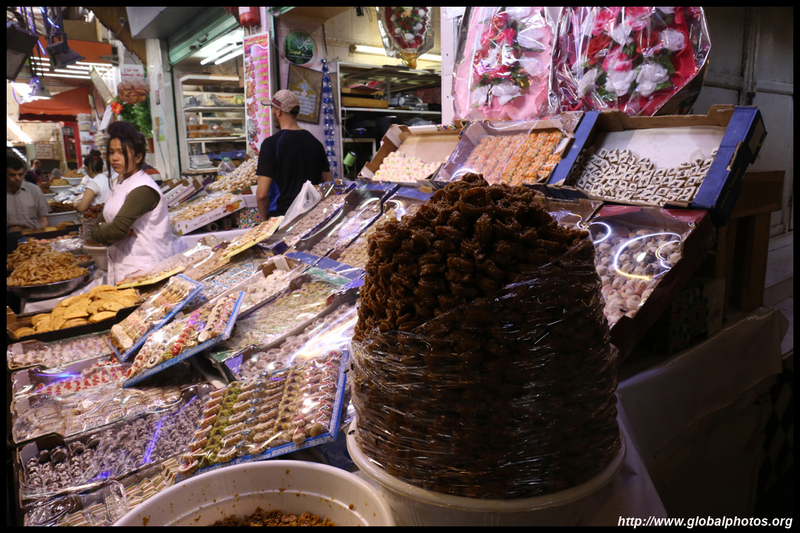 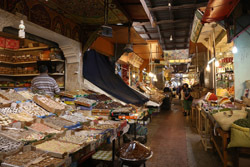 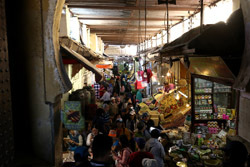 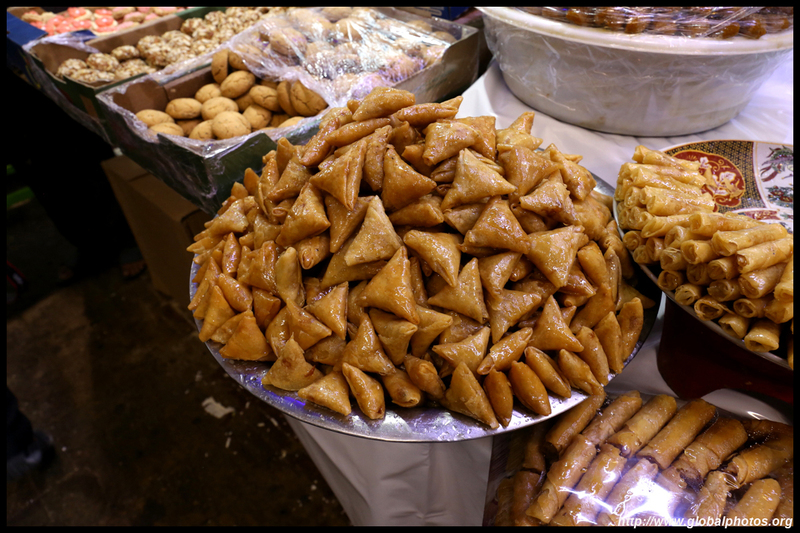 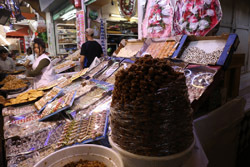 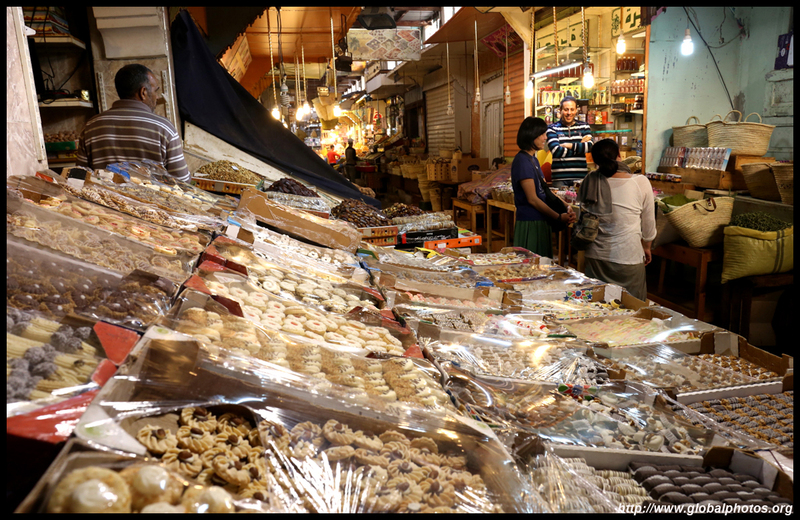 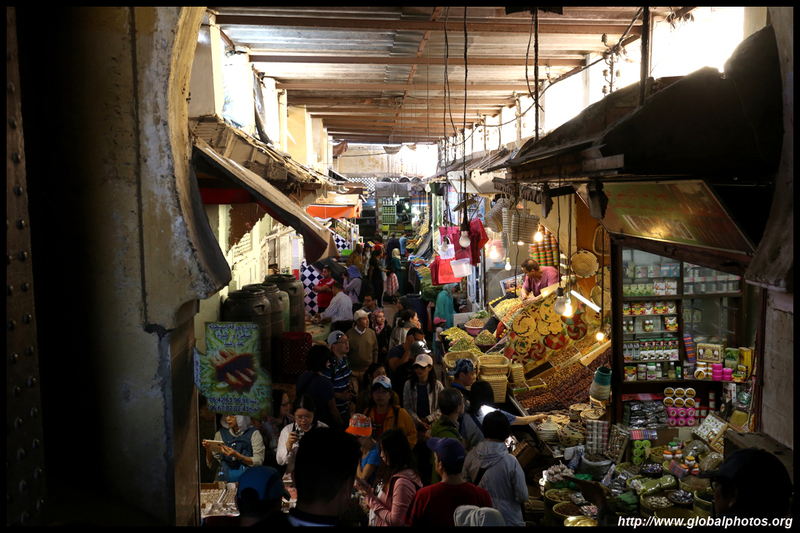 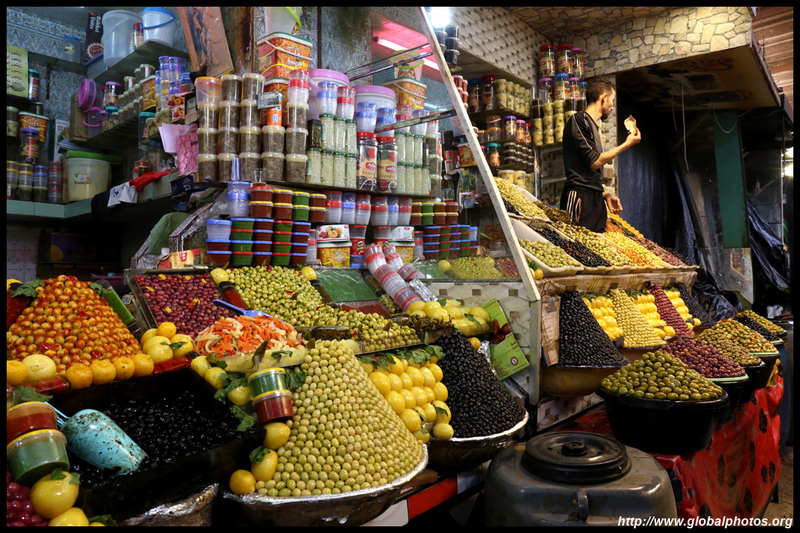 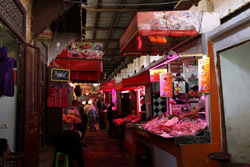 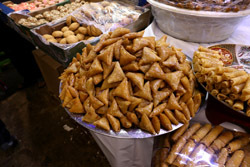 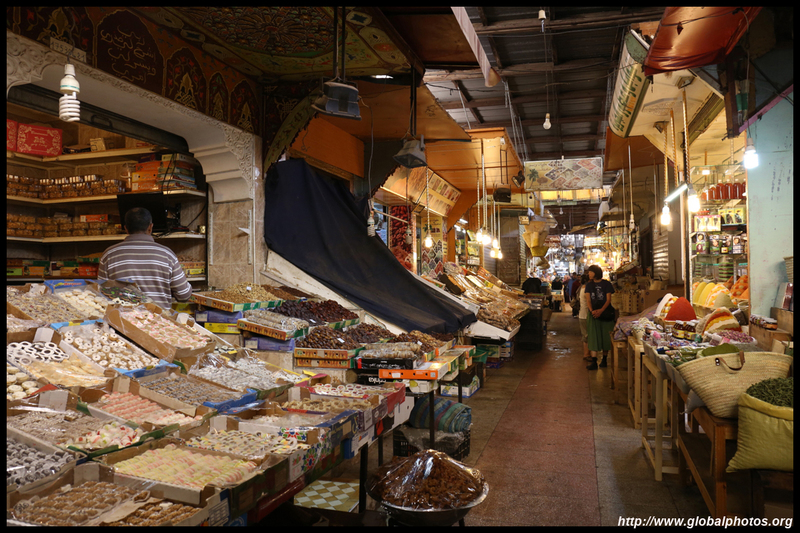 Now, it is a bustling open market. 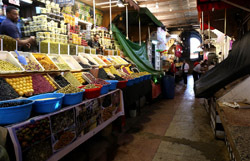 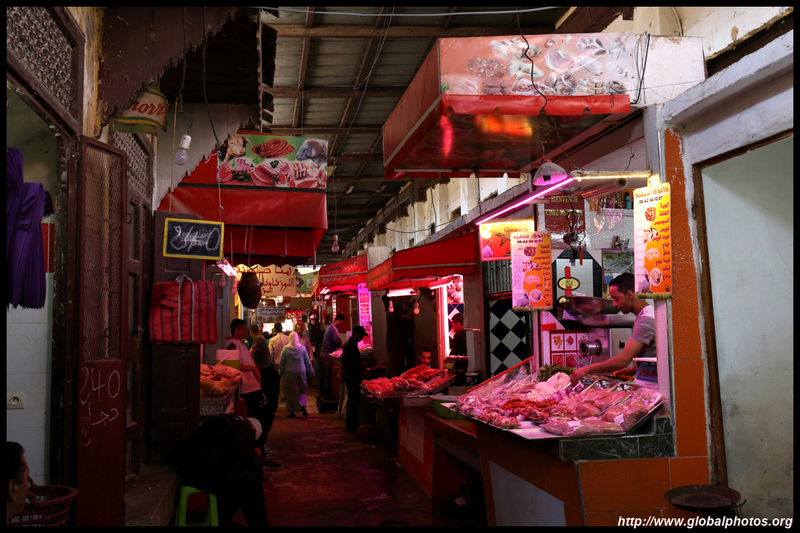 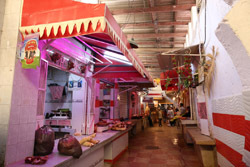 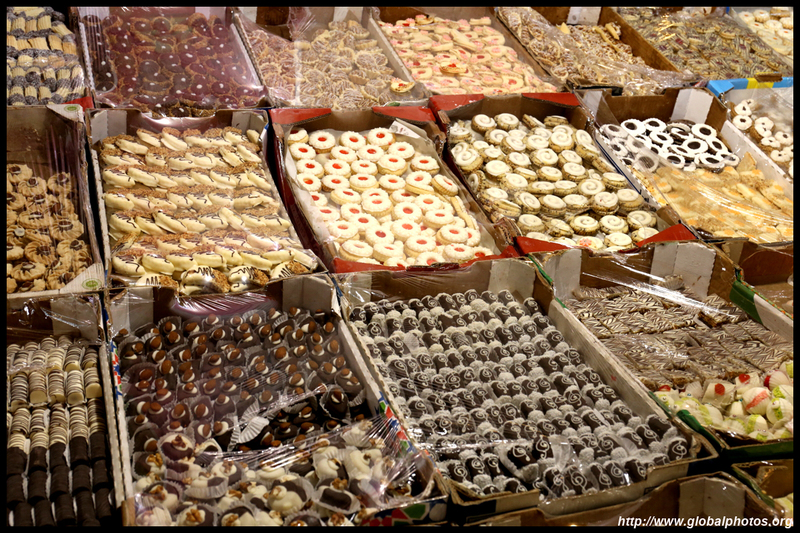 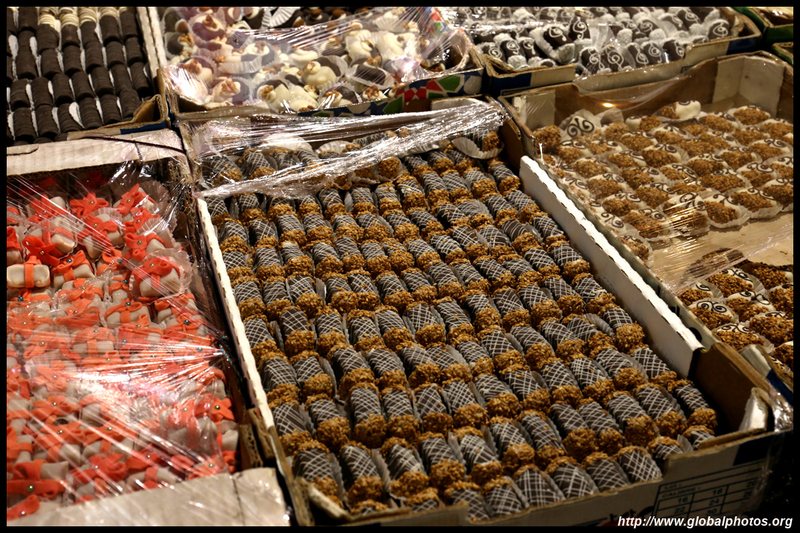 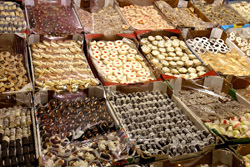 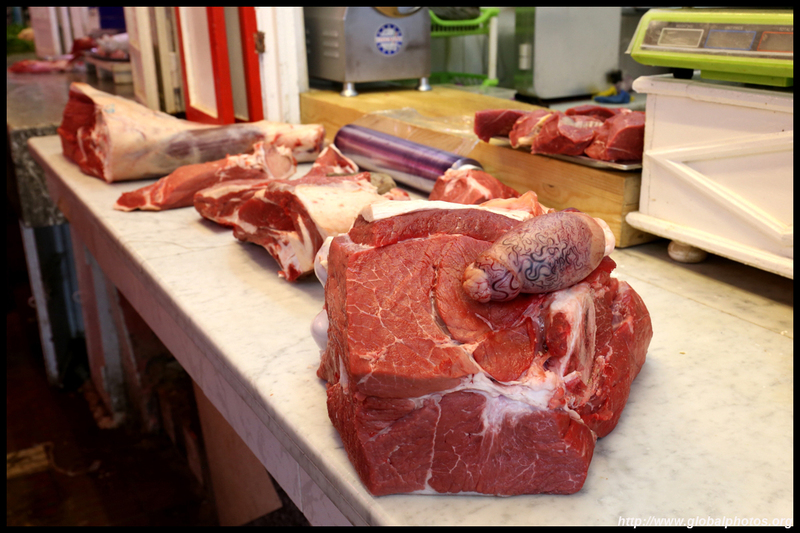 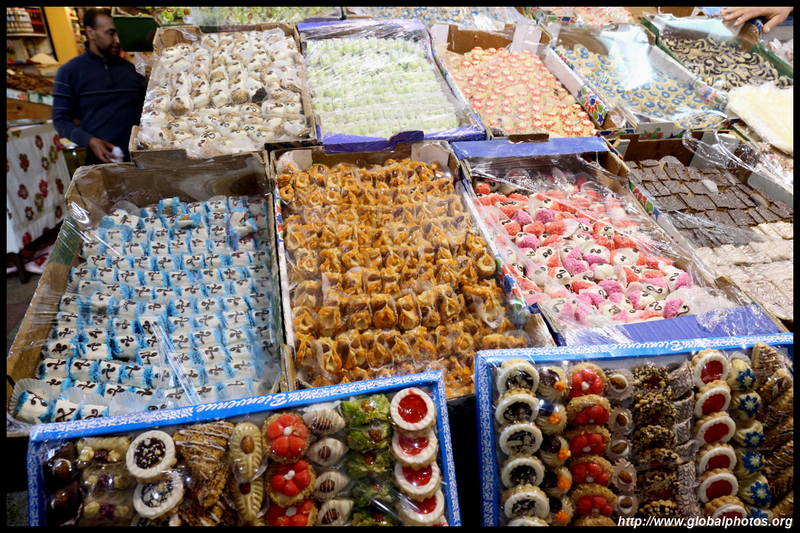 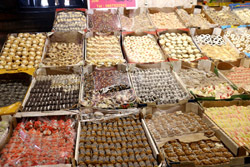 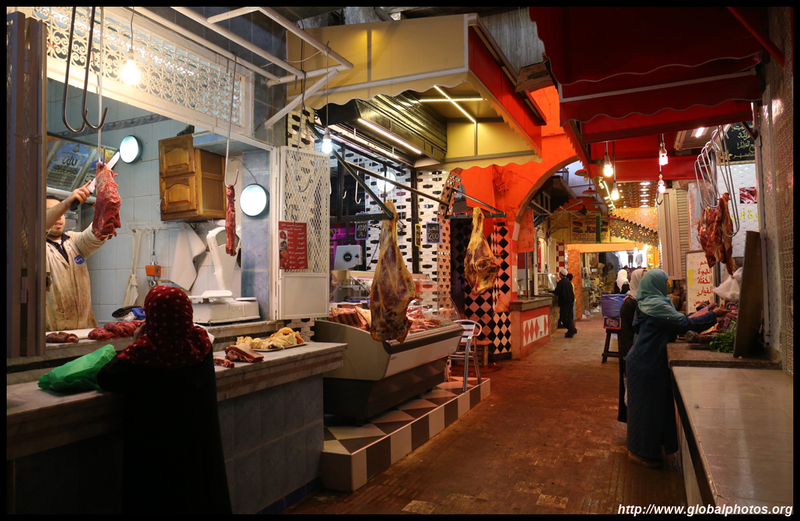 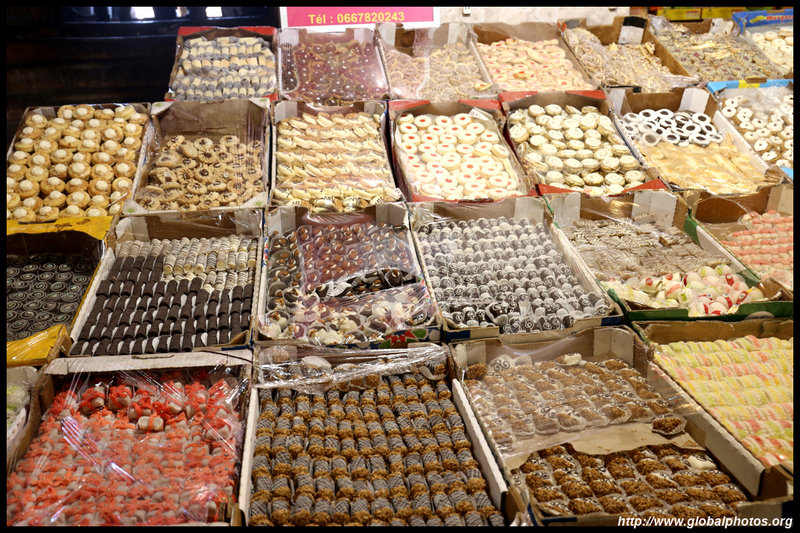 I was more interested in the covered food market, which is on one side of the square. 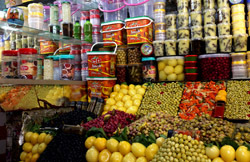 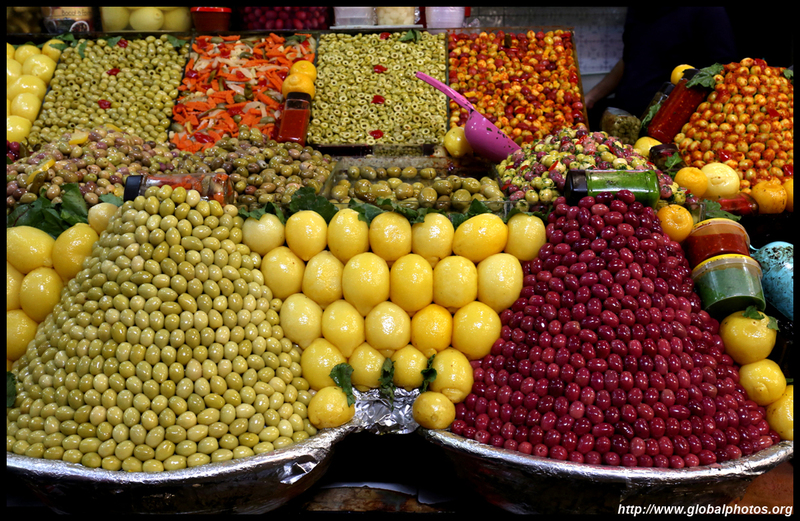 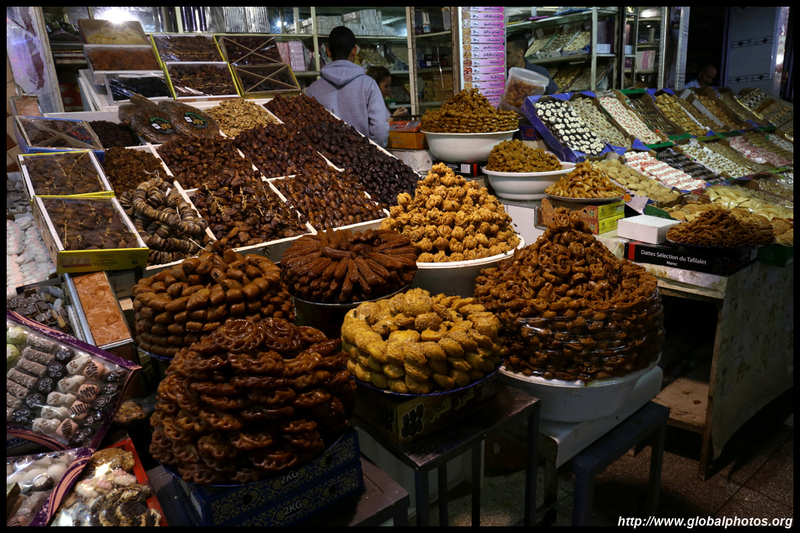 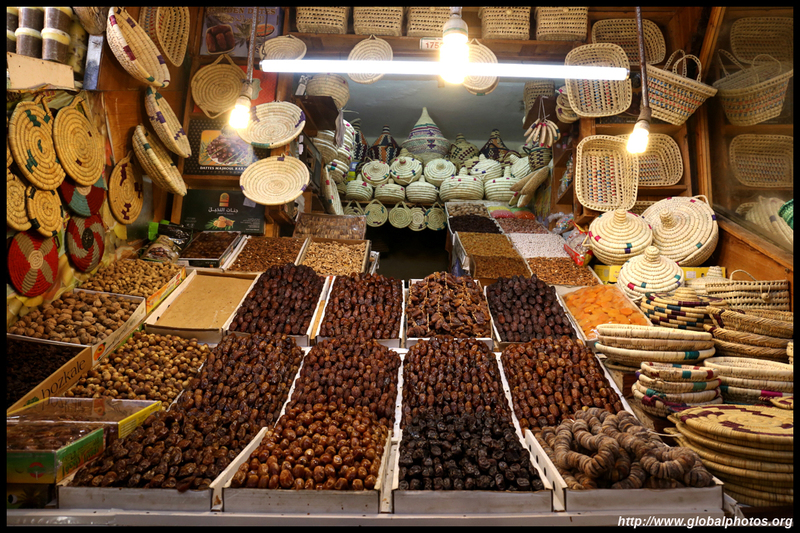 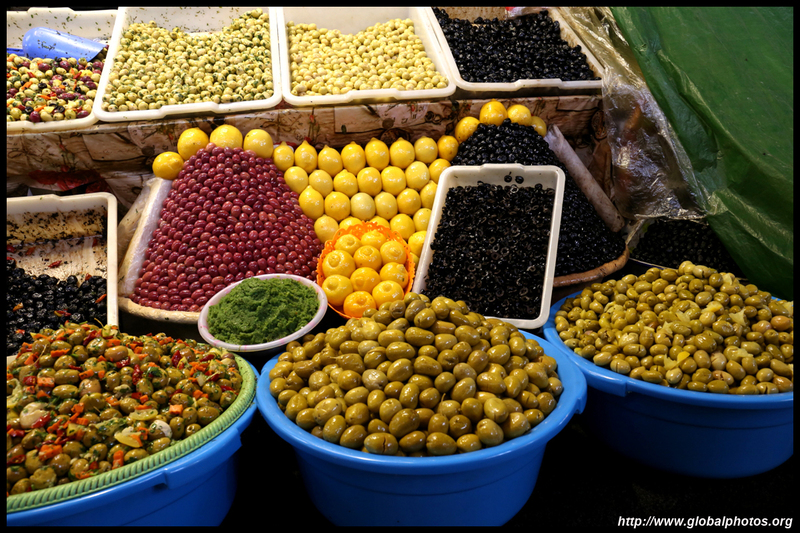 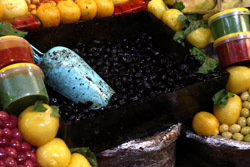 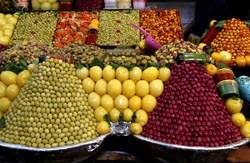 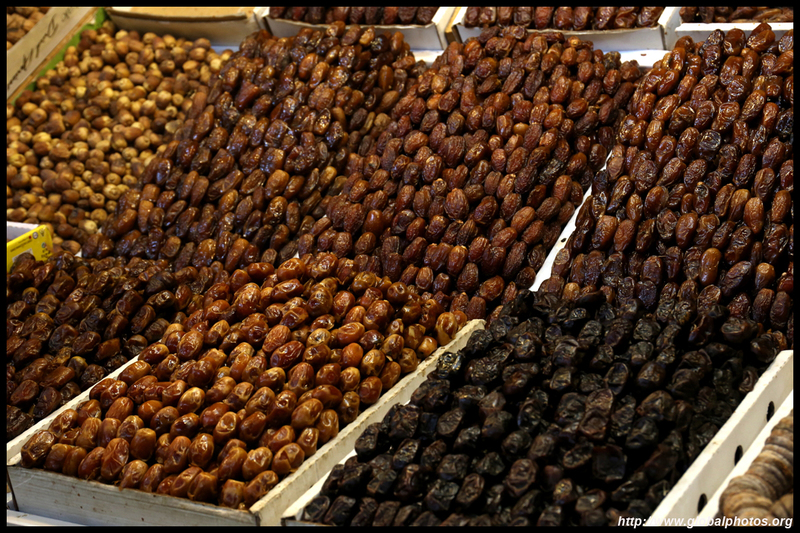 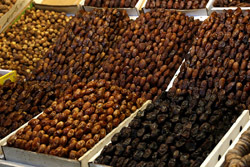 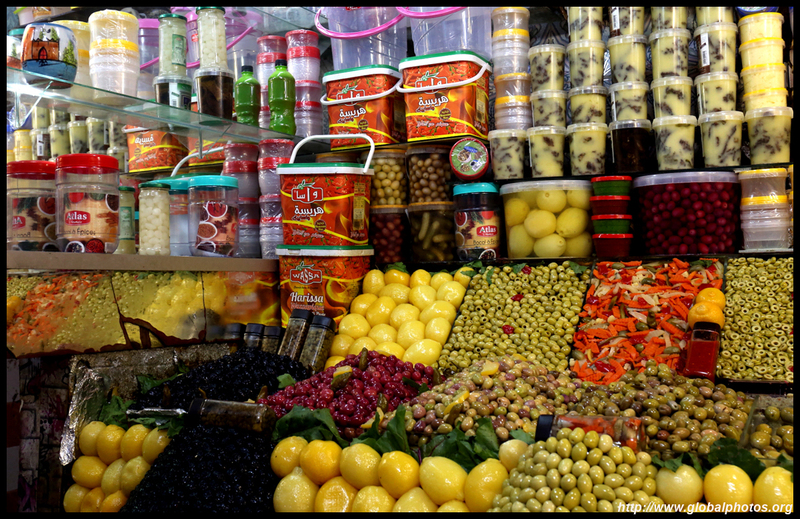 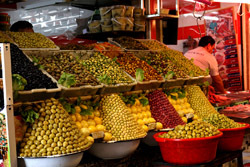 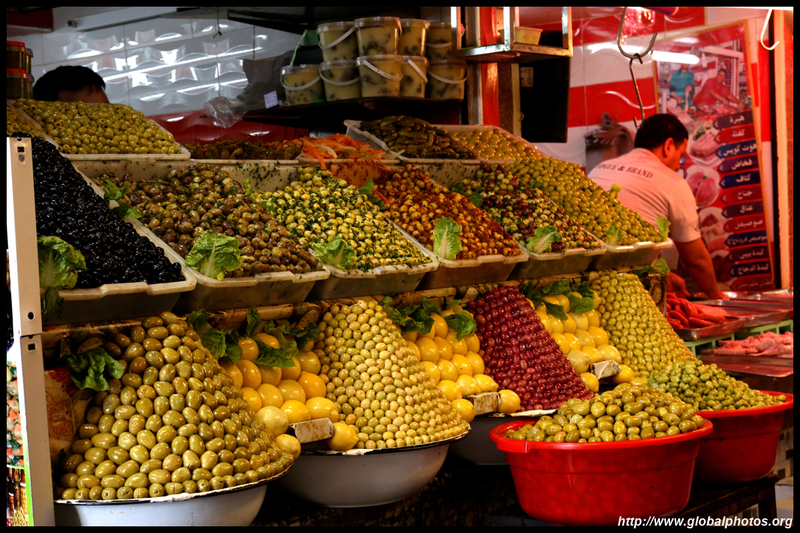 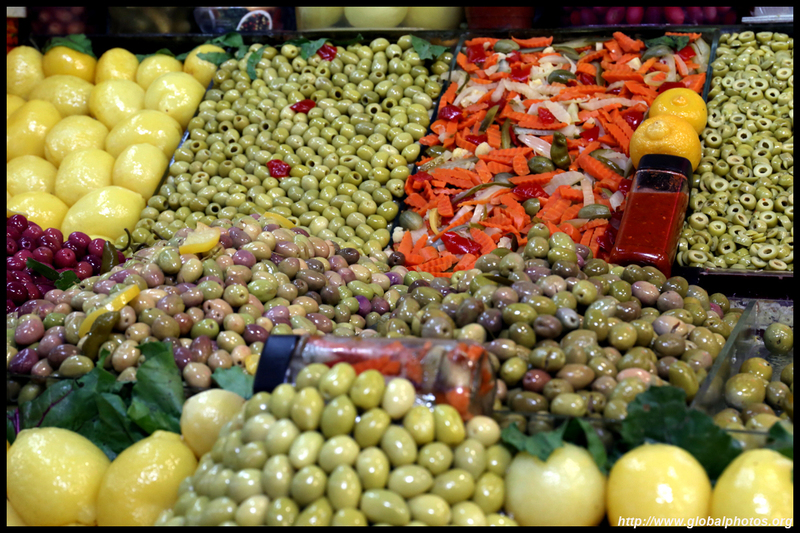 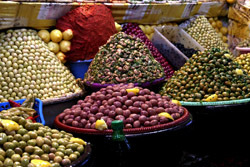 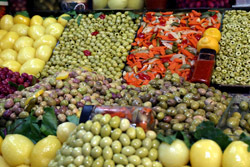 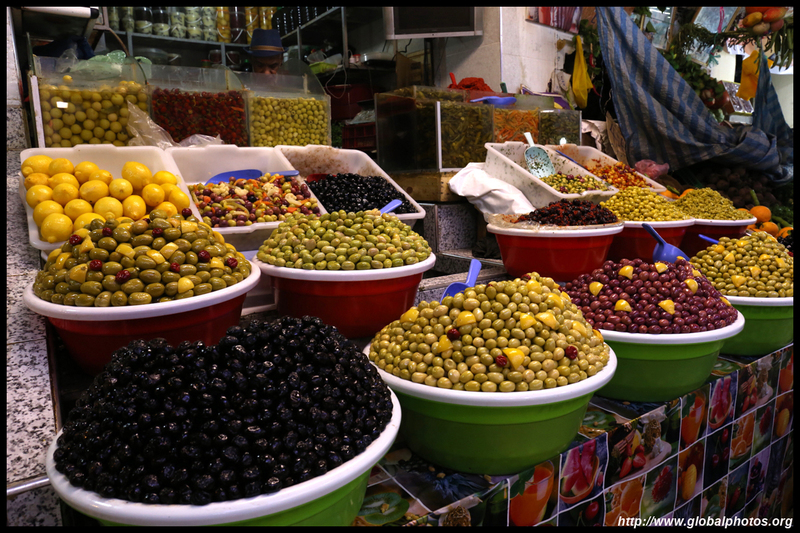 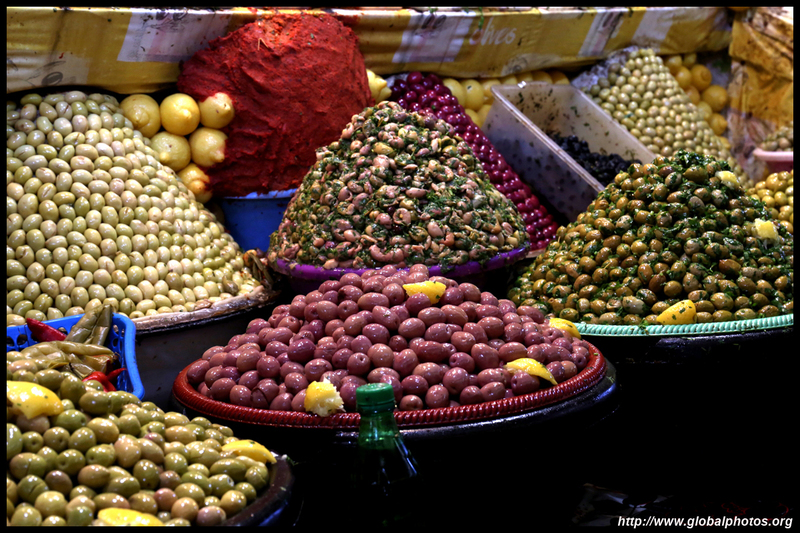 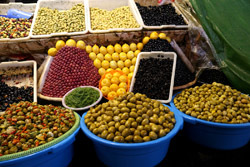 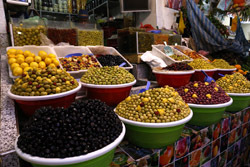 Moroccan olives are definitely very delicious! 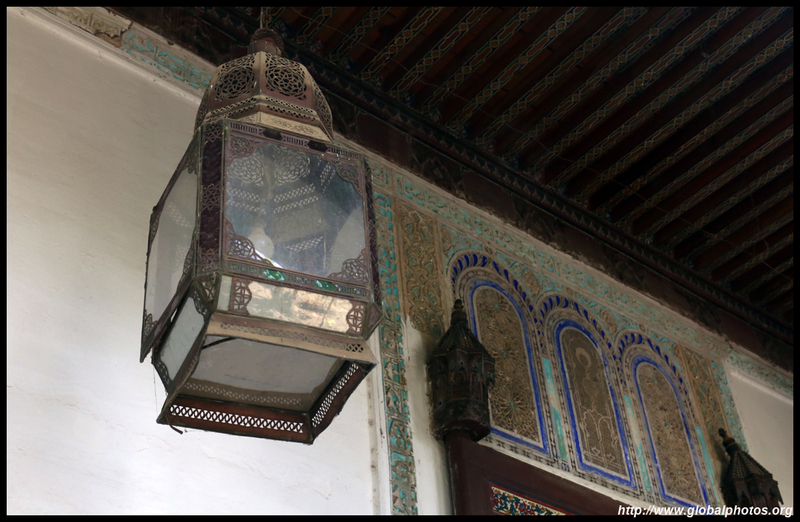 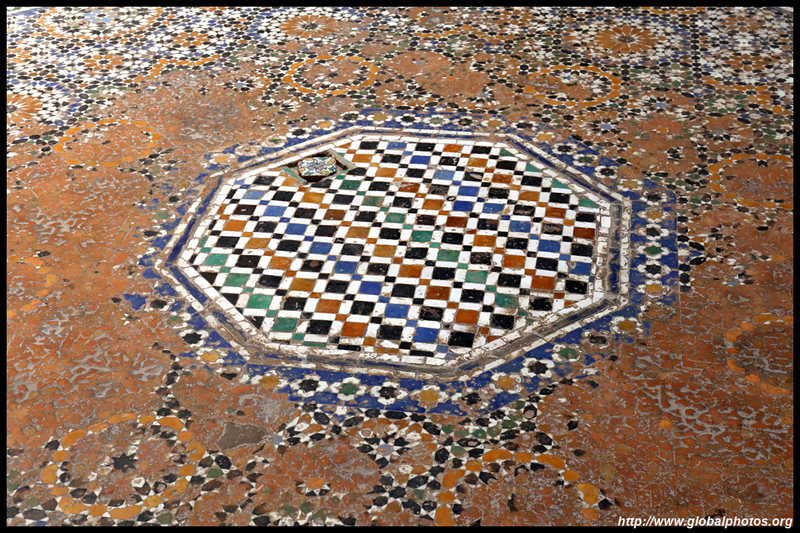 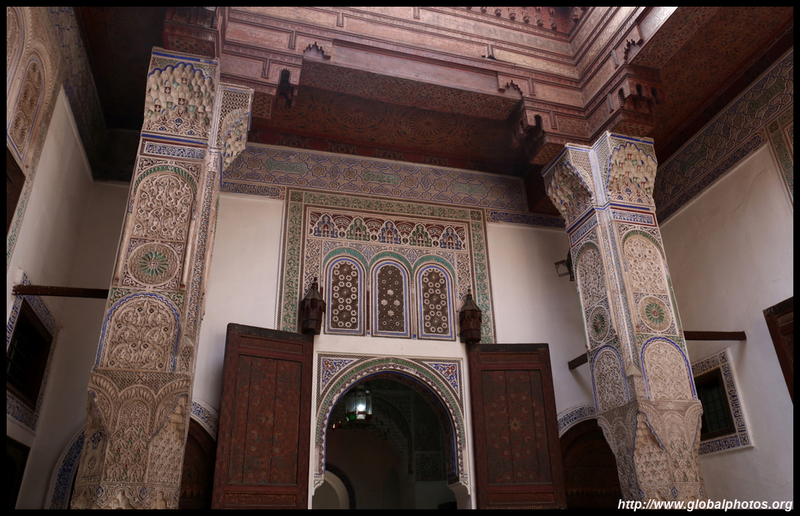 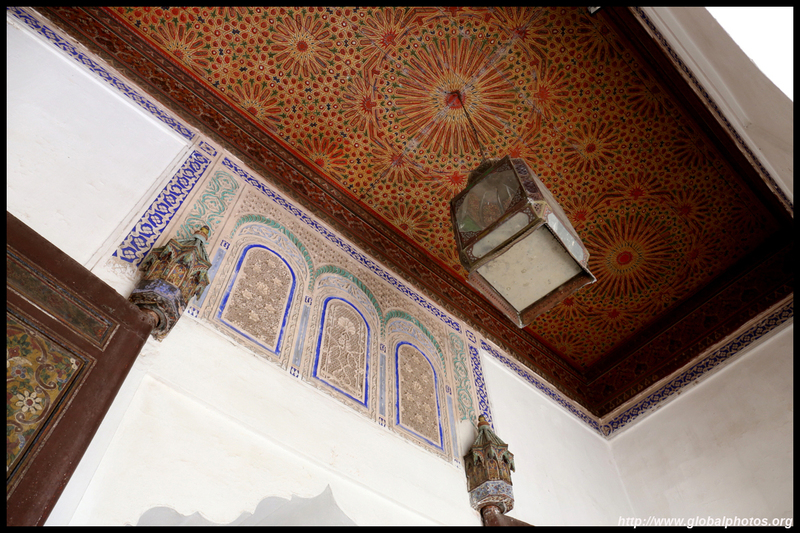 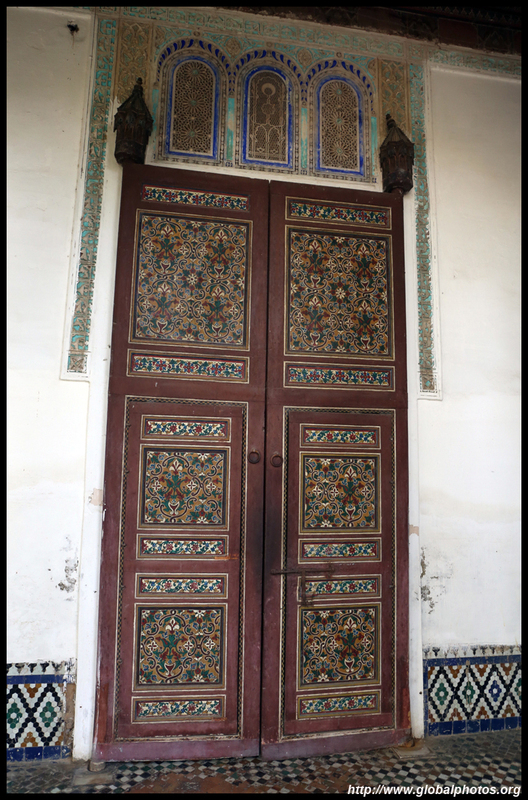 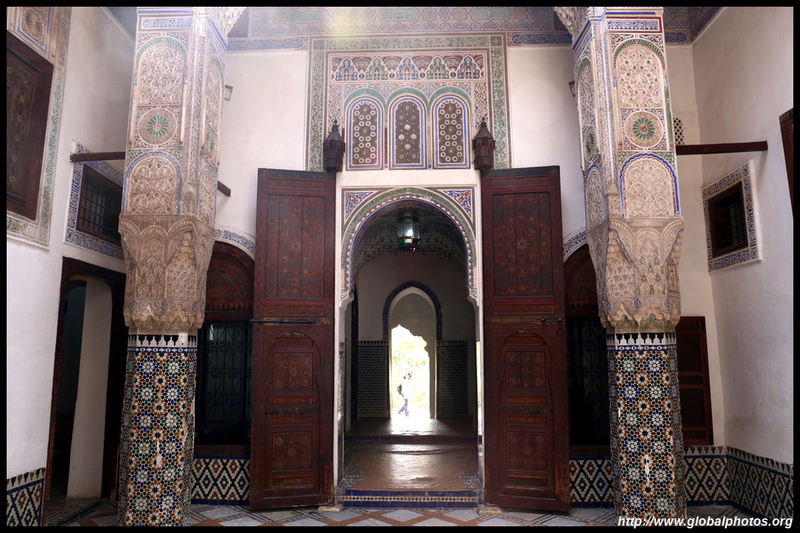 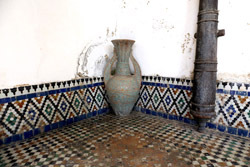 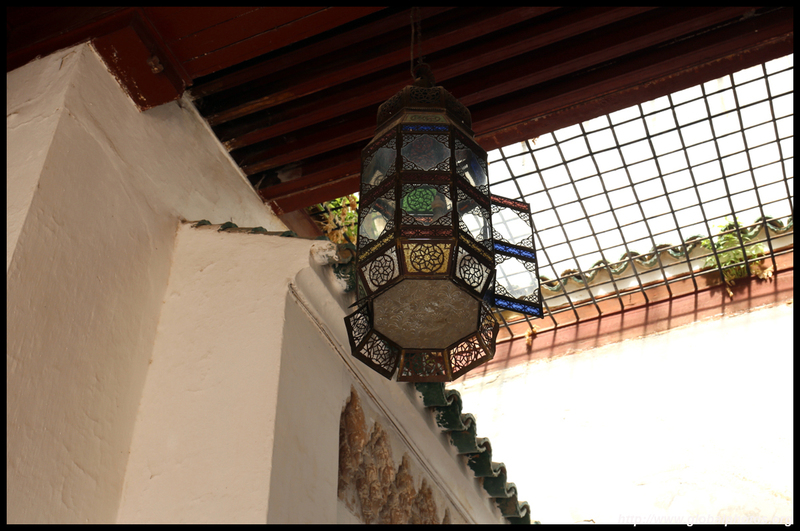 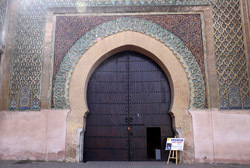 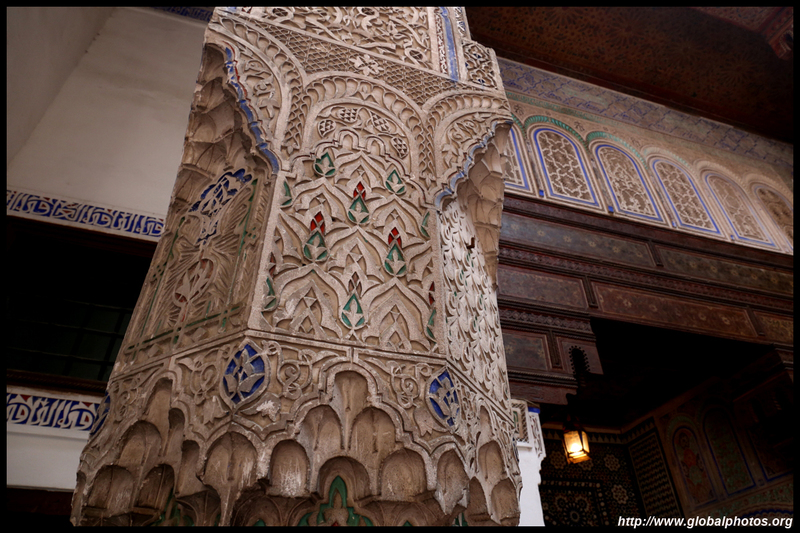 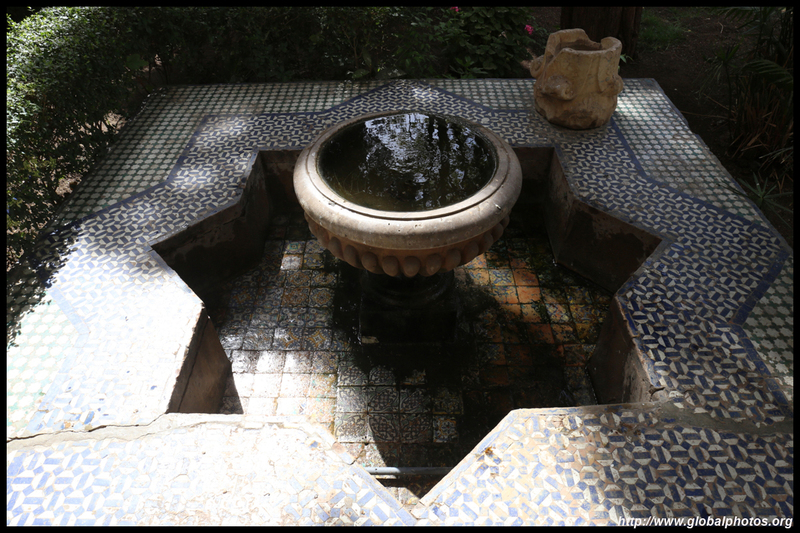 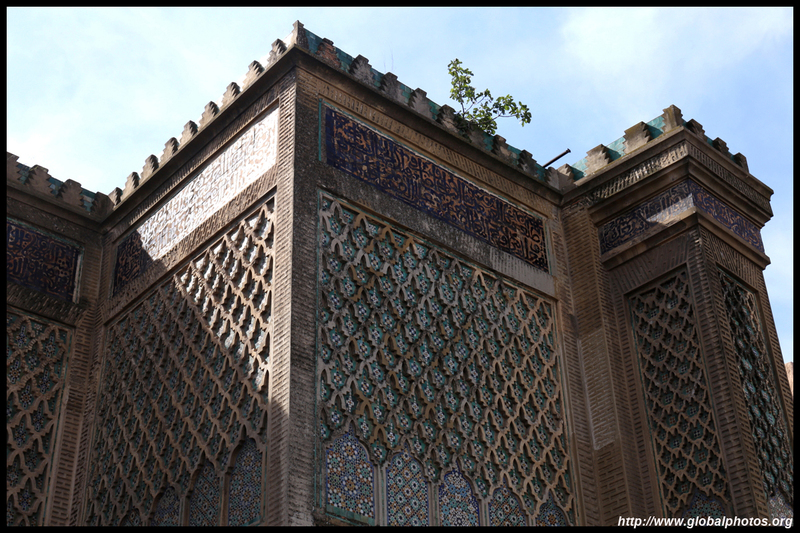 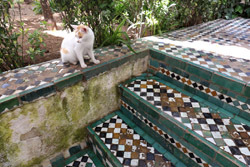 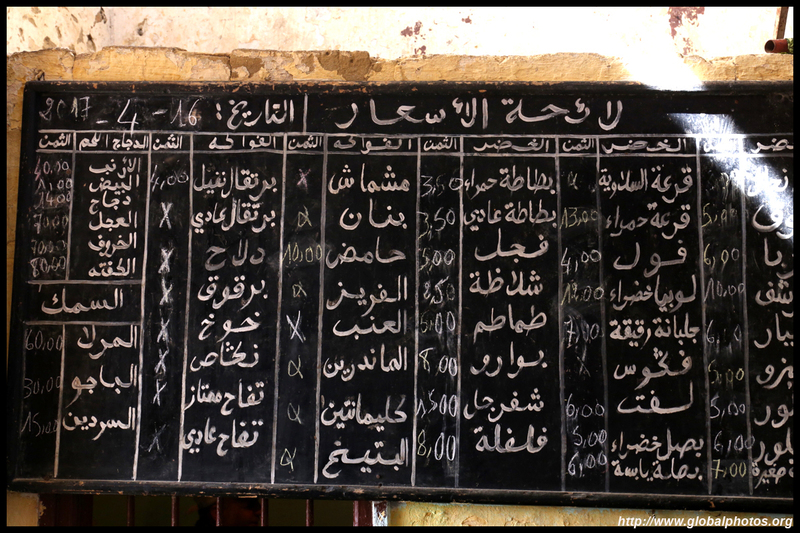 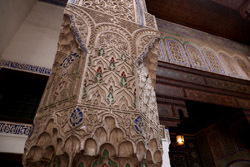 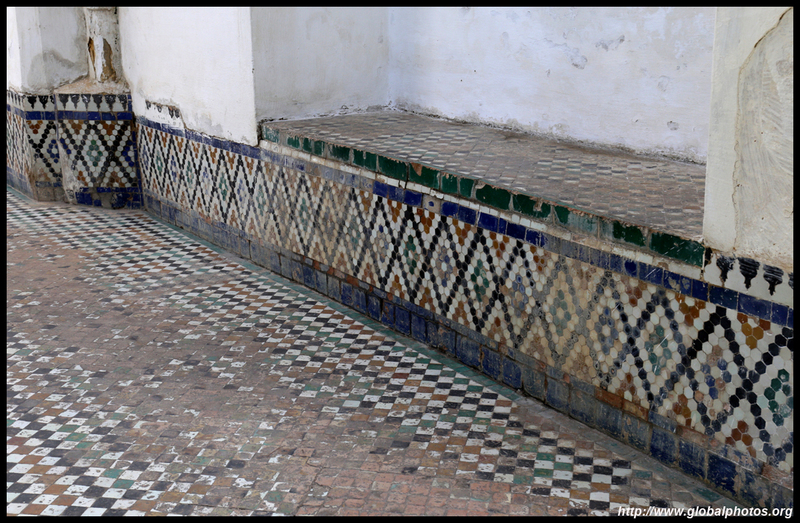 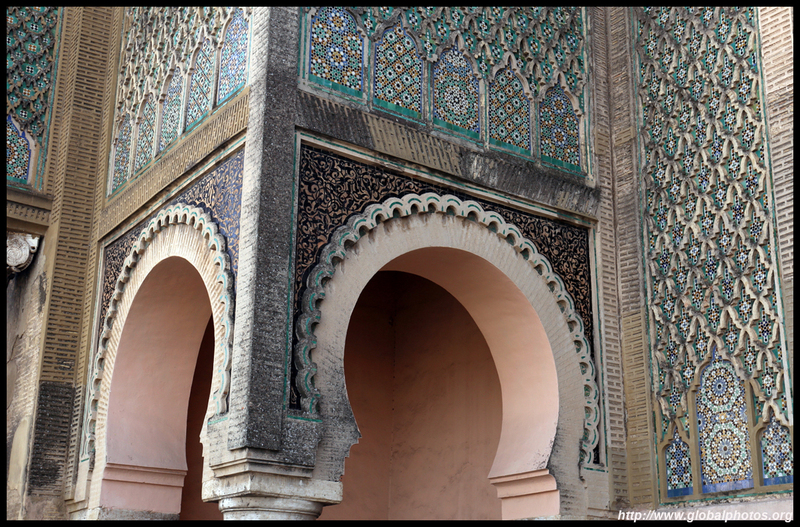 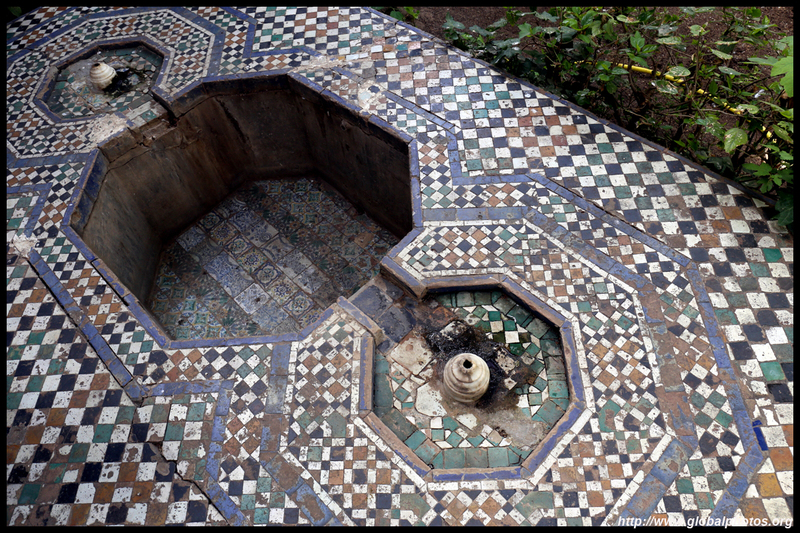 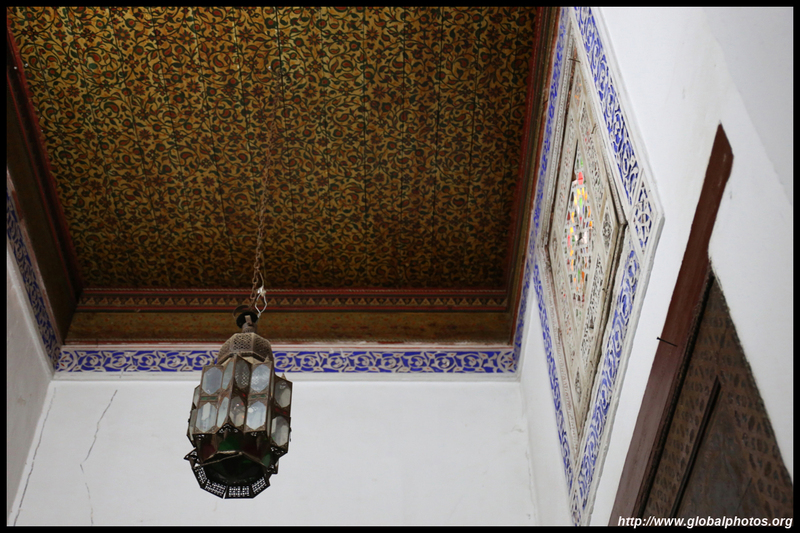 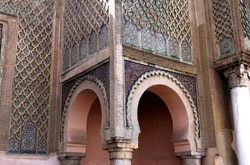 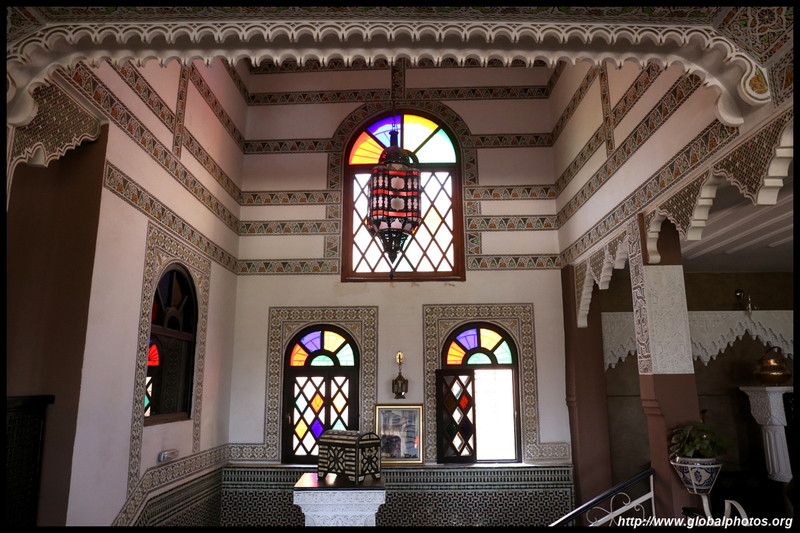 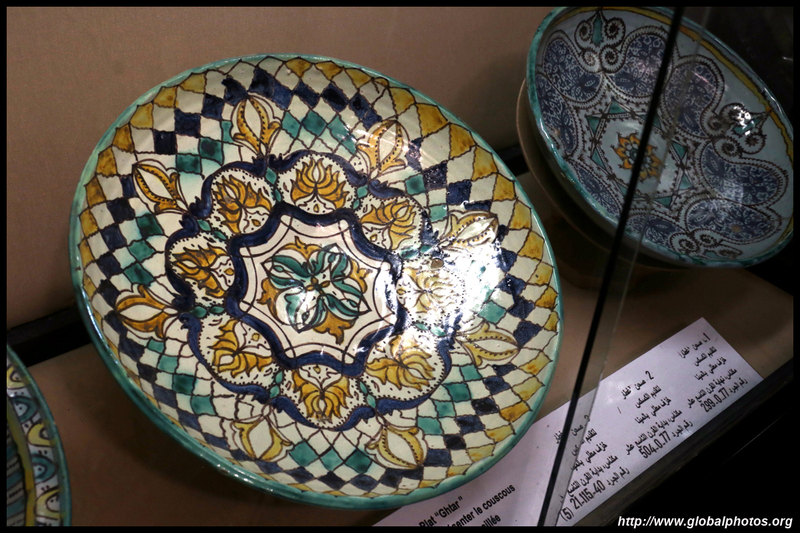 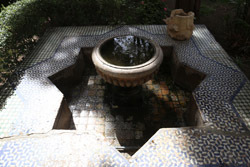 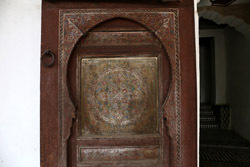 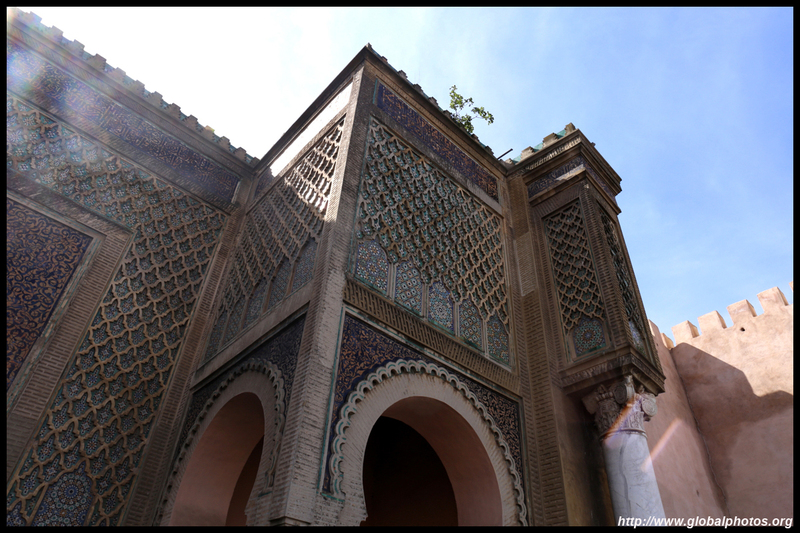 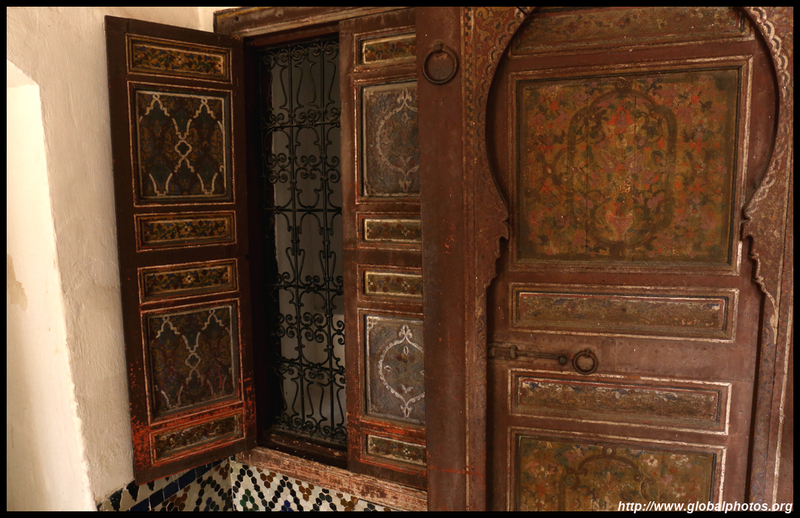 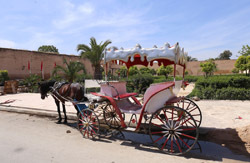 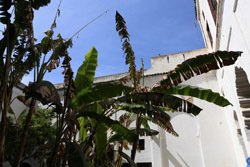 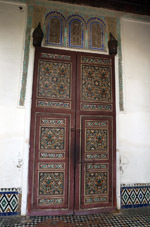 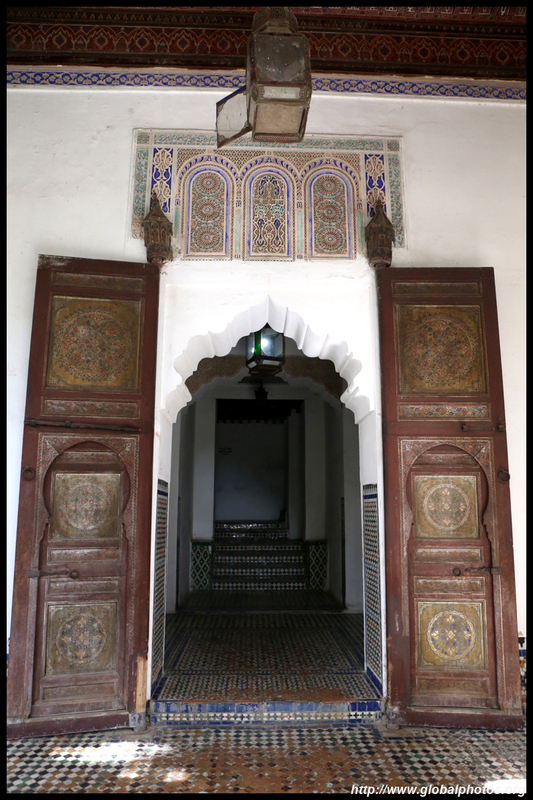 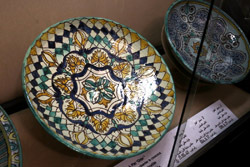 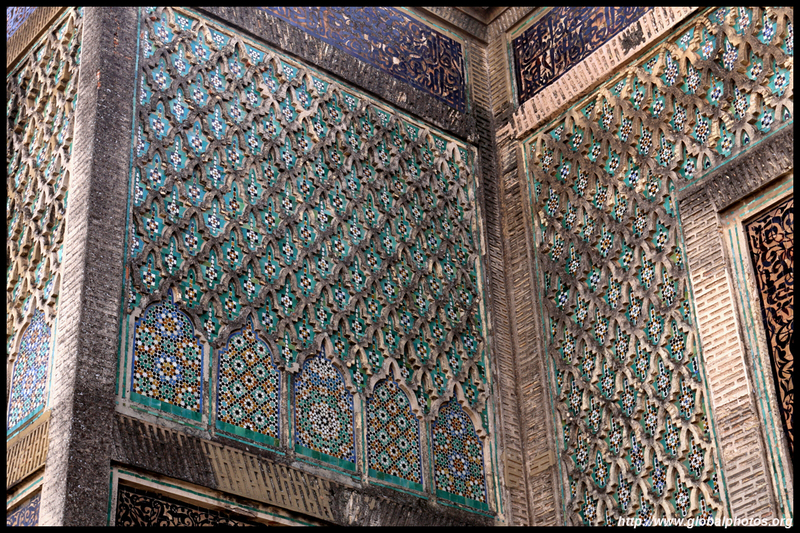 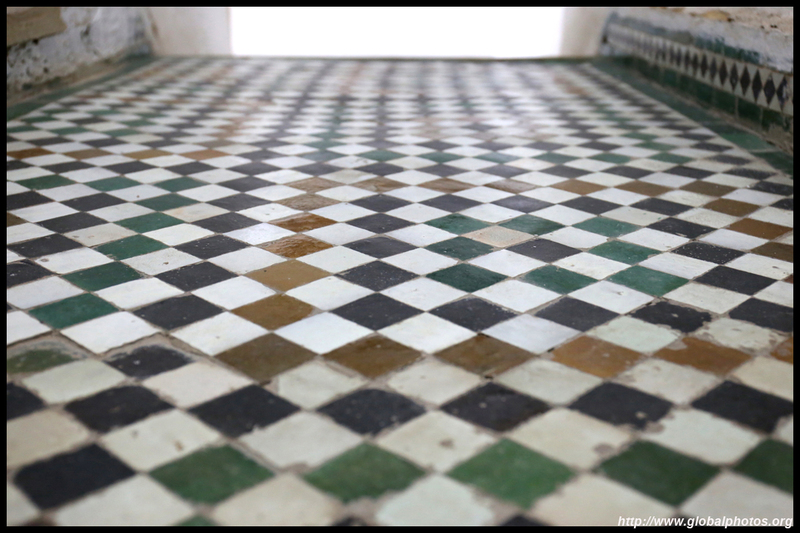 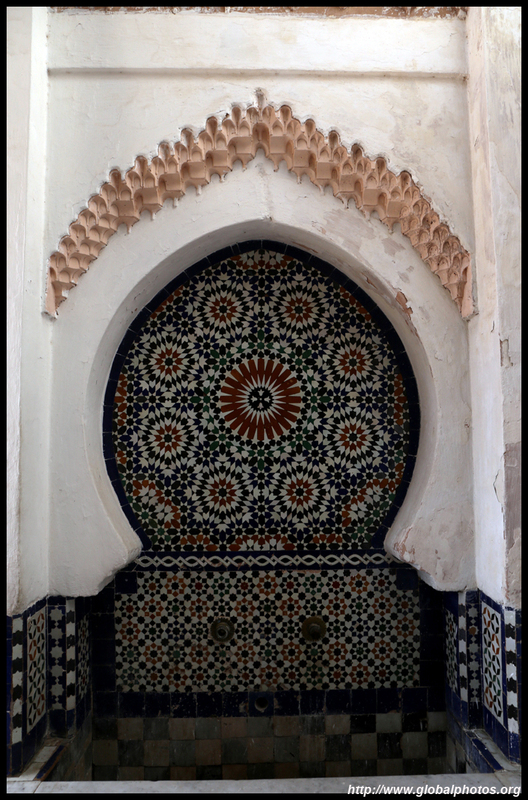 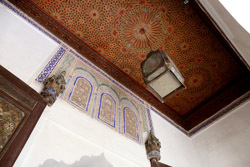 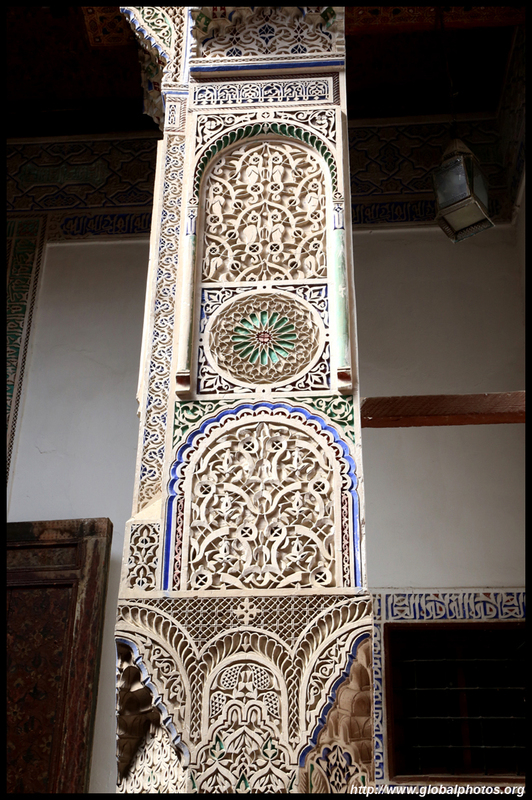 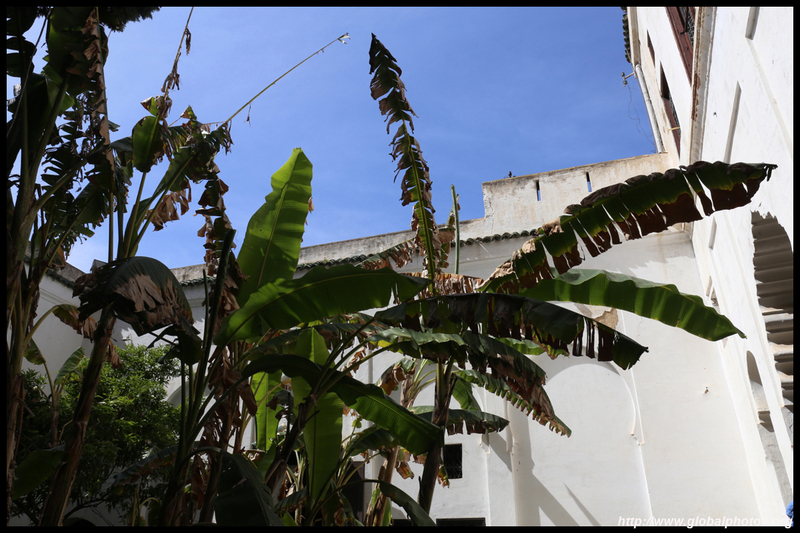 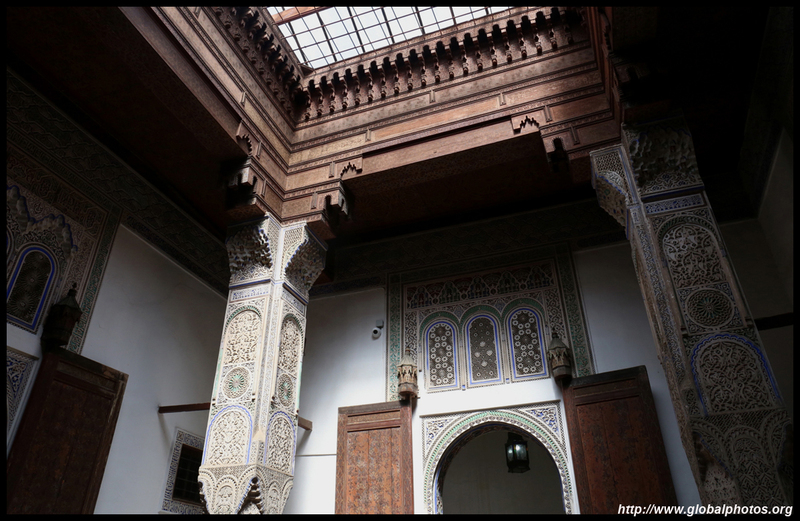 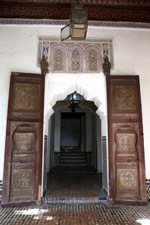 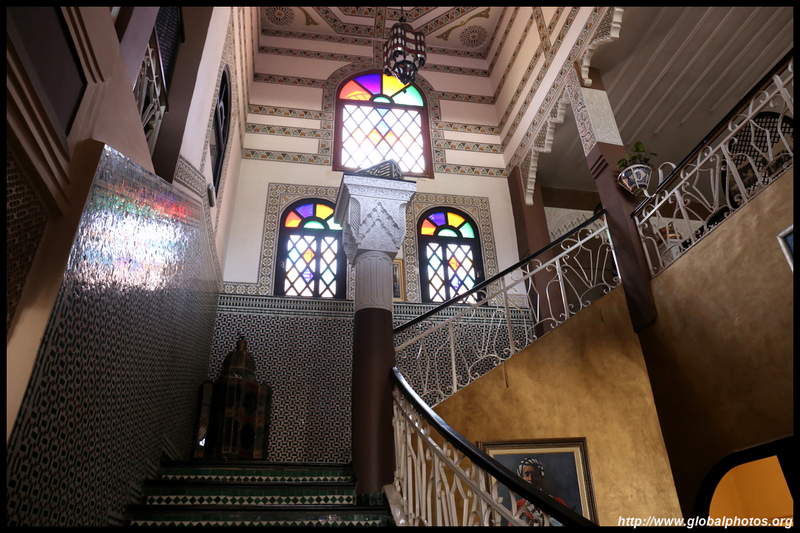 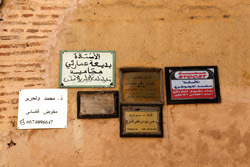 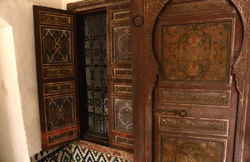 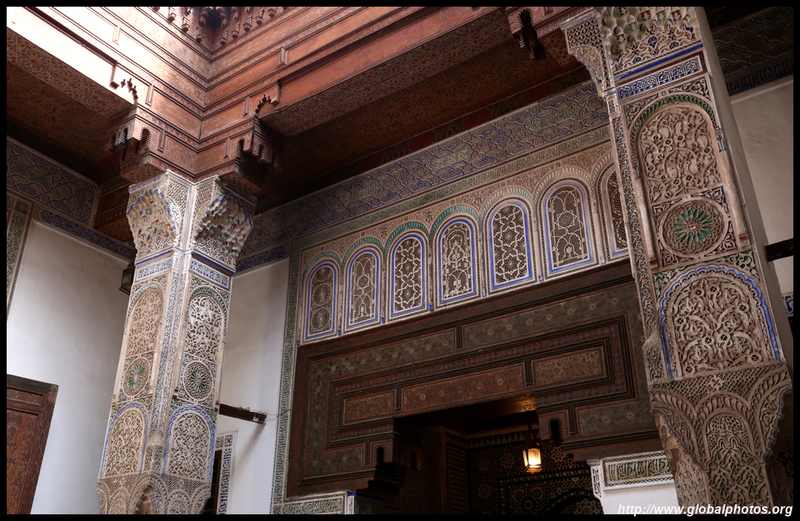 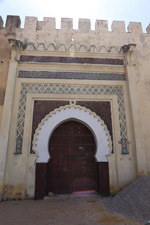 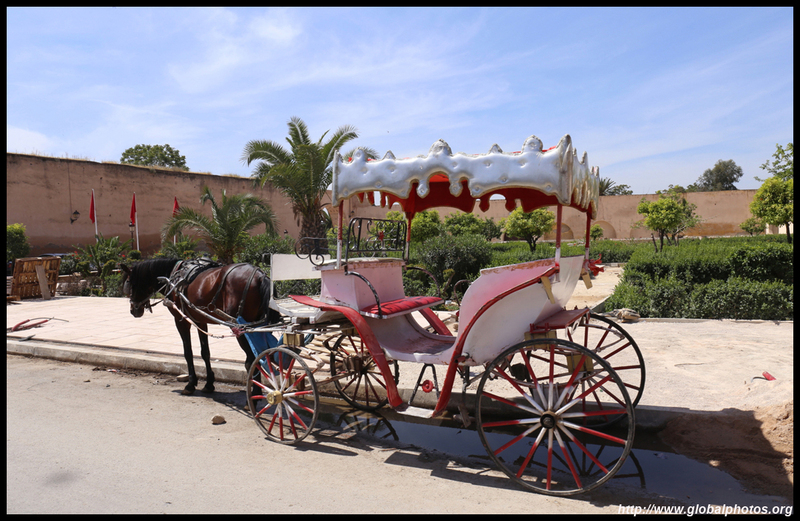 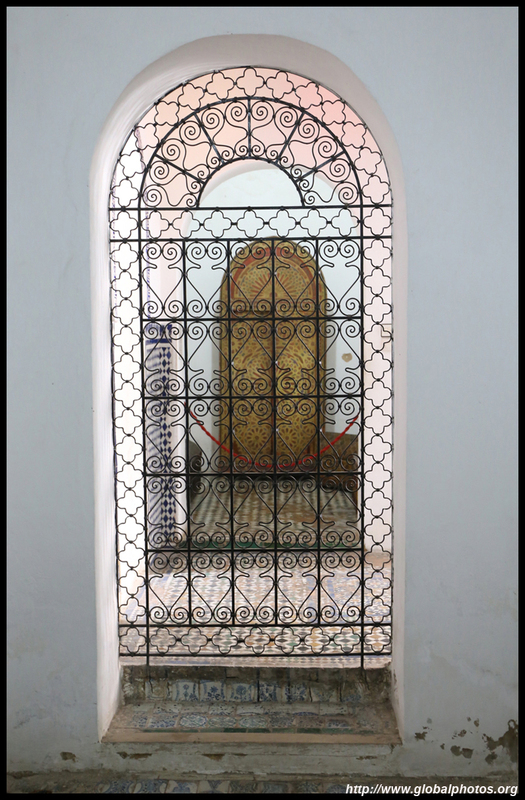 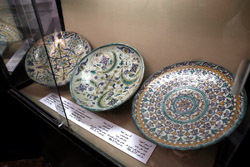 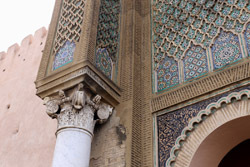 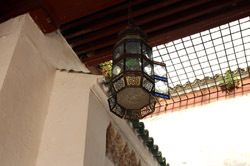 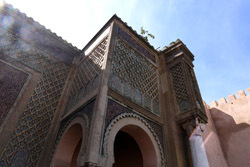 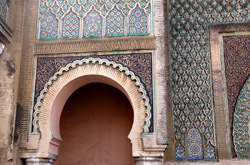 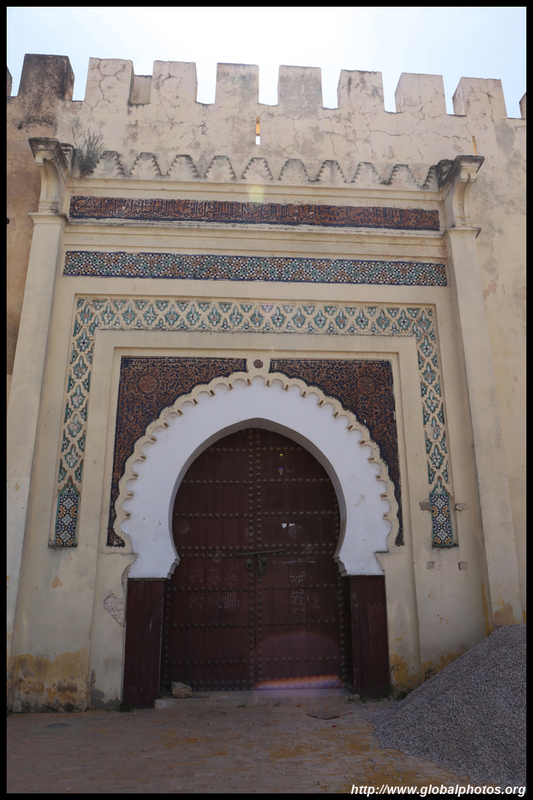 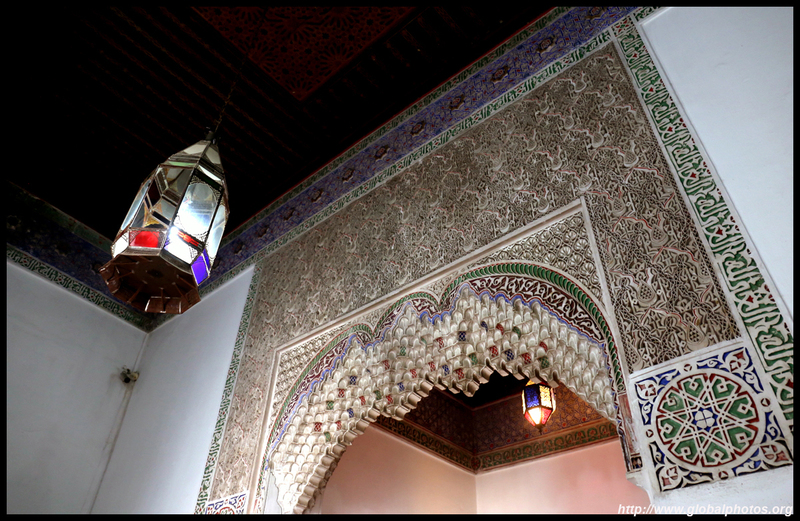 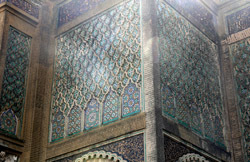 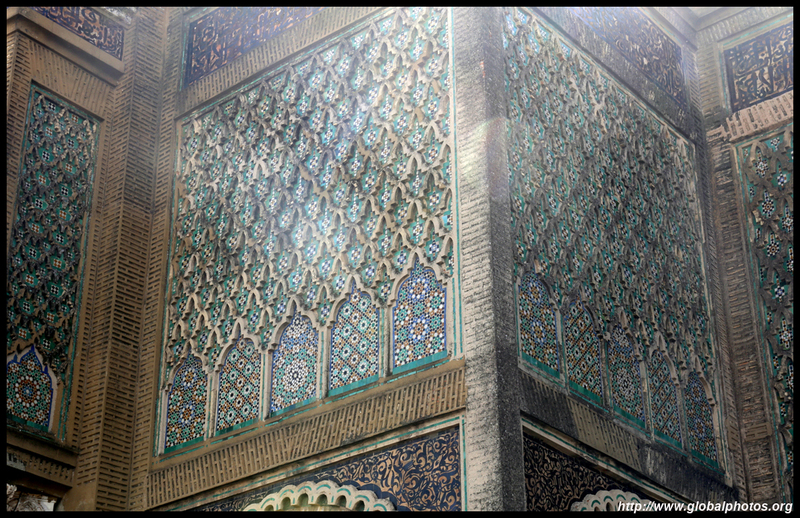 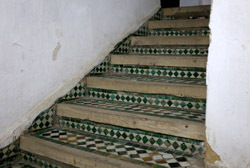 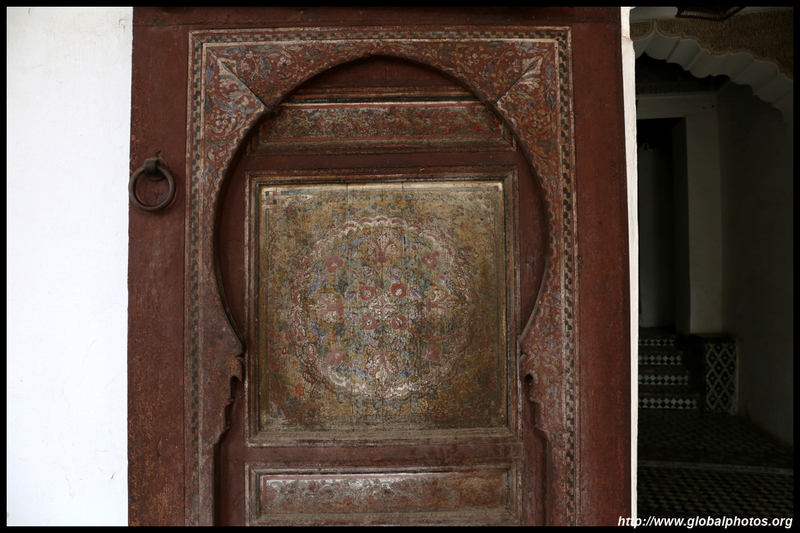 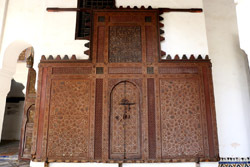 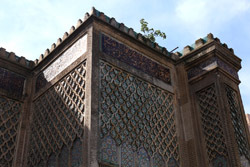 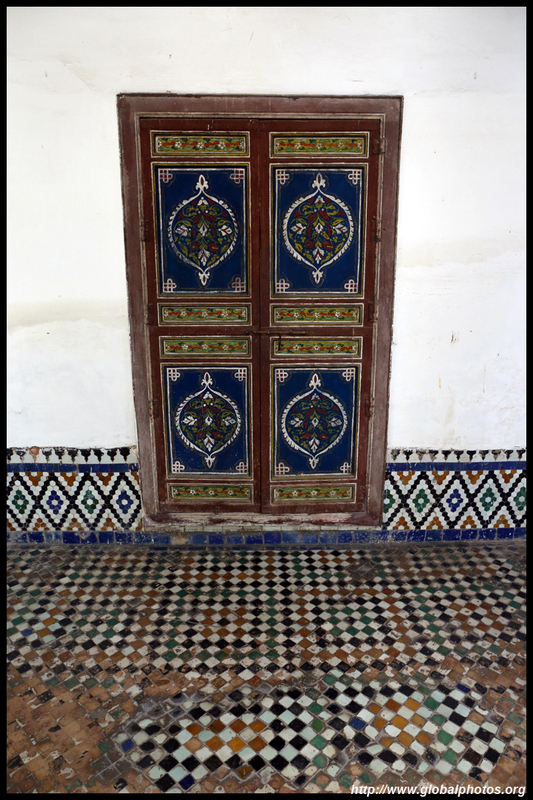 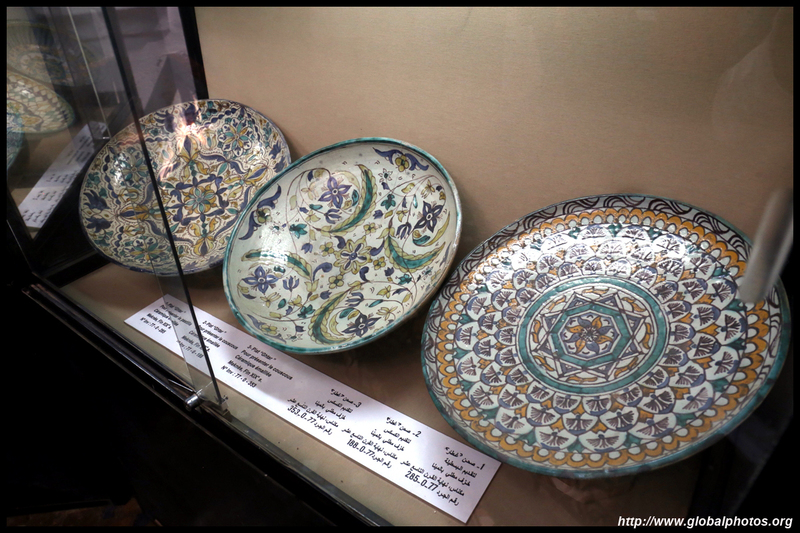 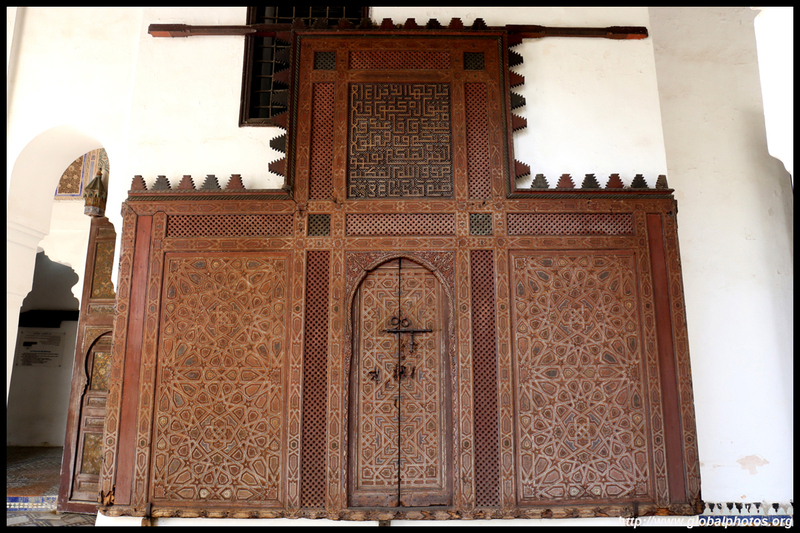 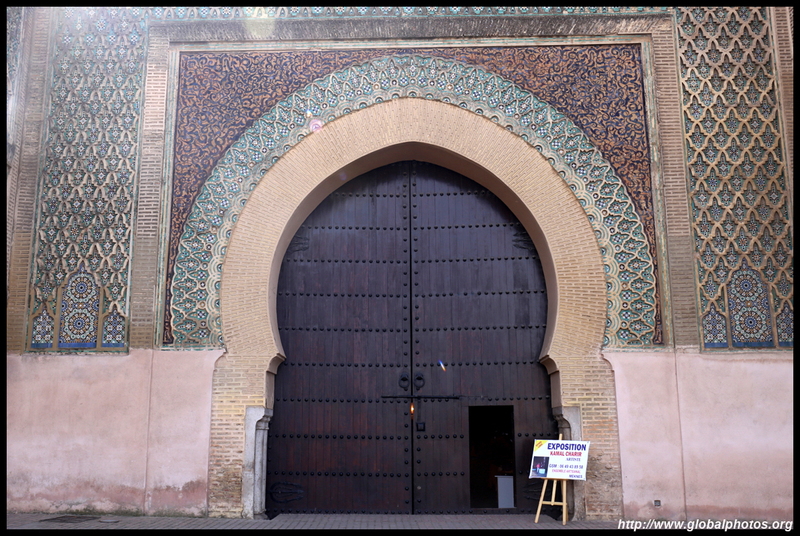 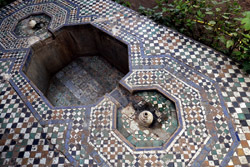 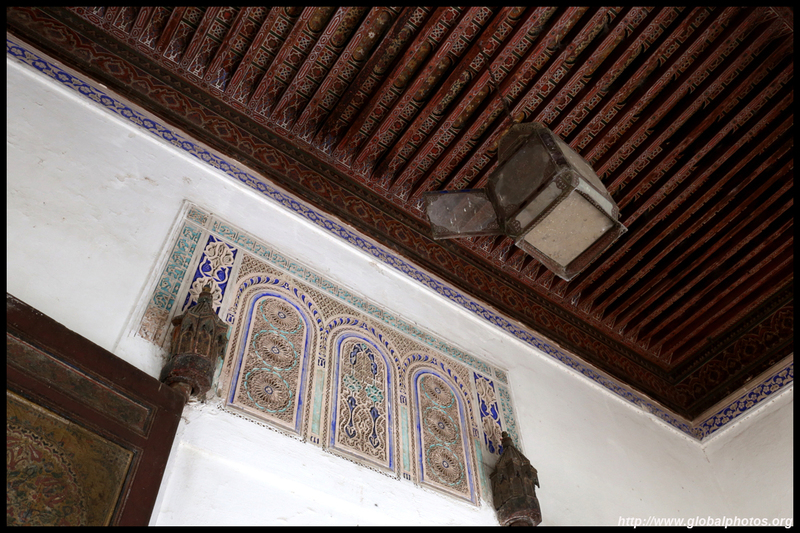 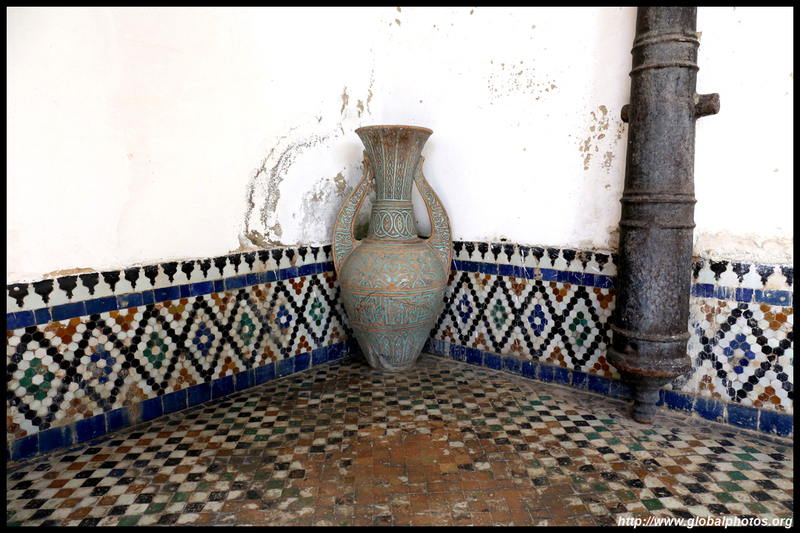 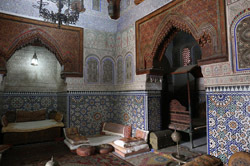 Musee Dar Jamai was originally a 19th century palace with an Andalusian garden and now is open to the public. 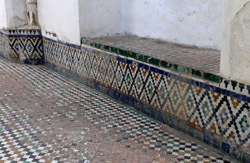 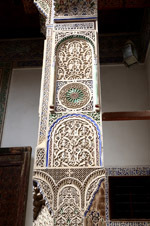 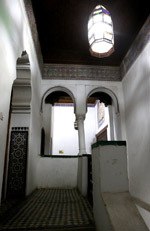 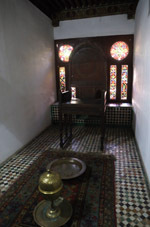 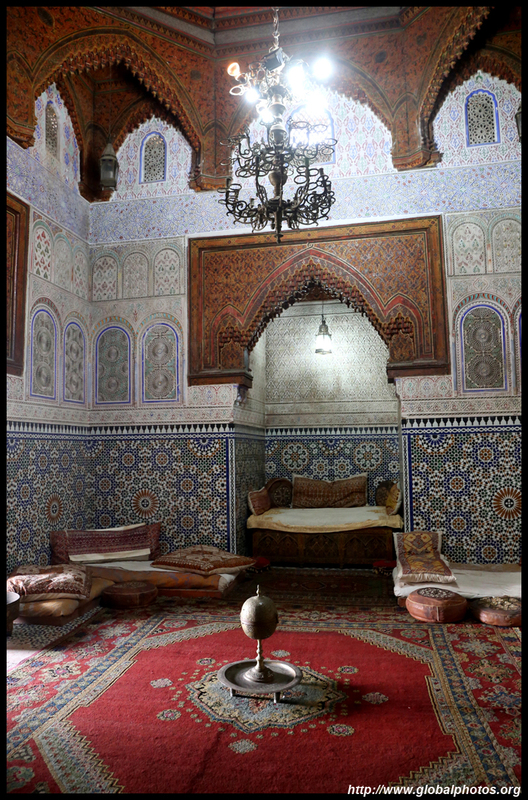 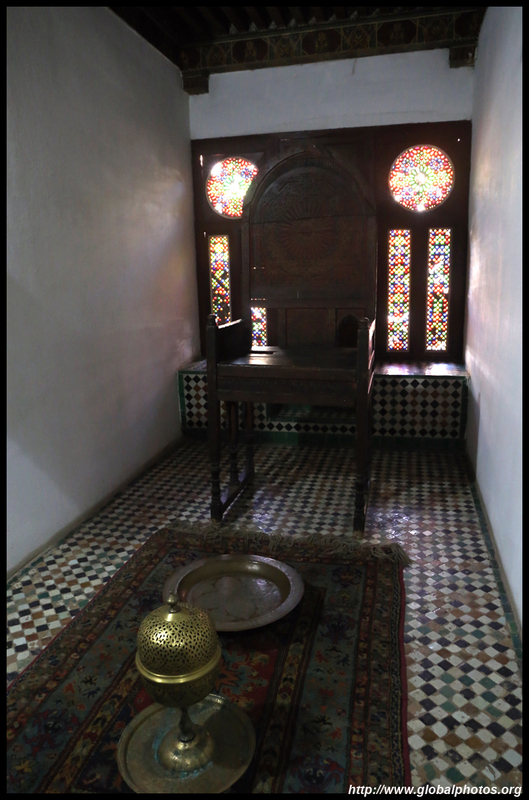 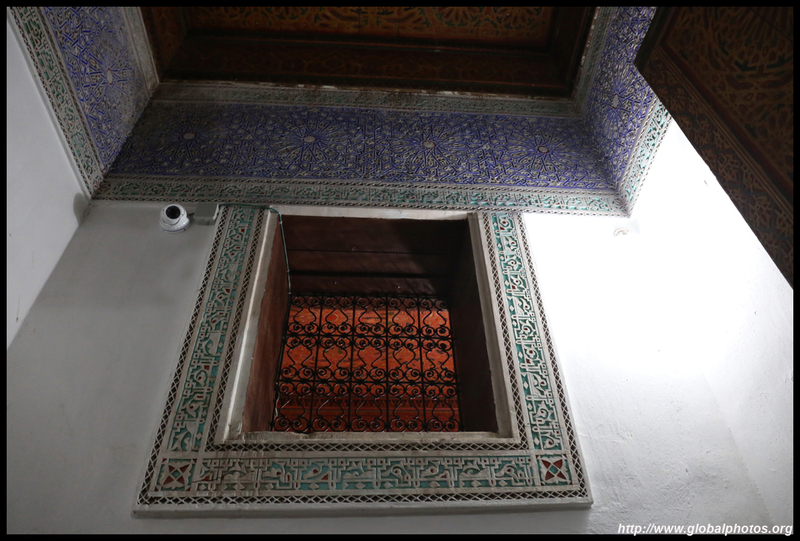 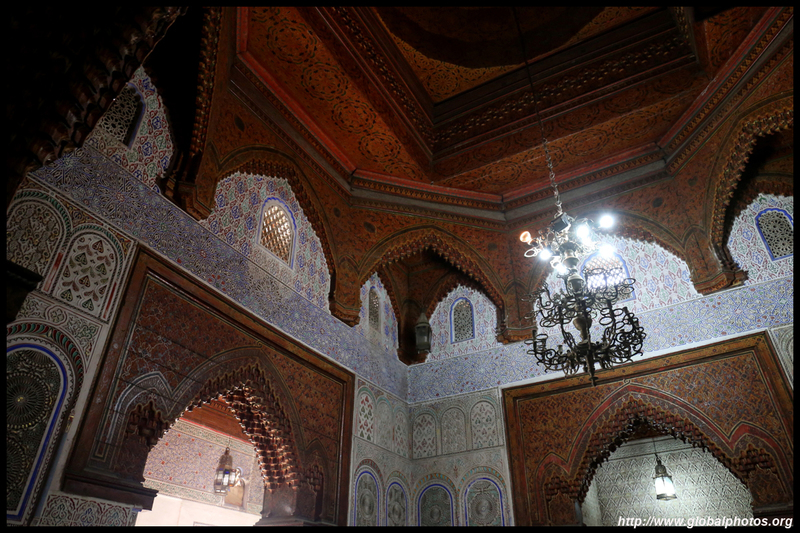 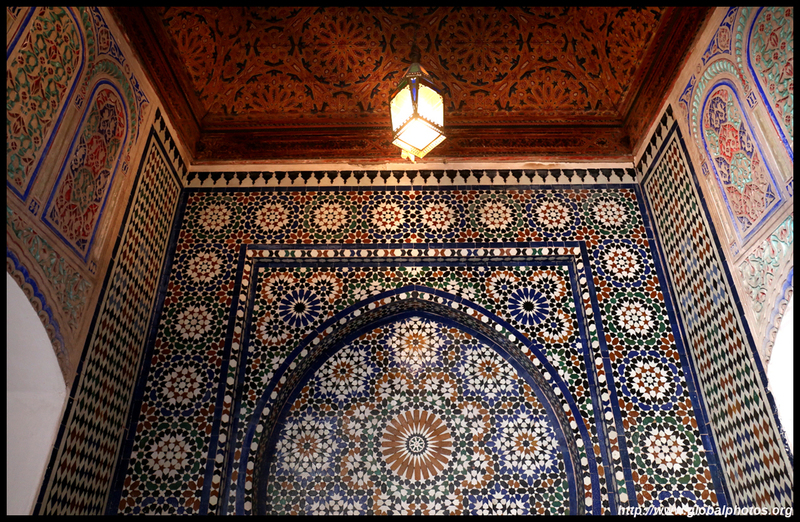 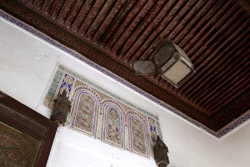 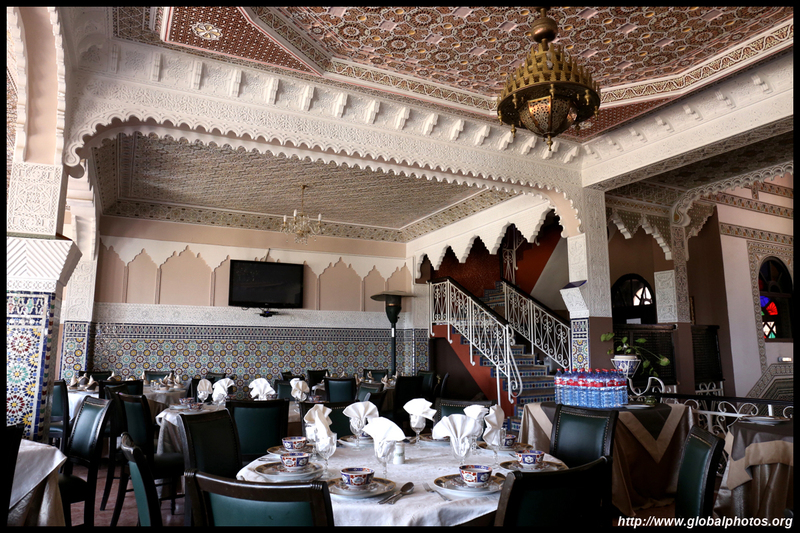 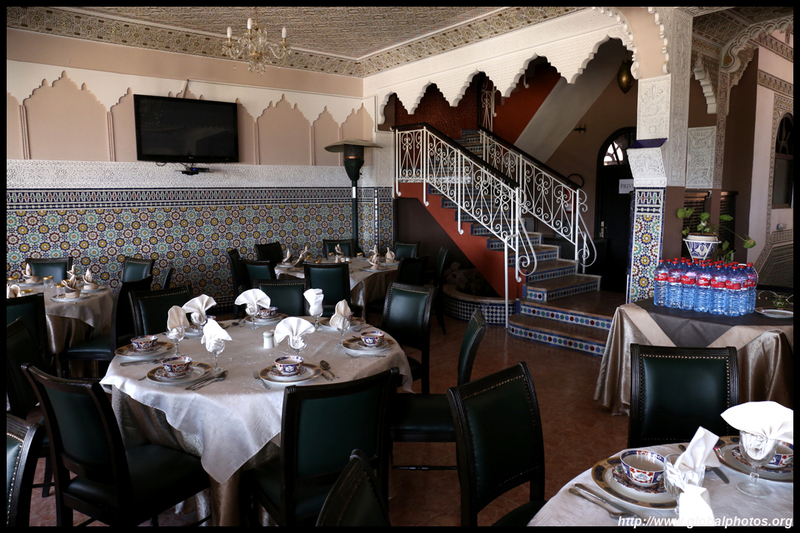 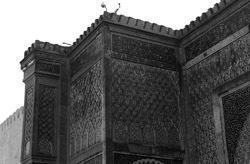 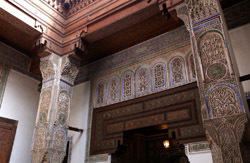 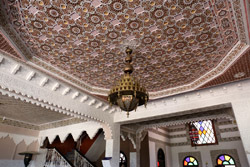 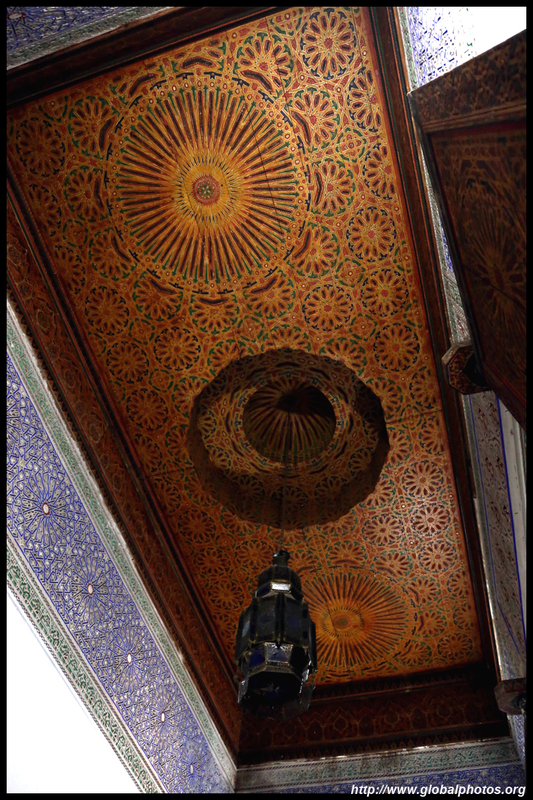 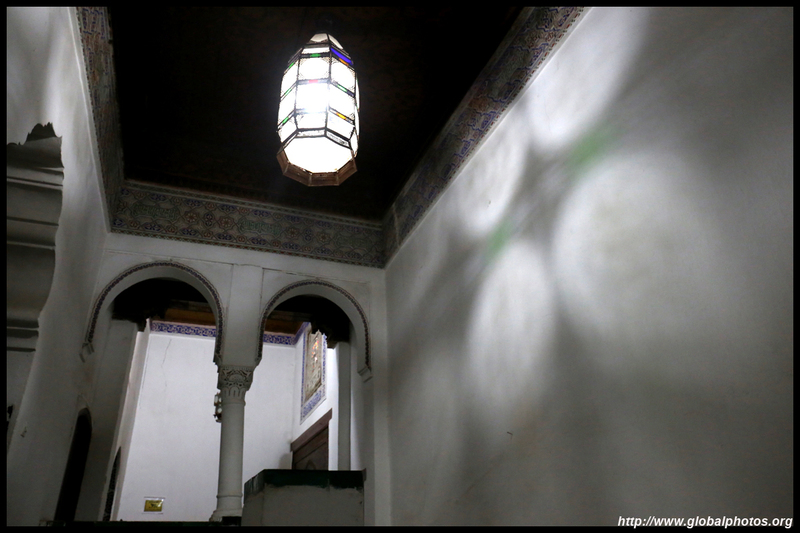 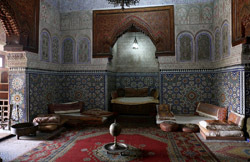 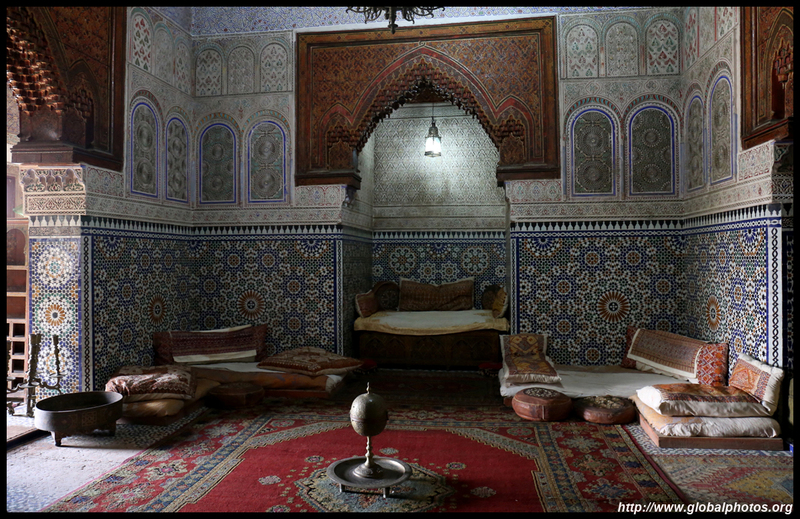 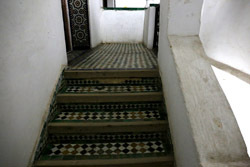 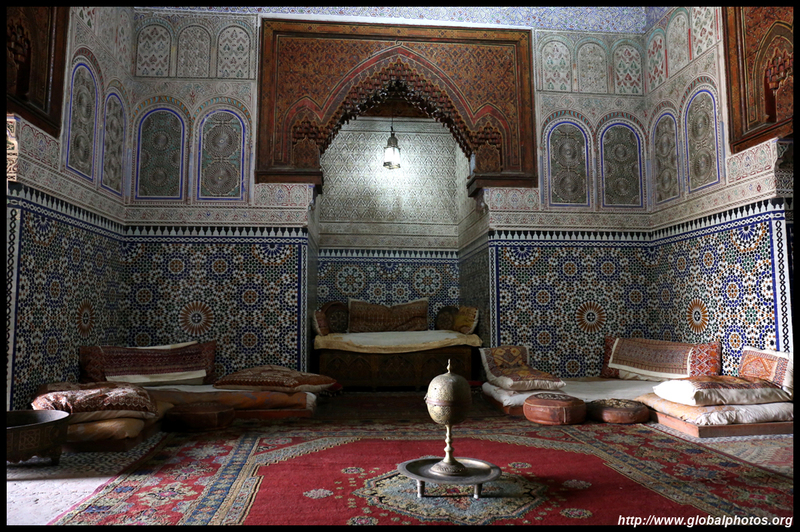 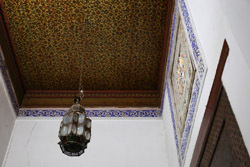 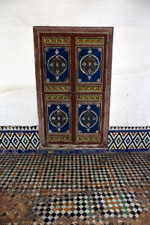 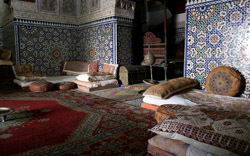 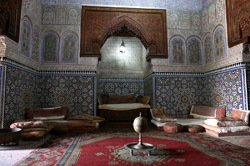 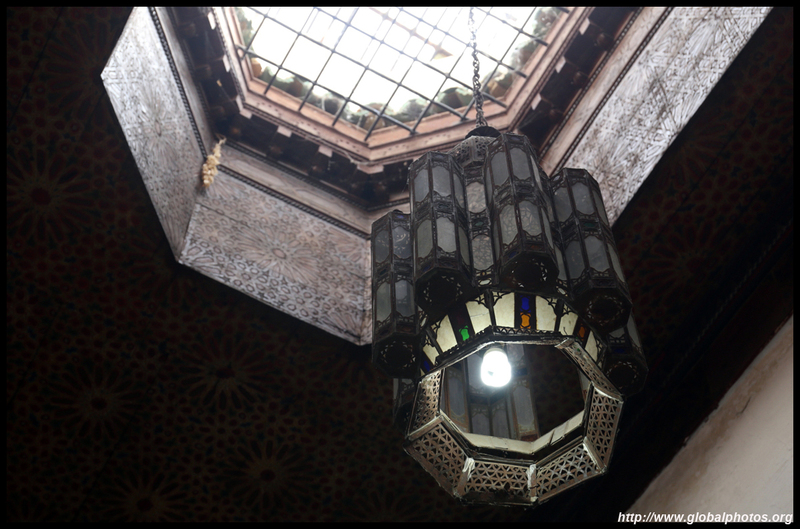 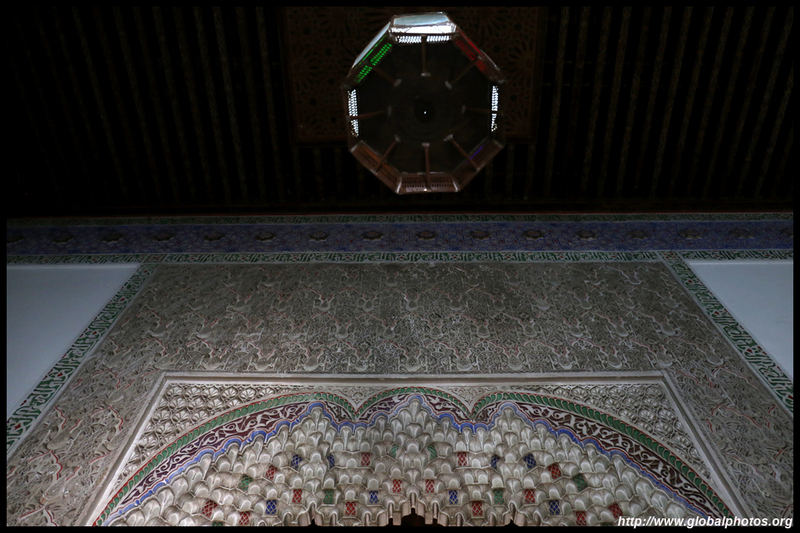 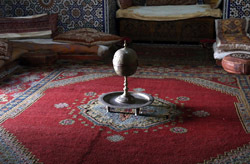 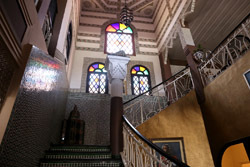 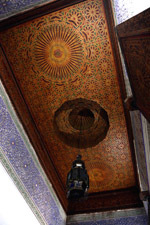 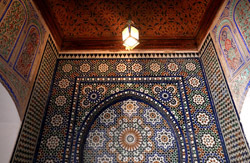 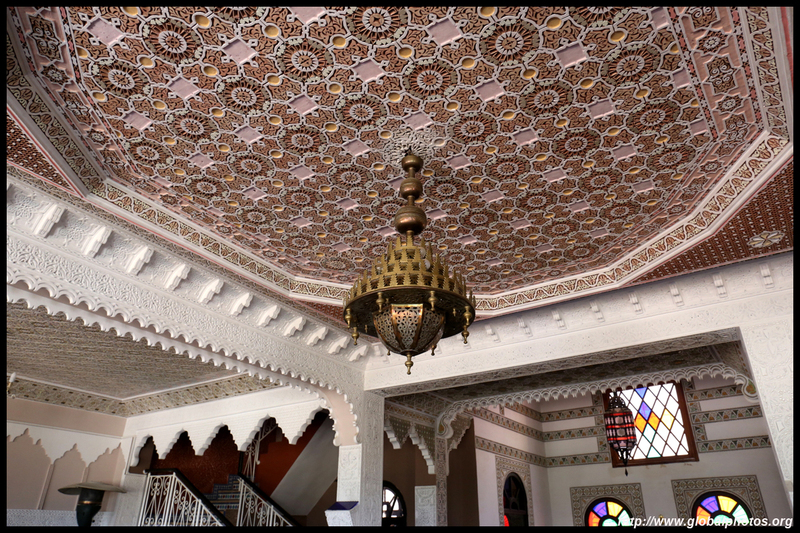 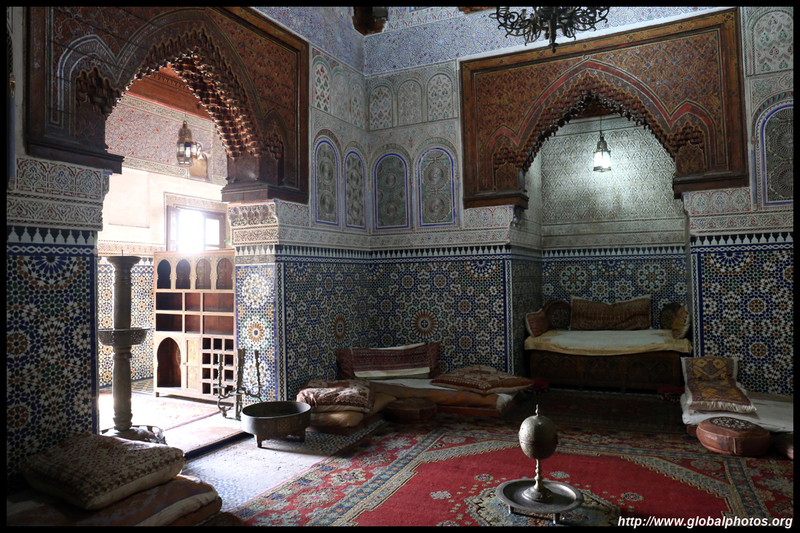 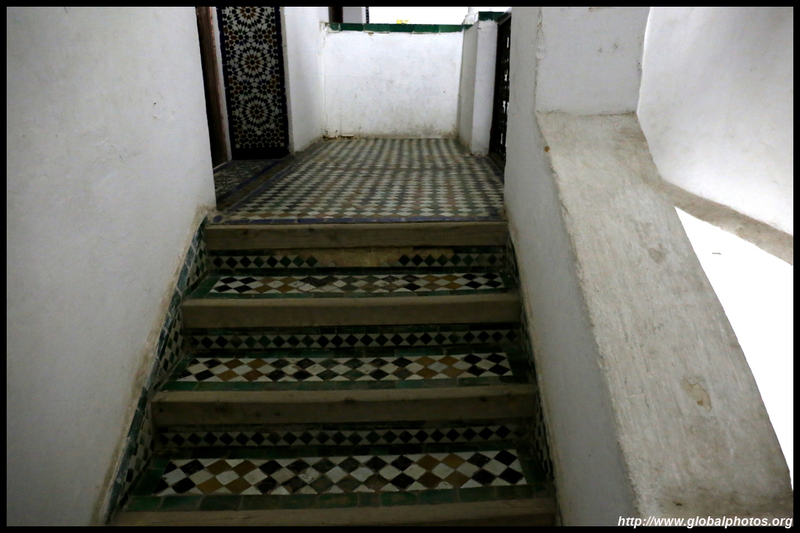 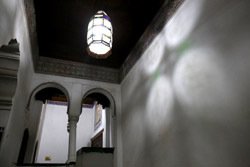 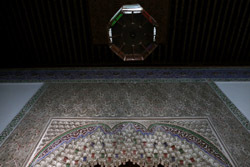 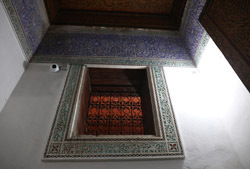 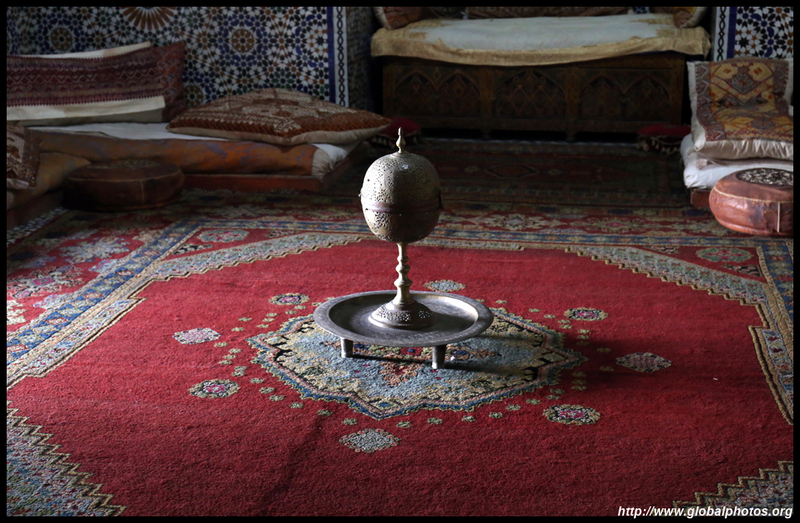 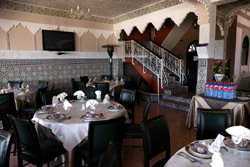 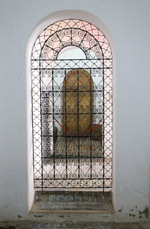 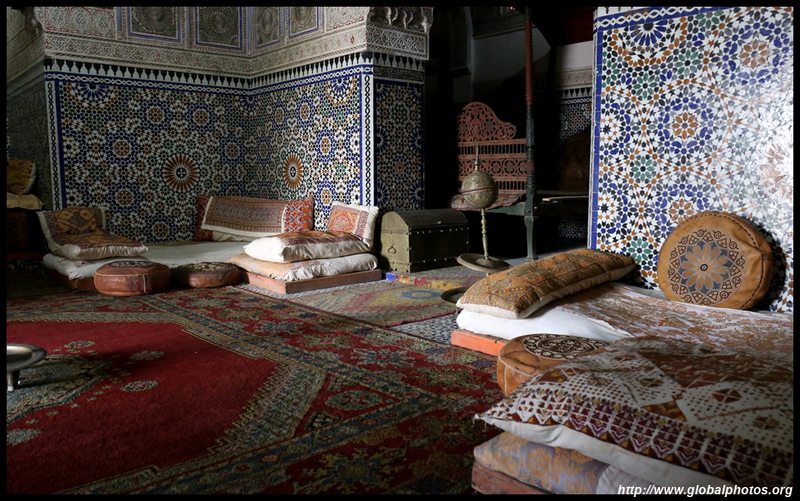 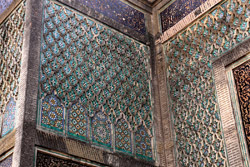 Upstairs, the traditional Moroccan room has been reconstructed with intricate tilework, a wooden dome ceiling, and furniture taken from other houses in the city. 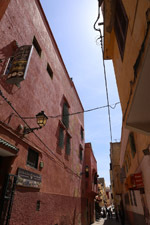 The intense heat is starting to emerge as the morning trickled by. 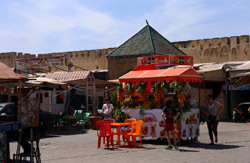 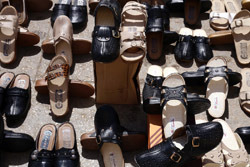 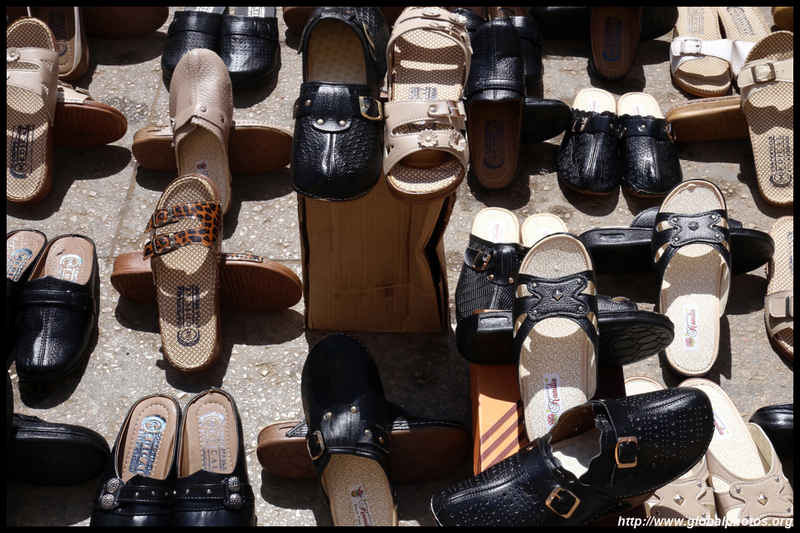 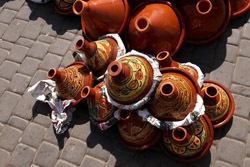 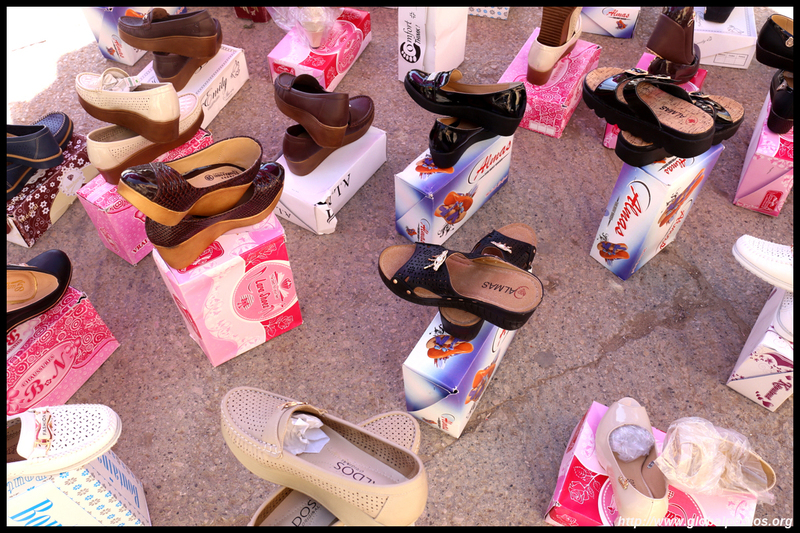 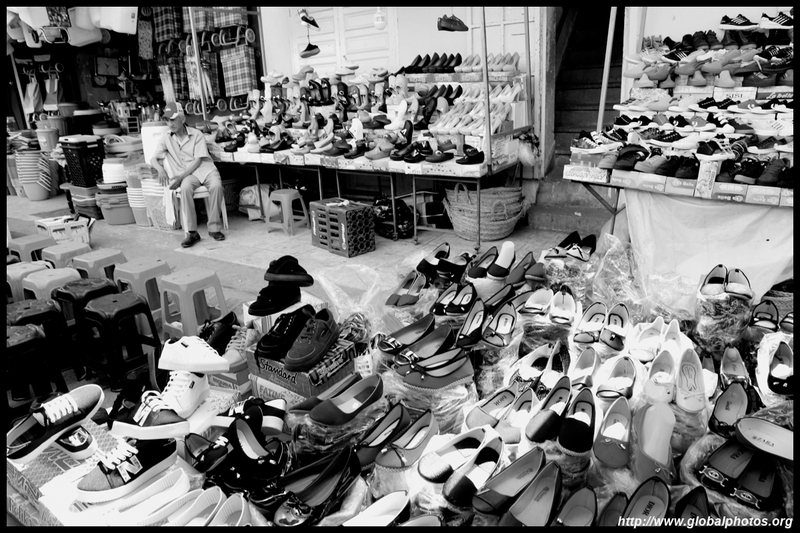 Yet, the outdoor markets remain busy, and people seem easily able to cope with the sun. 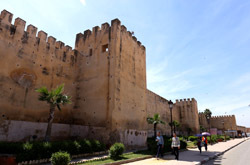 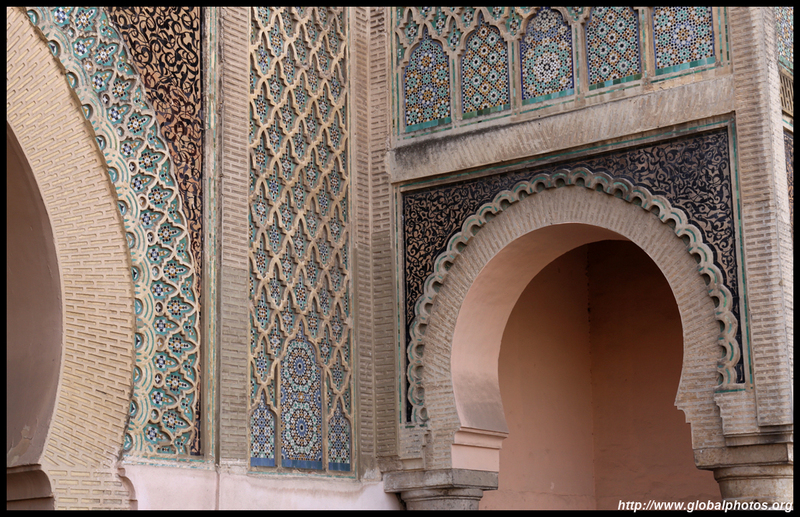 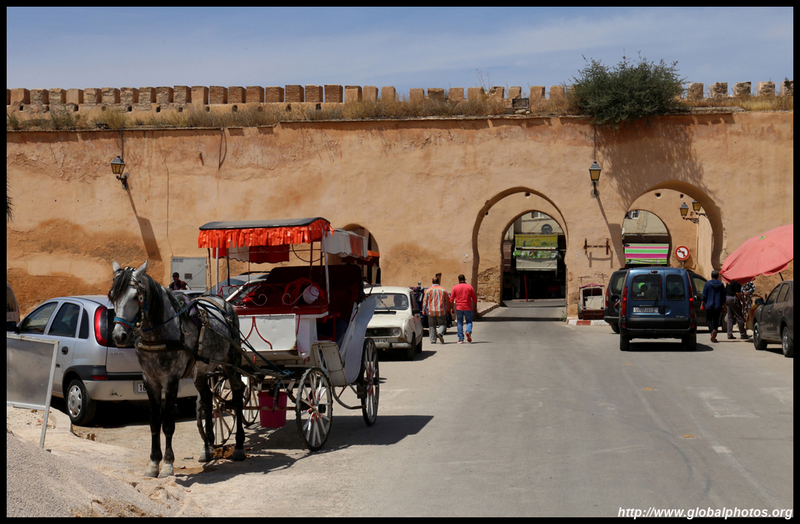 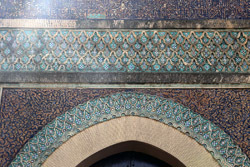 The protective city walls stretch some 40km and decorated with beautiful gates. 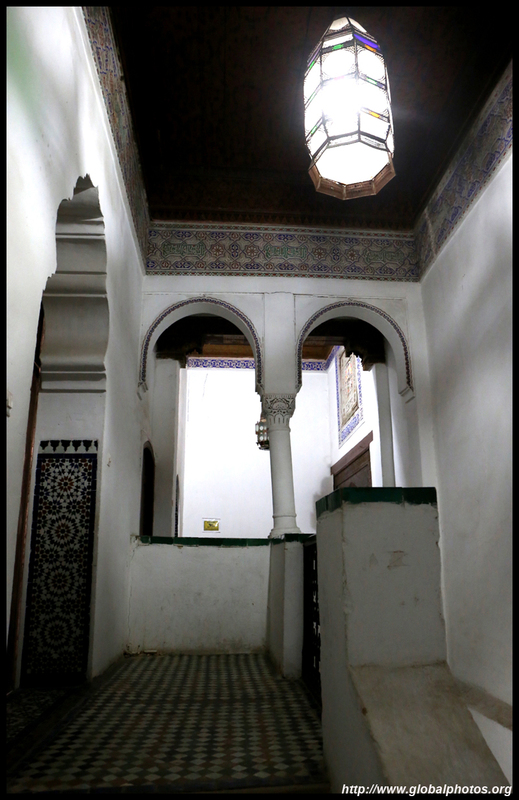 Although not so appetizing from the outside, the interiors of these lowrises can be beautifully-decorated with lovely views of the area. 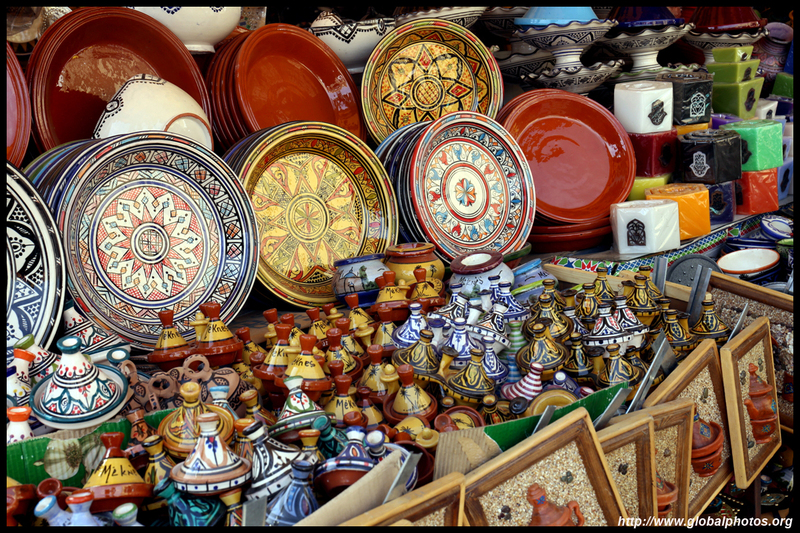 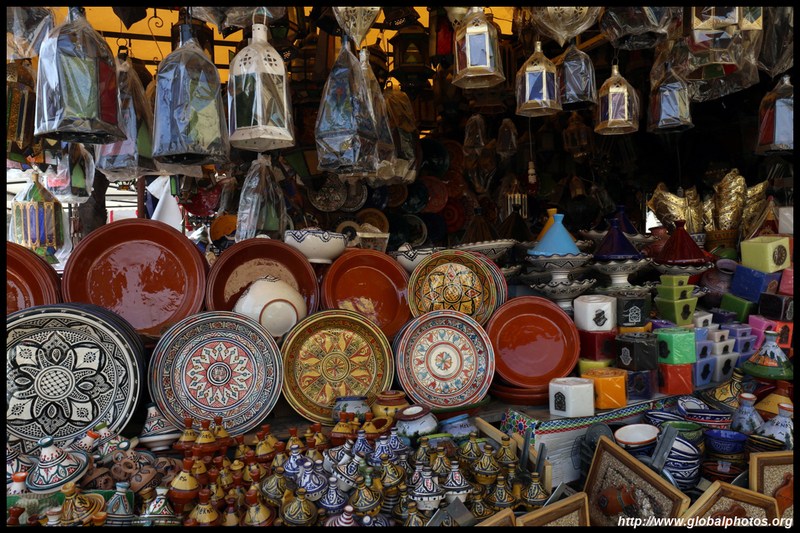 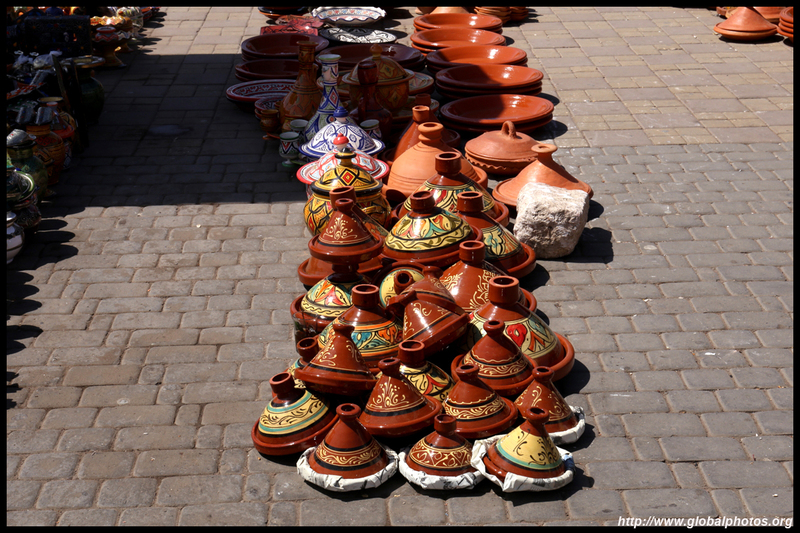 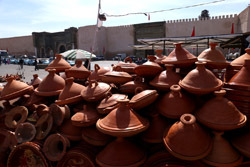 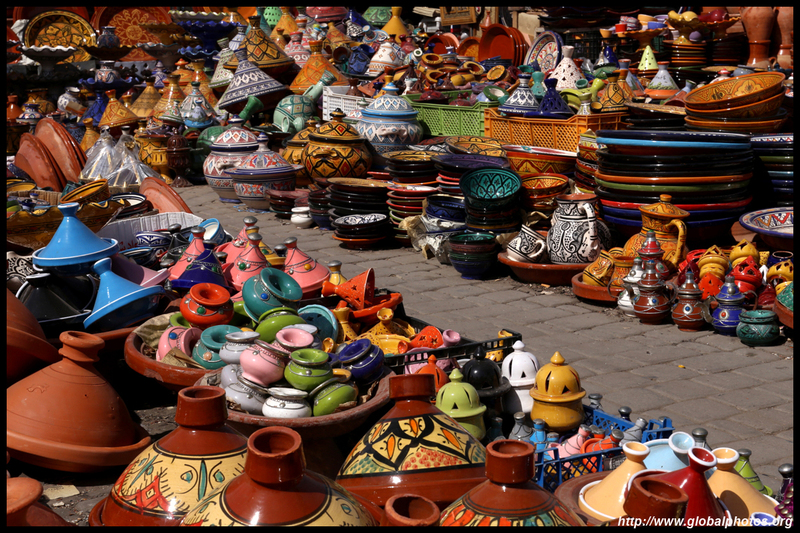 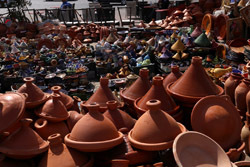 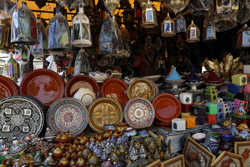 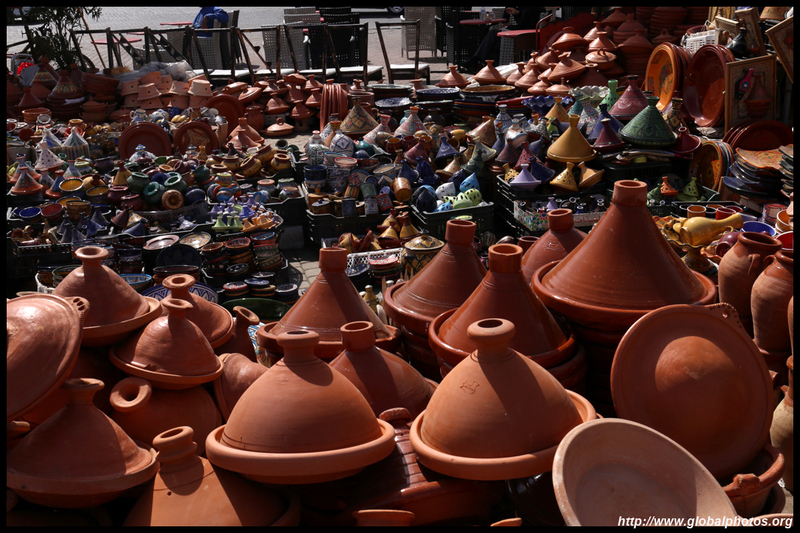 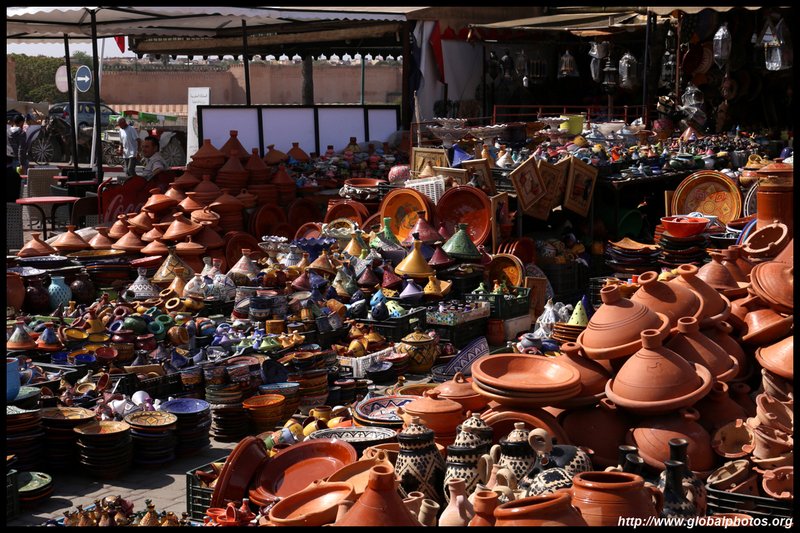 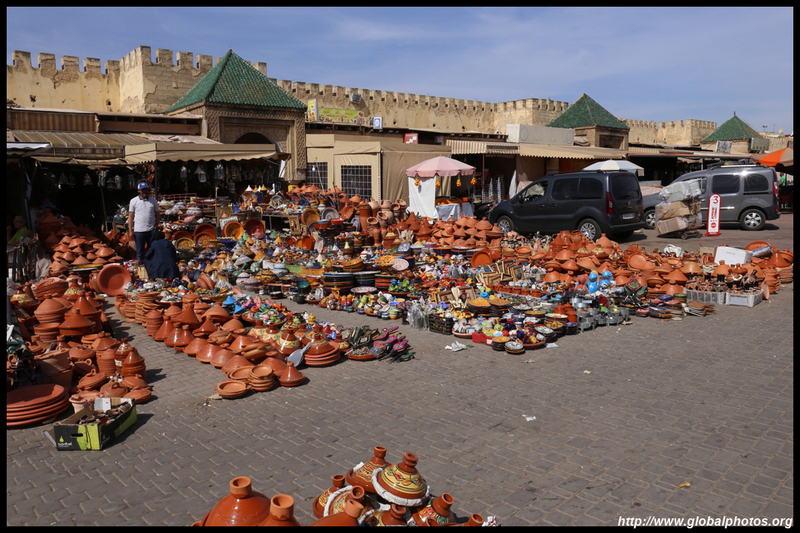 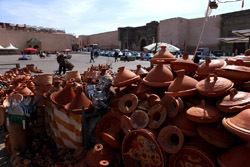 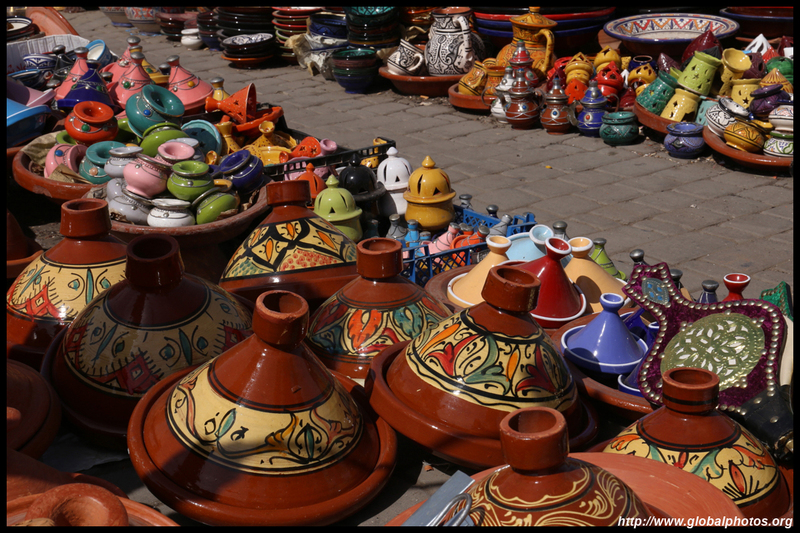 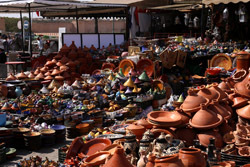 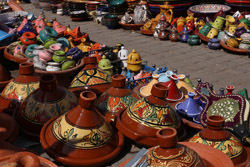 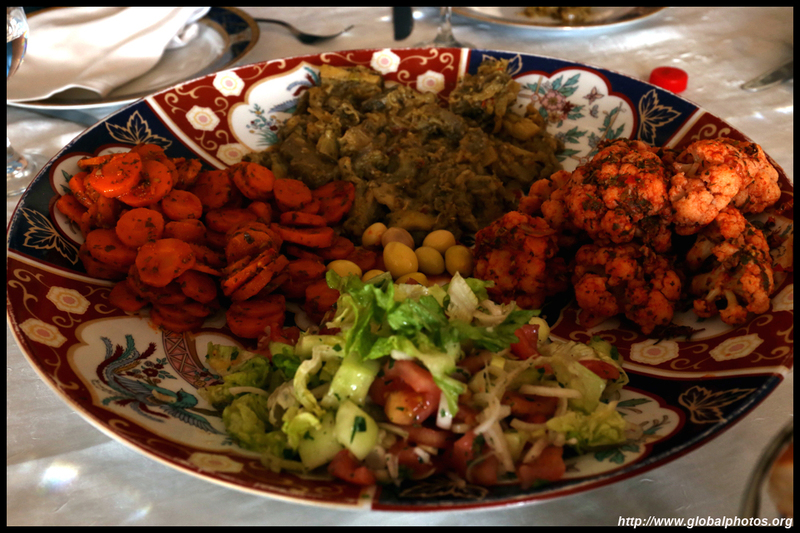 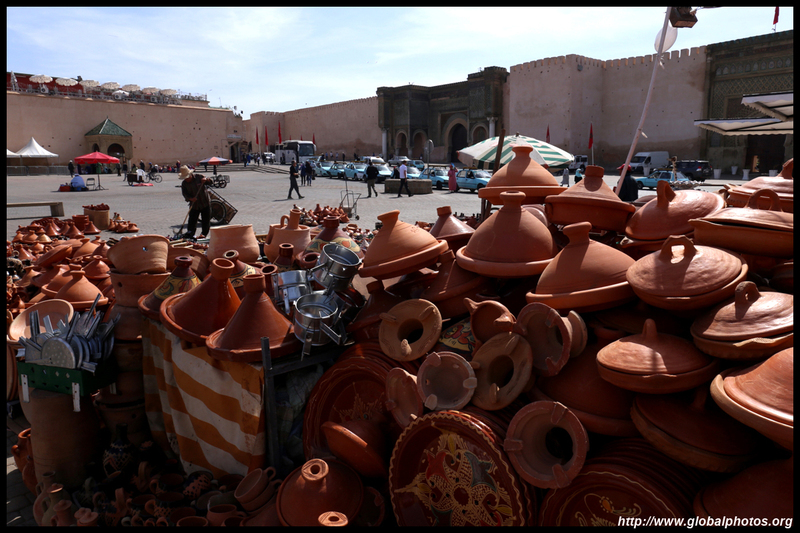 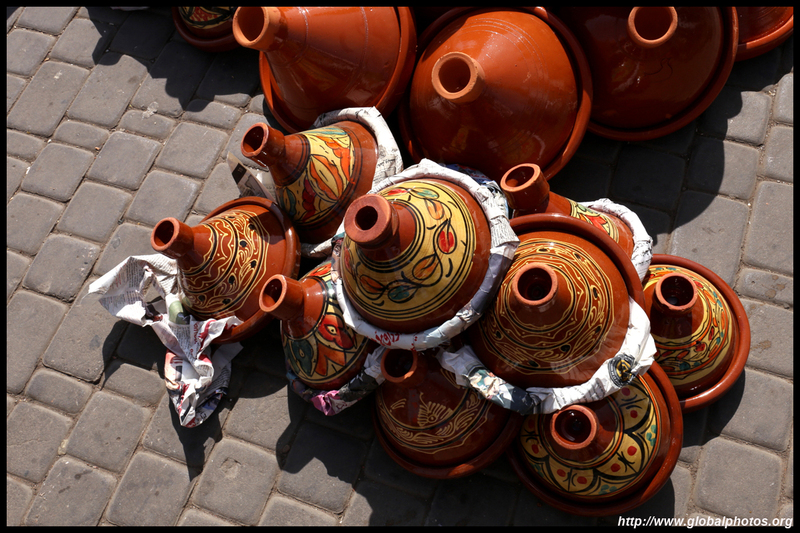 Tajine is a must-eat dish in the country. 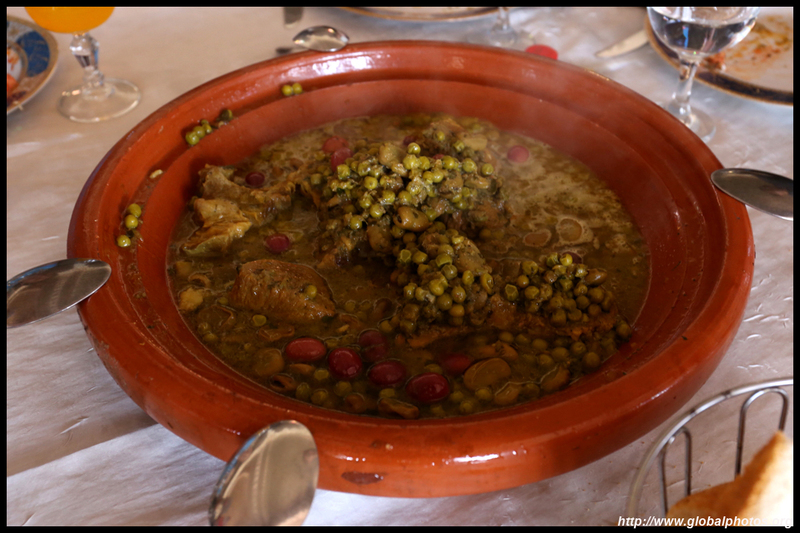 Today's selection is a chicken cooked with peas and olives.